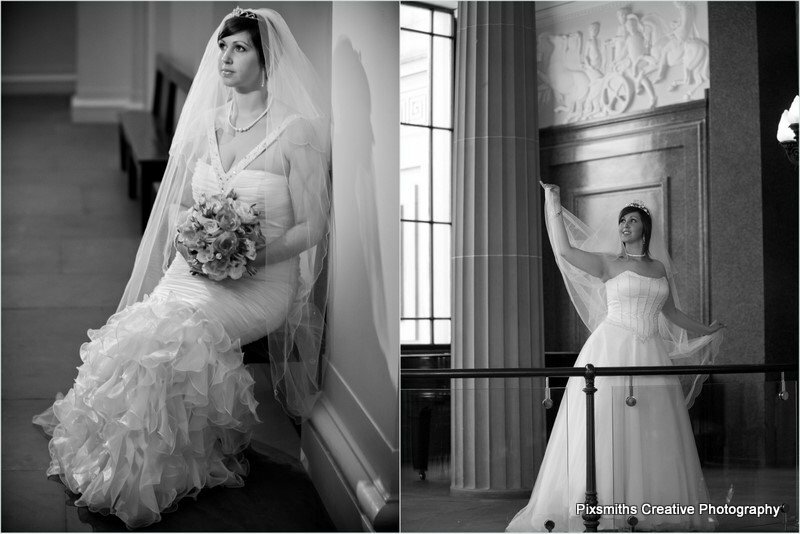 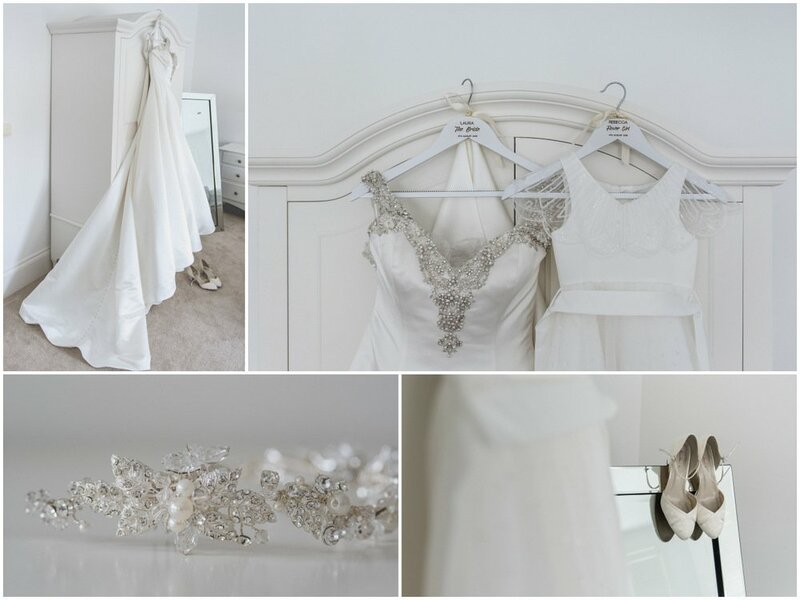 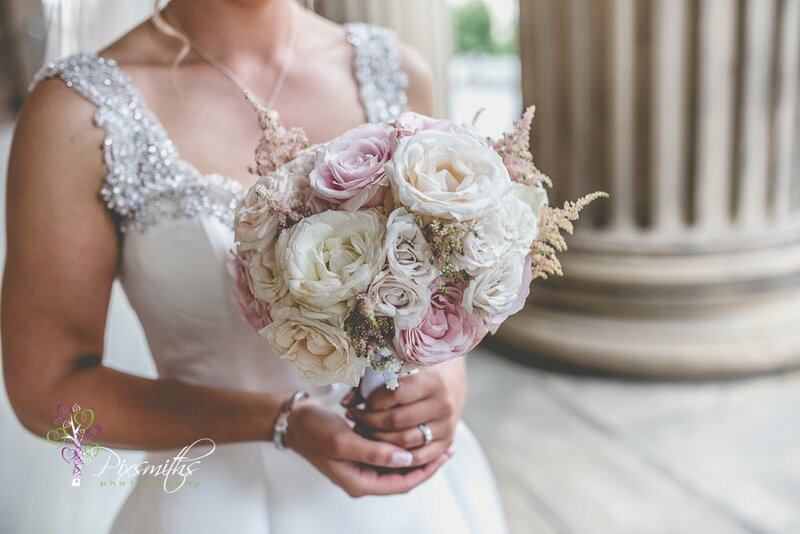 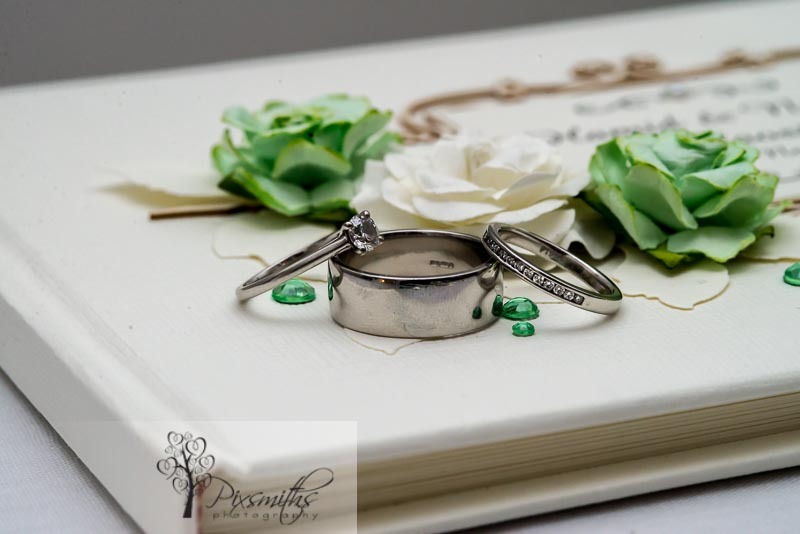 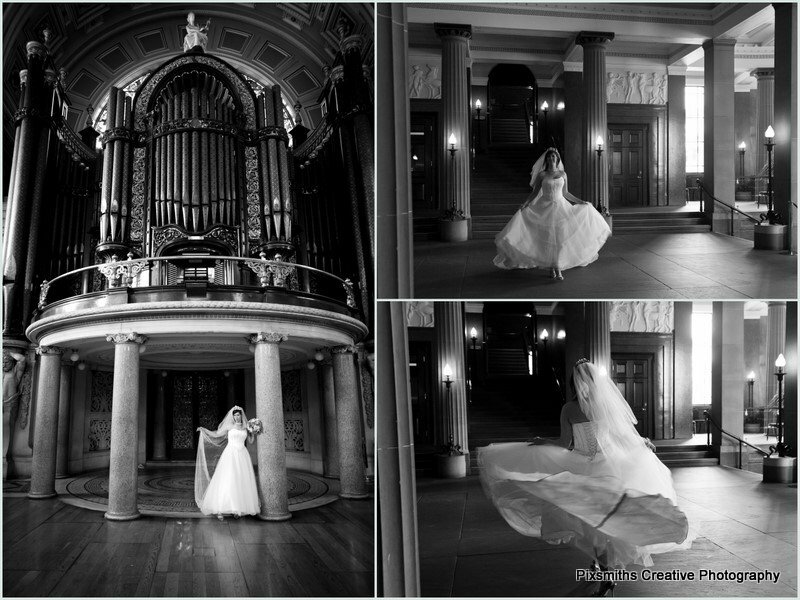 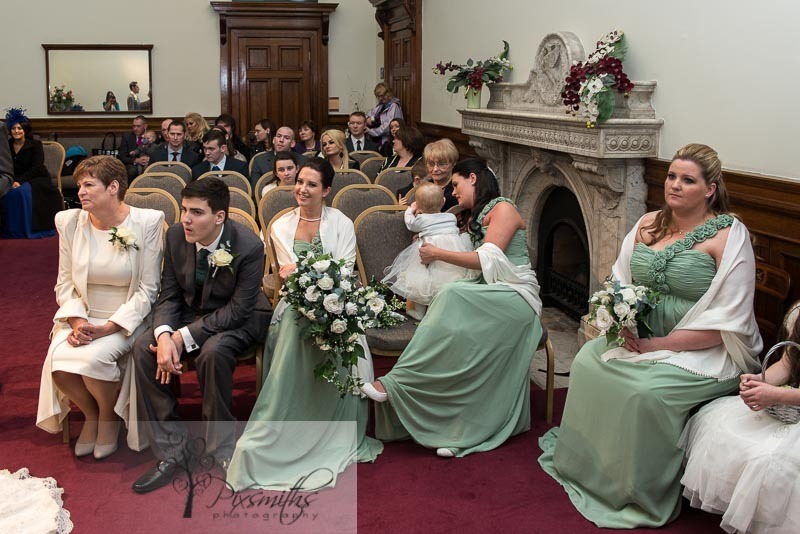 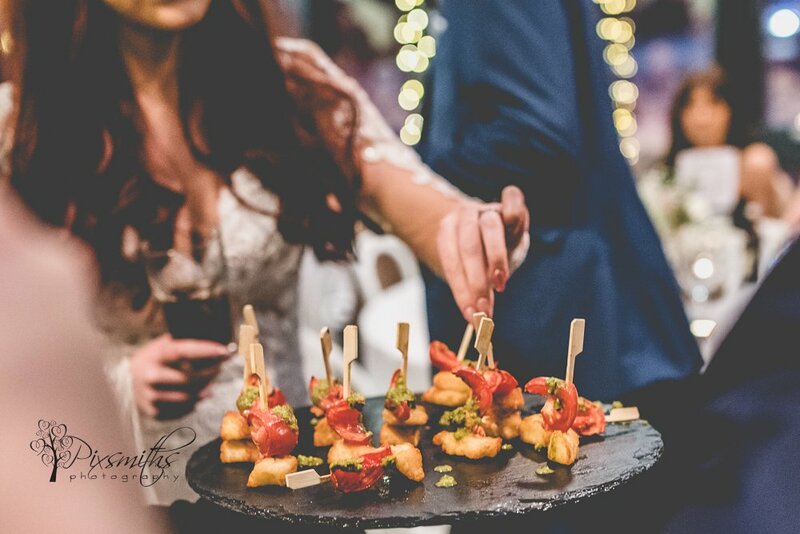 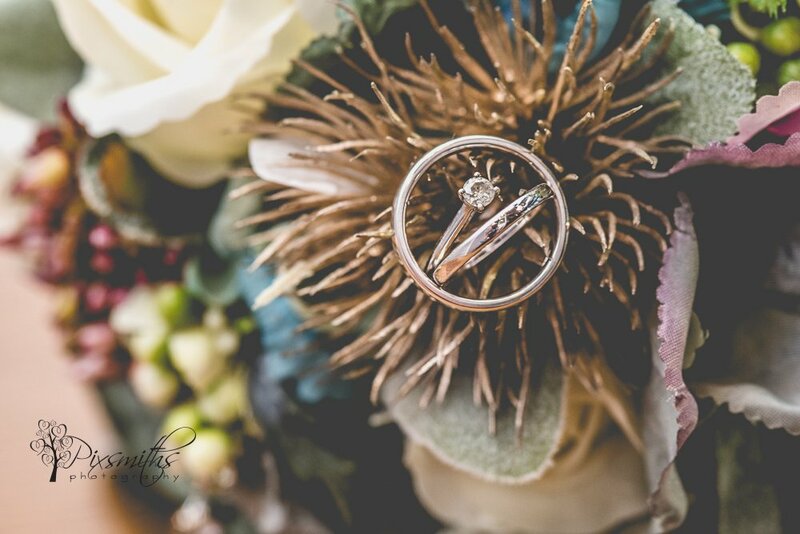 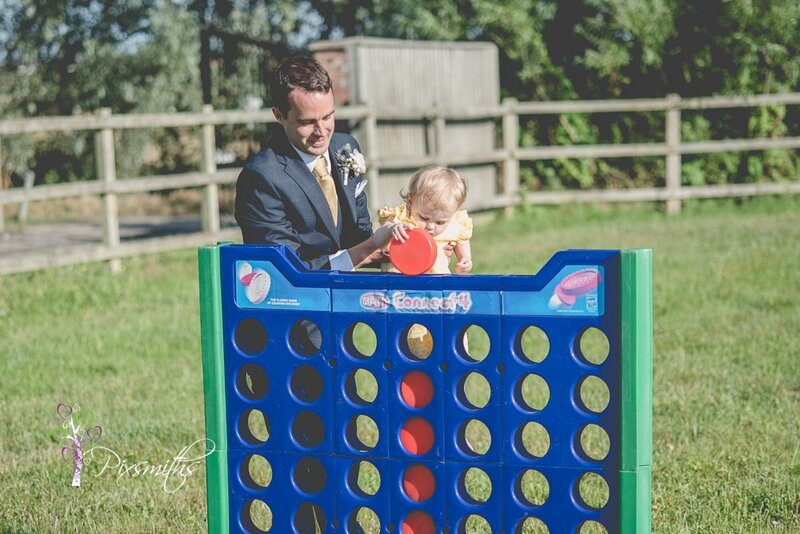 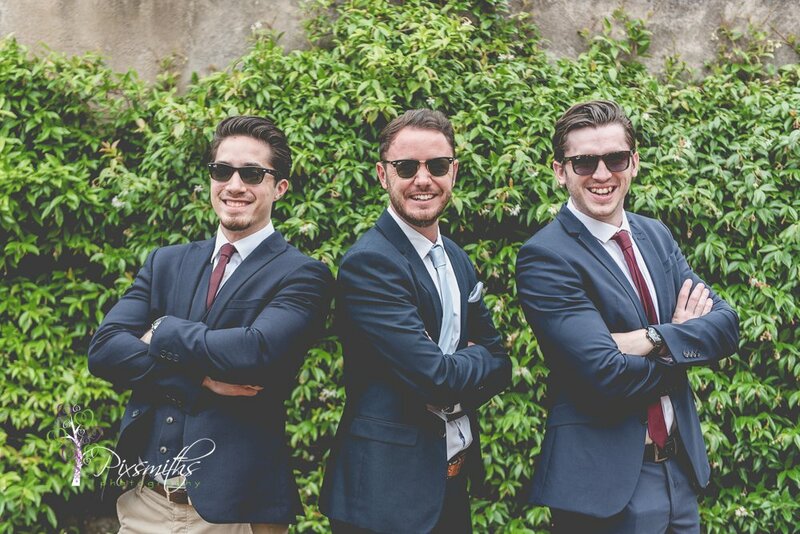 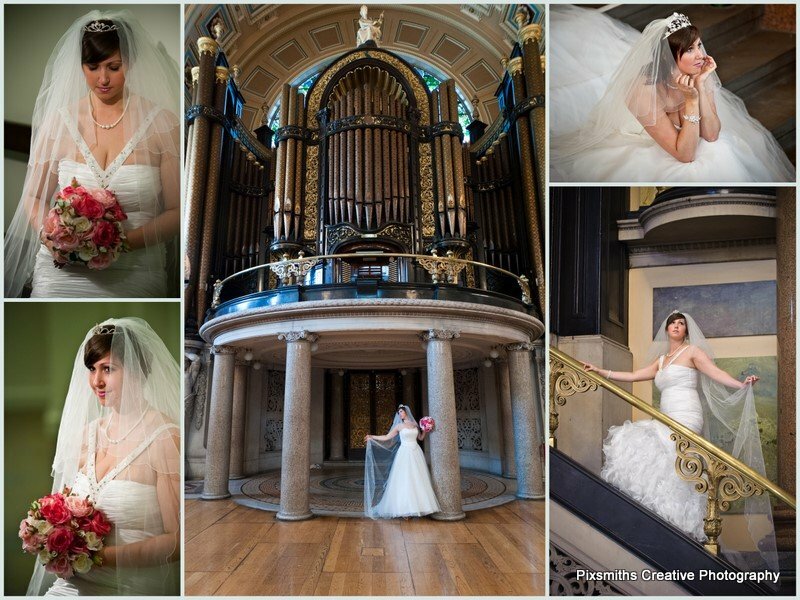 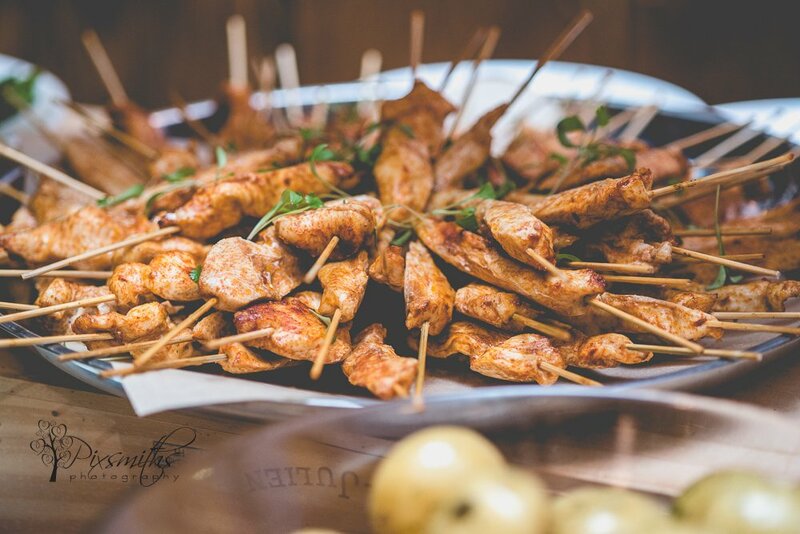 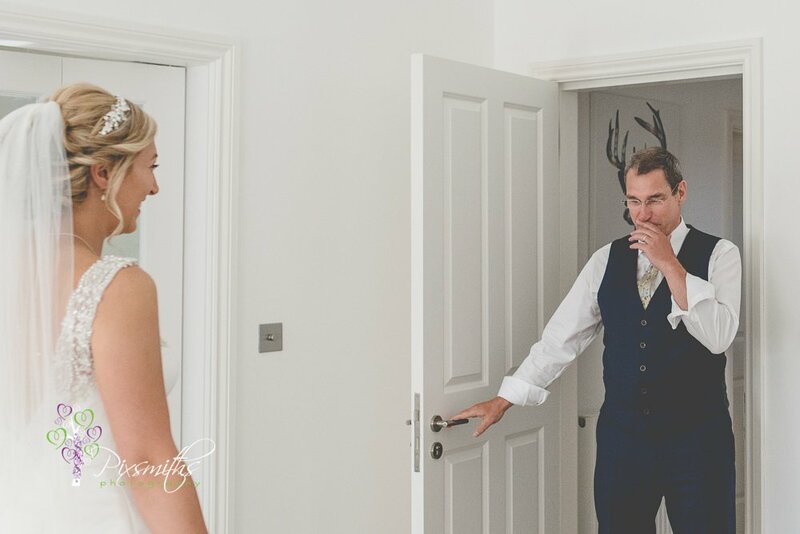 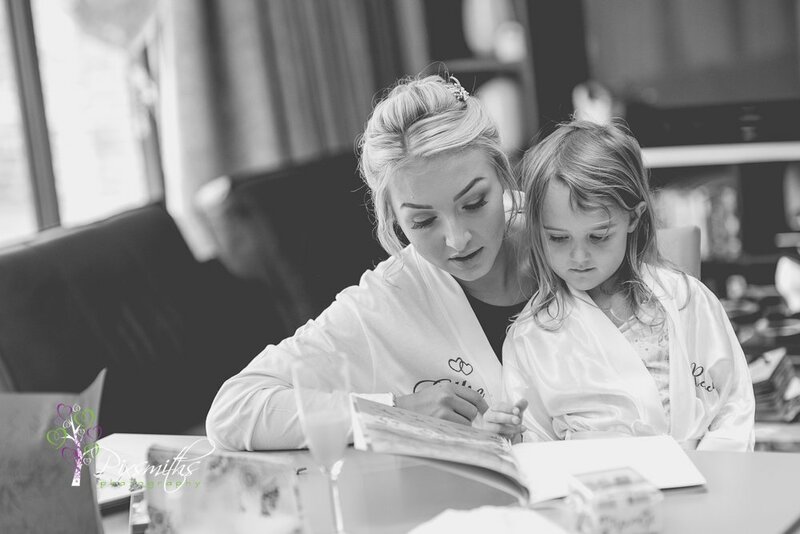 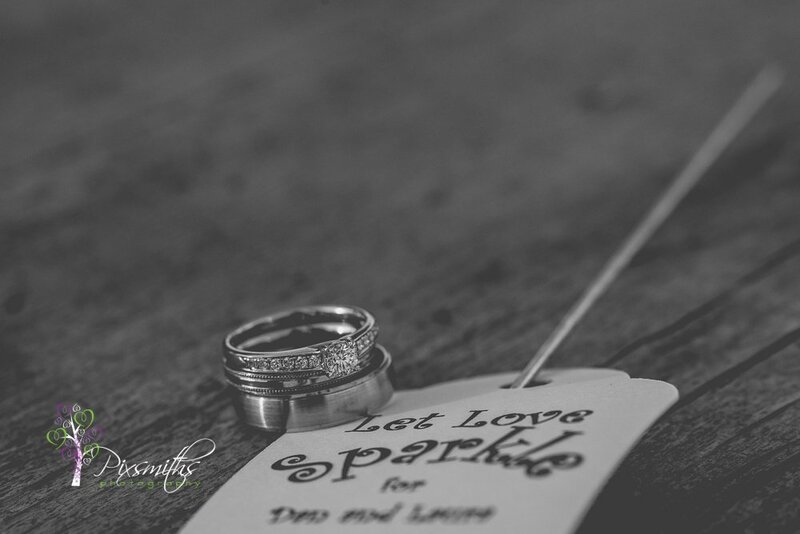 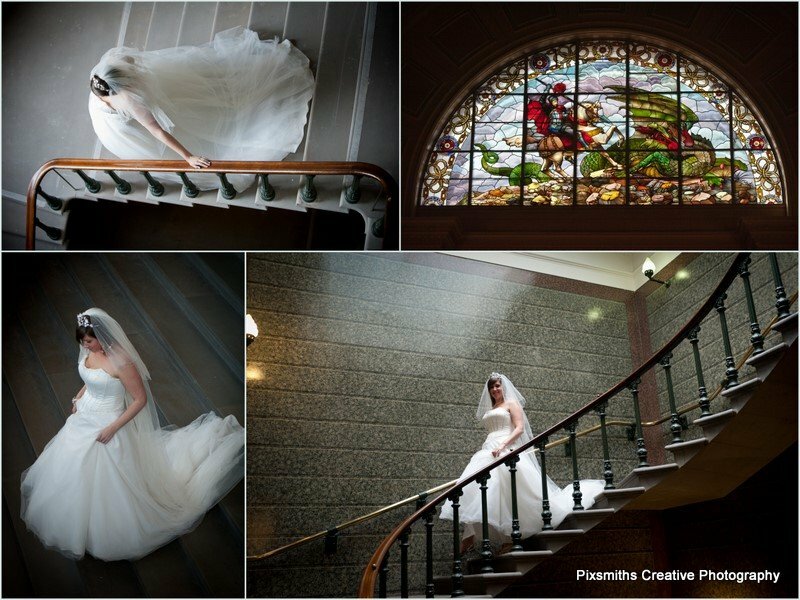 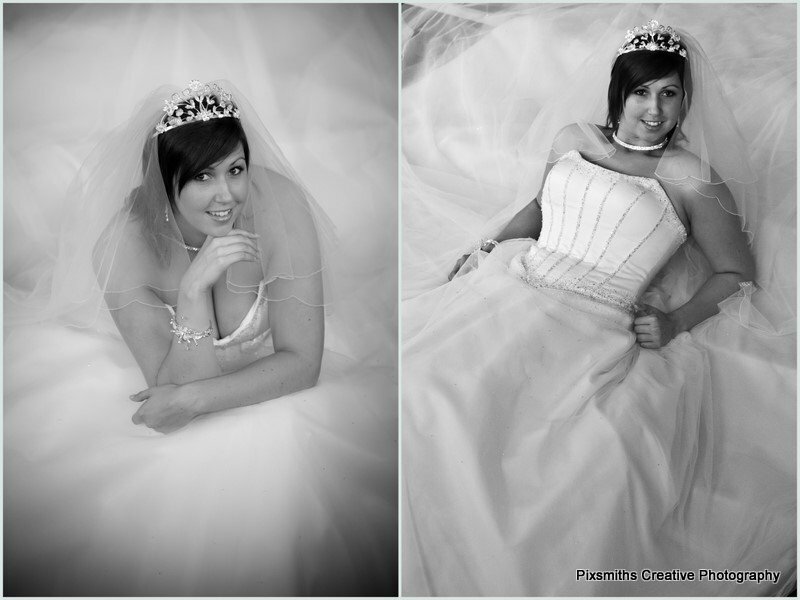 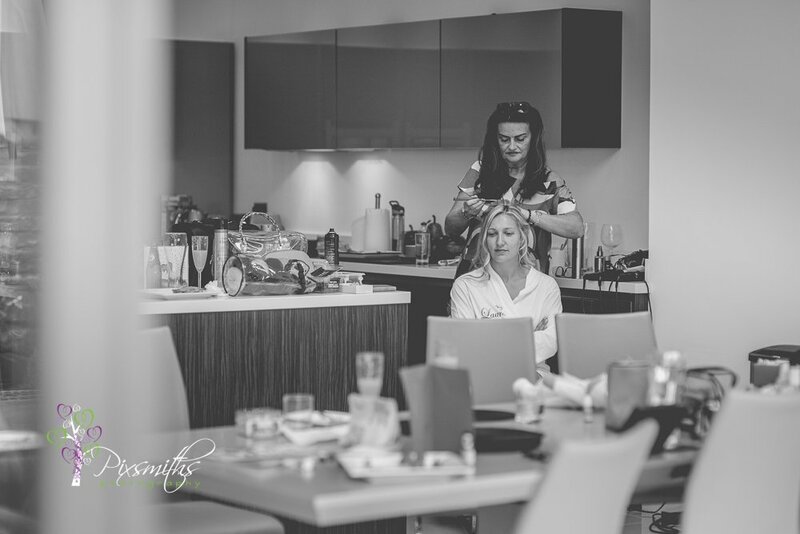 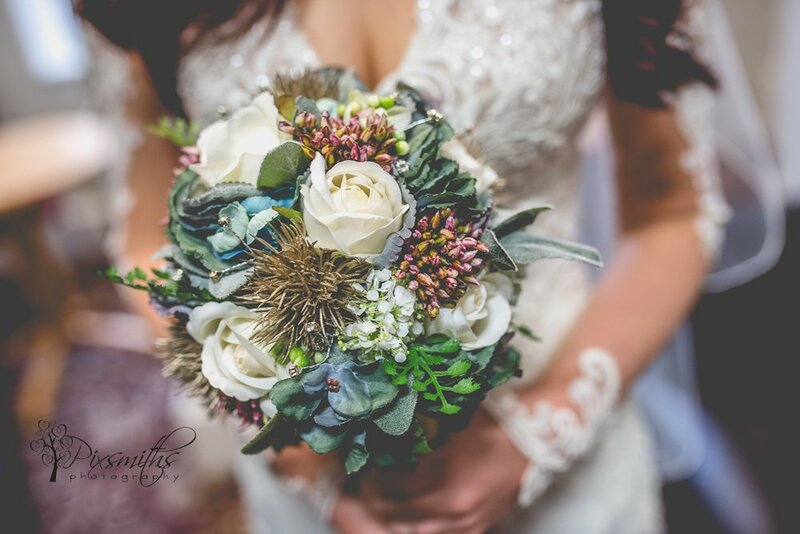 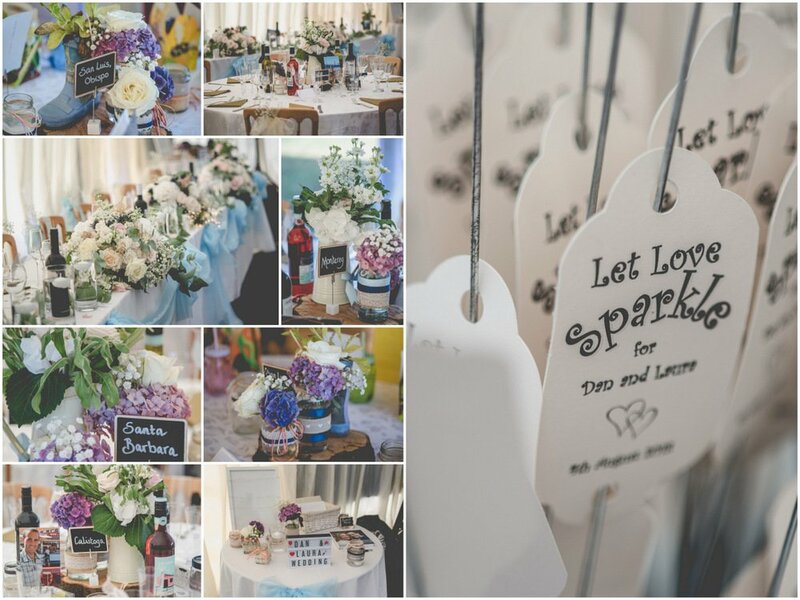 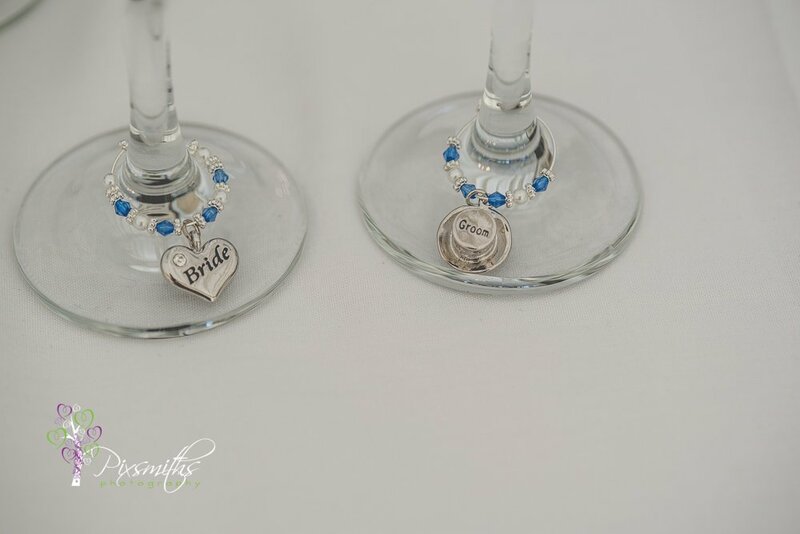 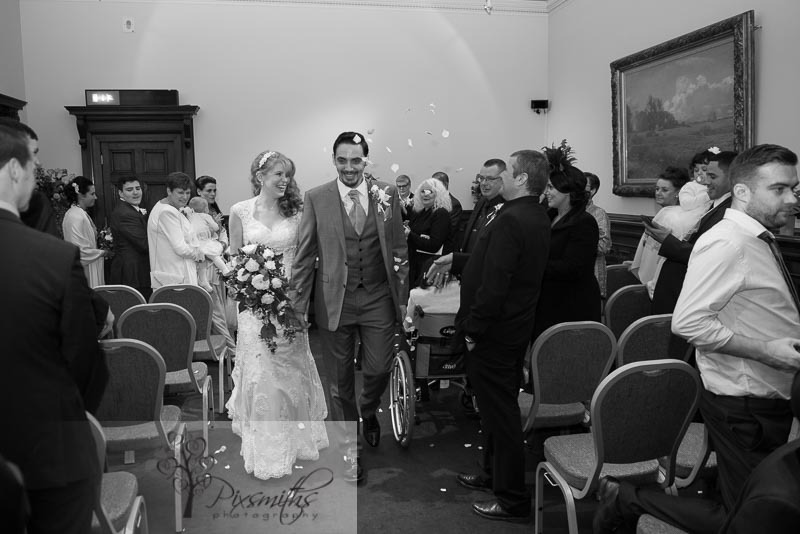 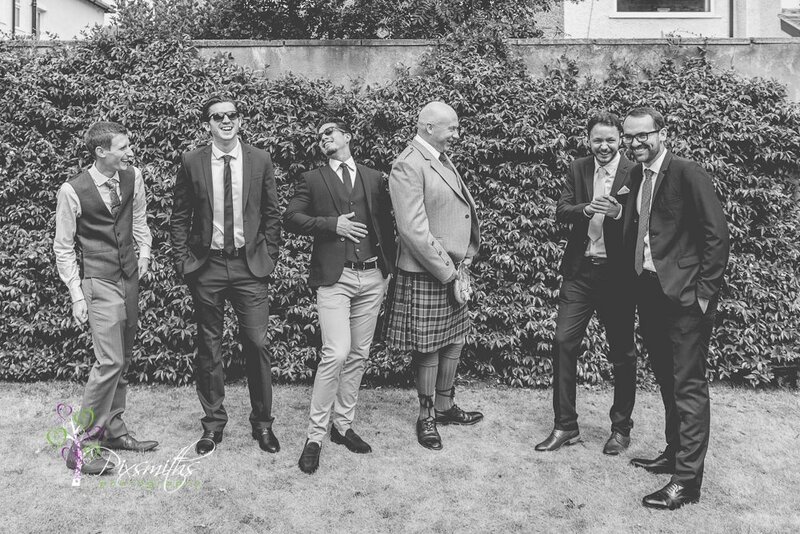 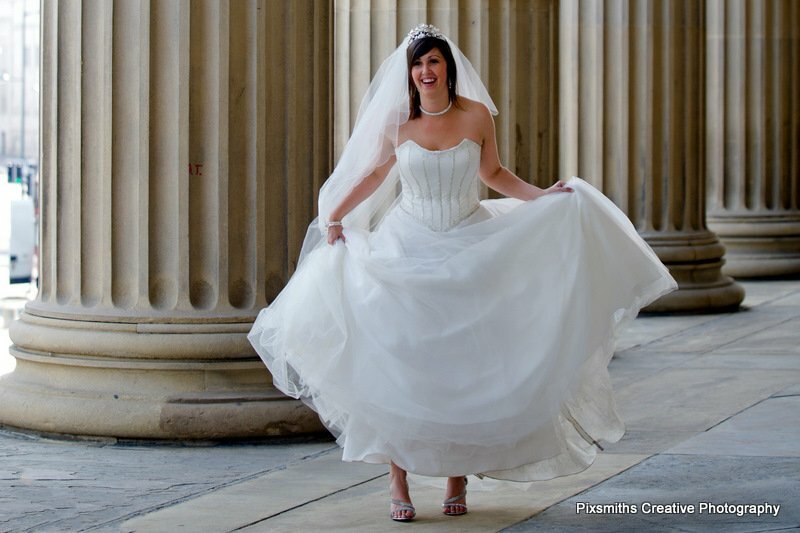 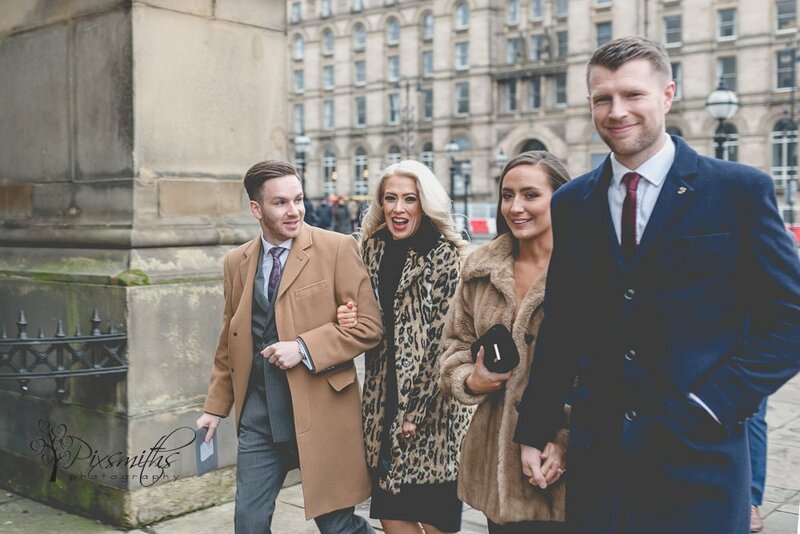 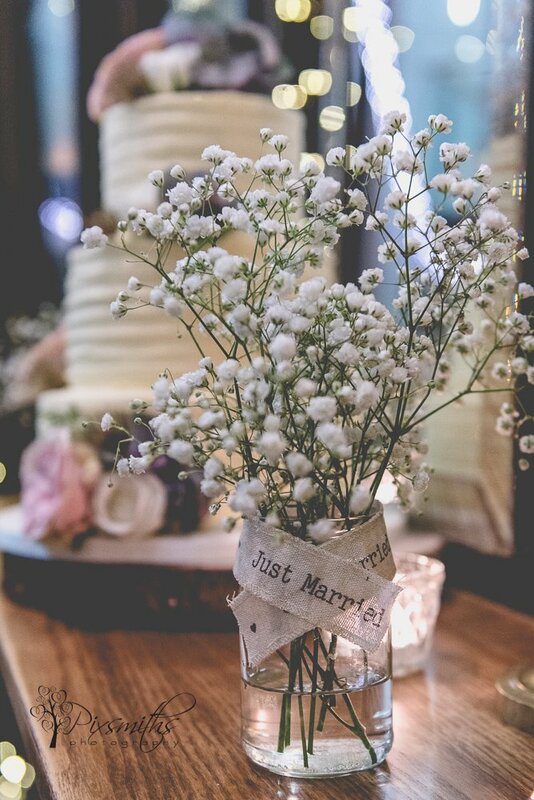 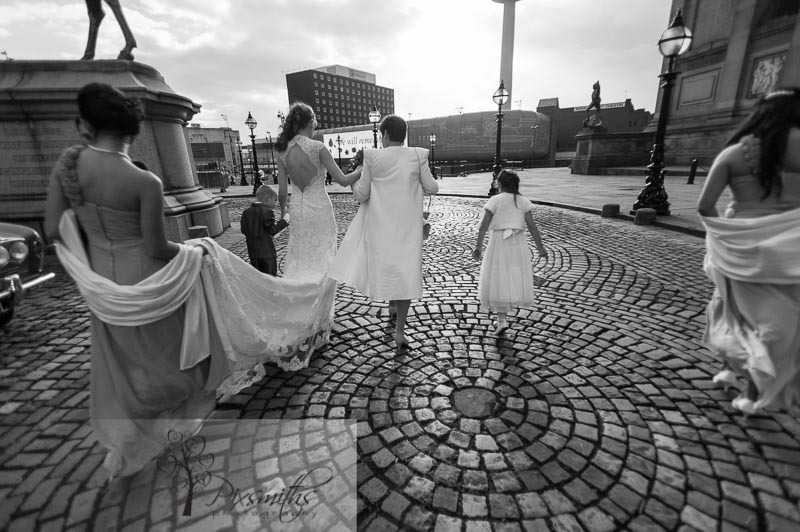 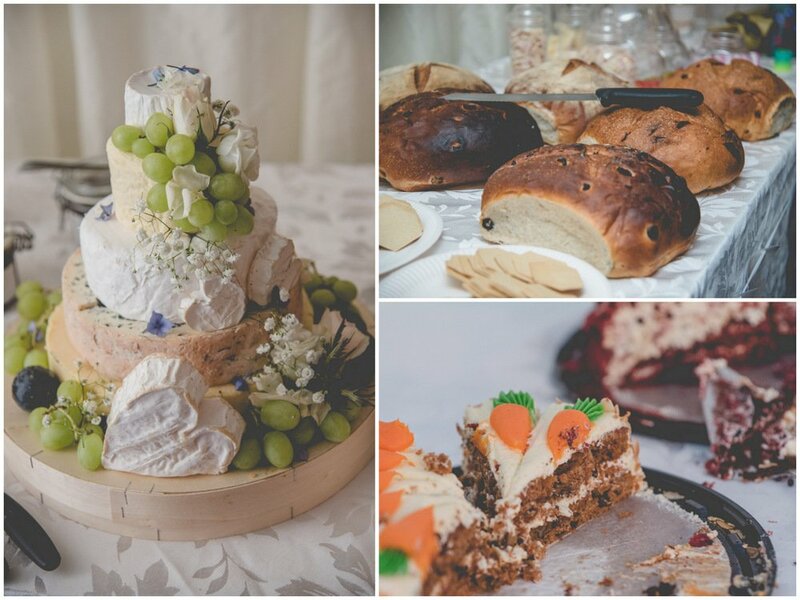 Liverpool Wedding Photographer, Pixsmiths Creative Photography enjoyed a special wedding on a cold day in November. 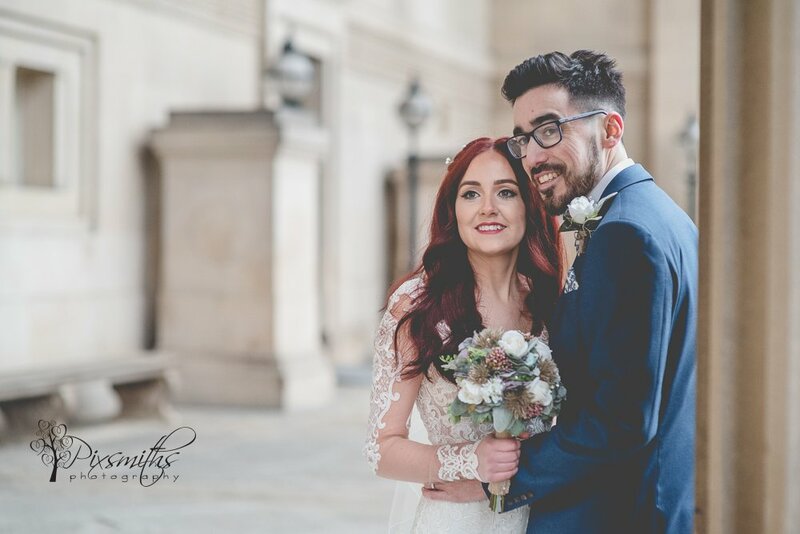 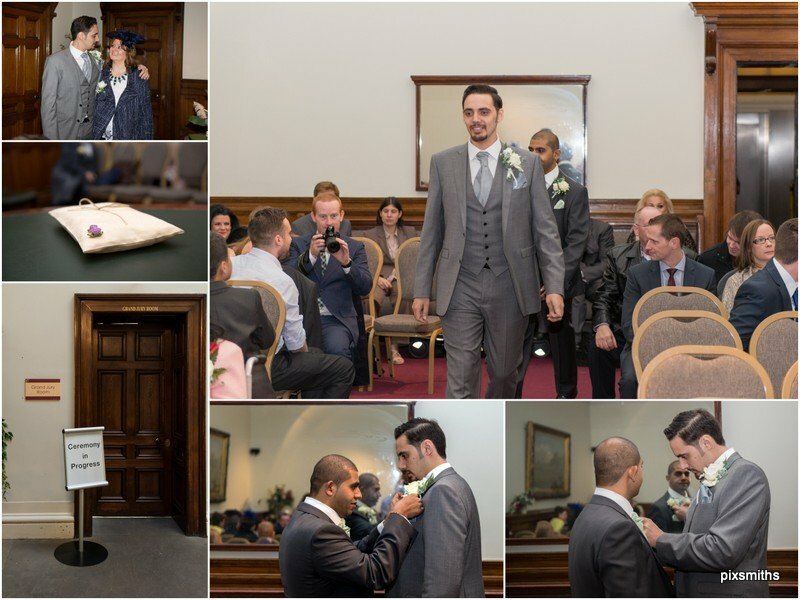 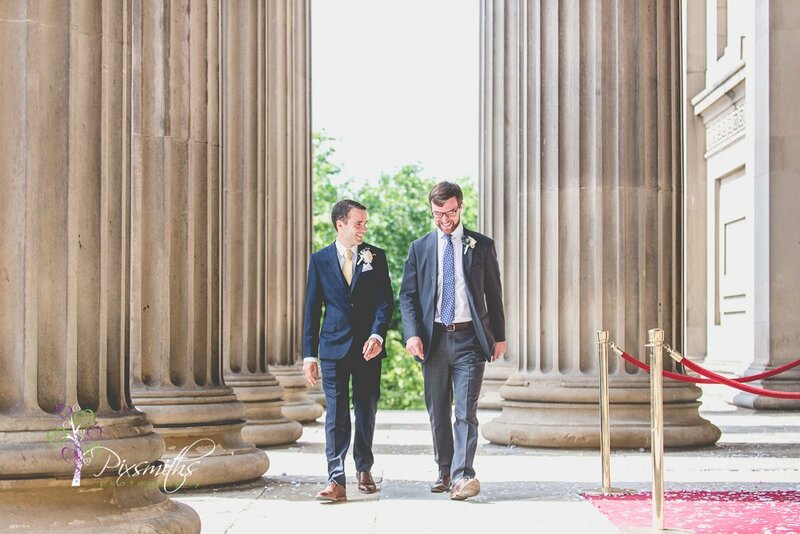 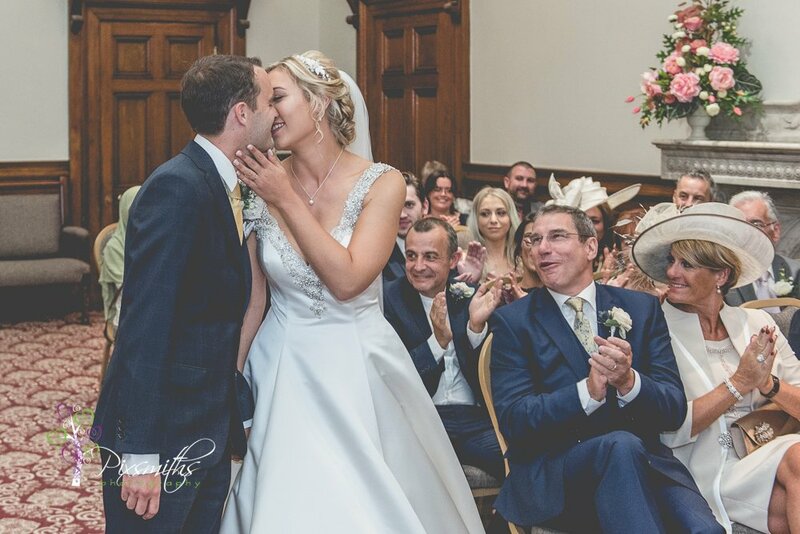 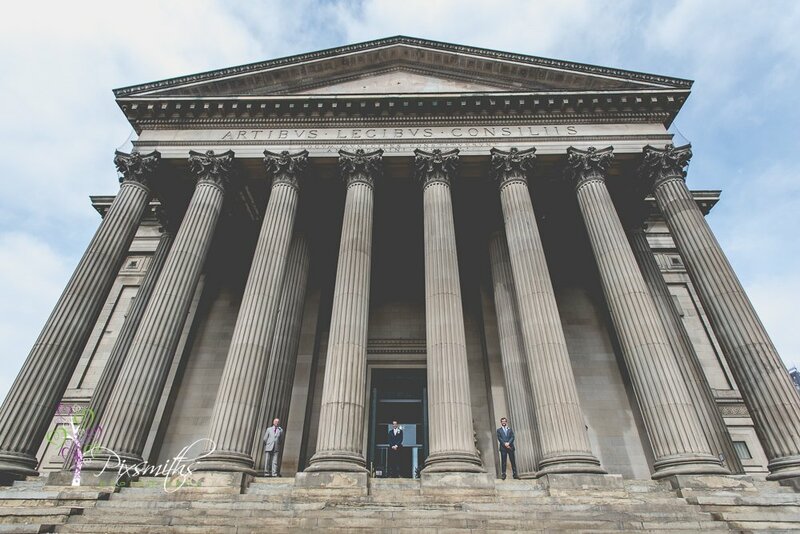 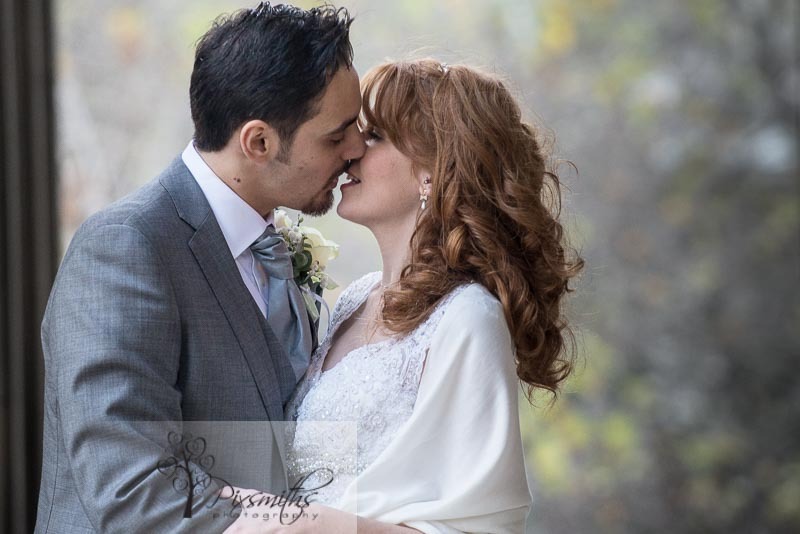 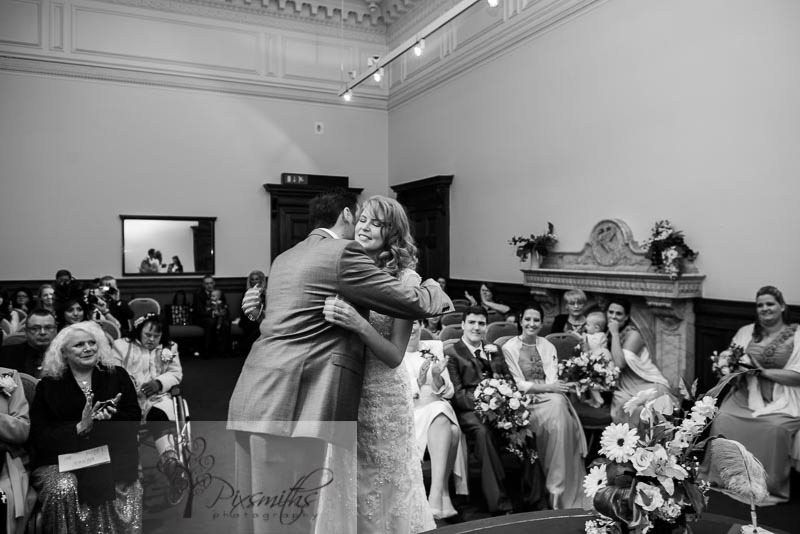 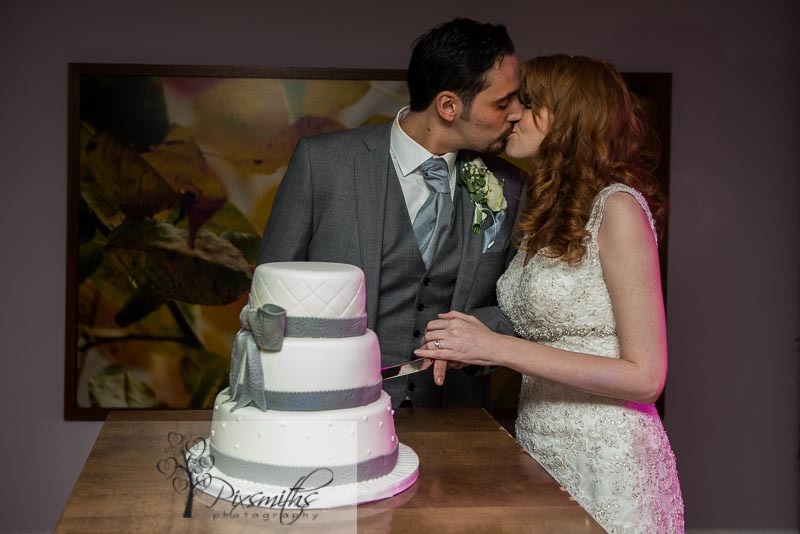 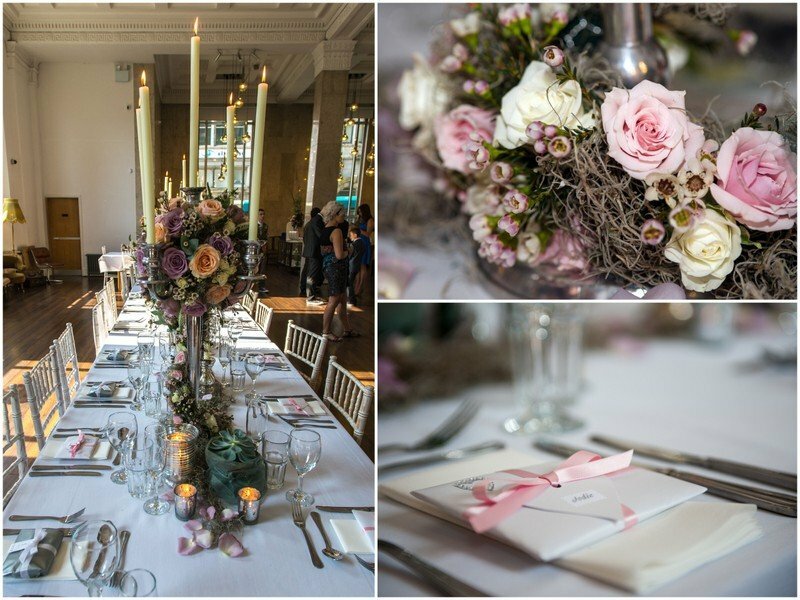 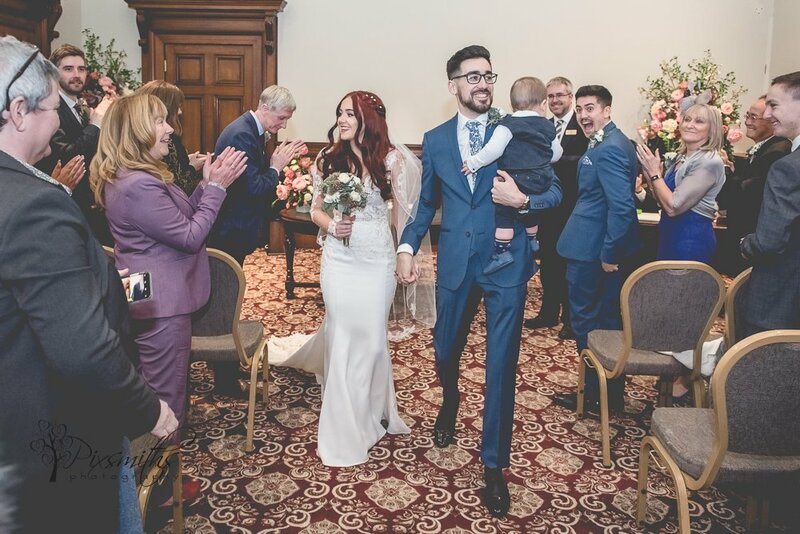 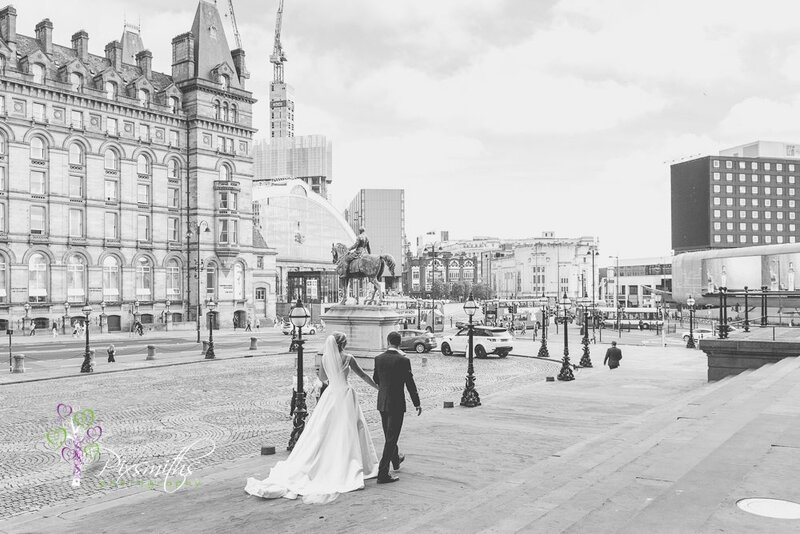 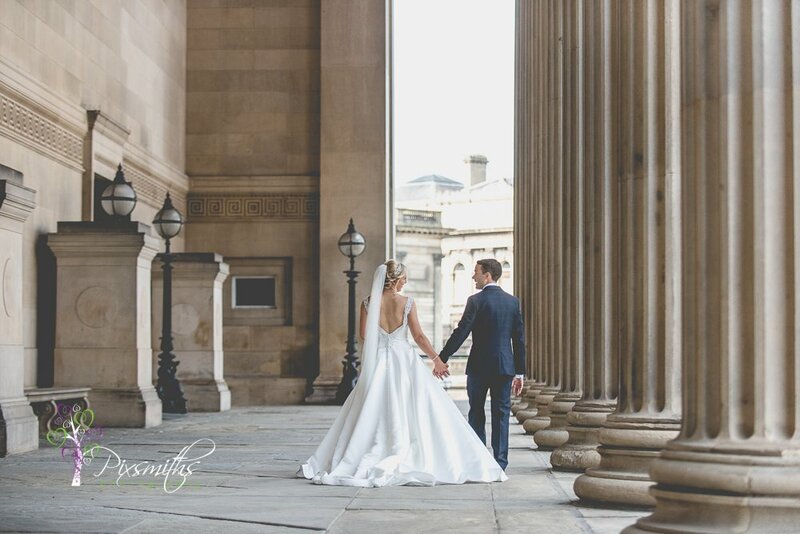 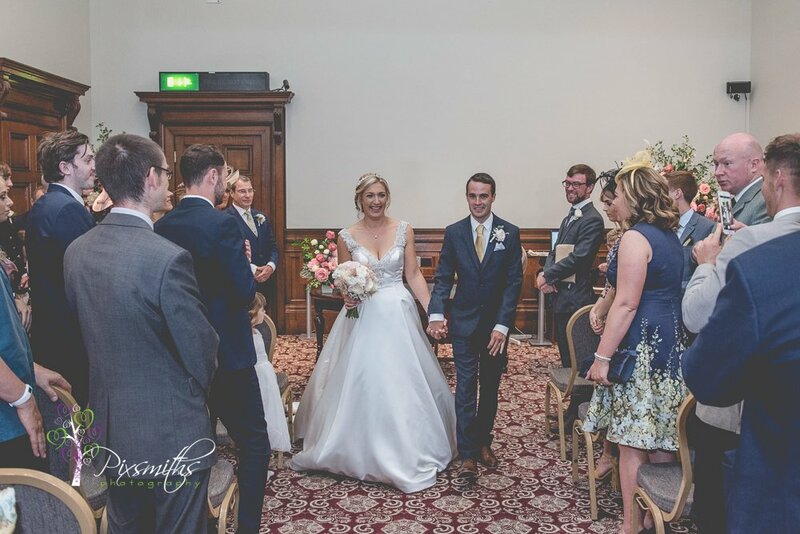 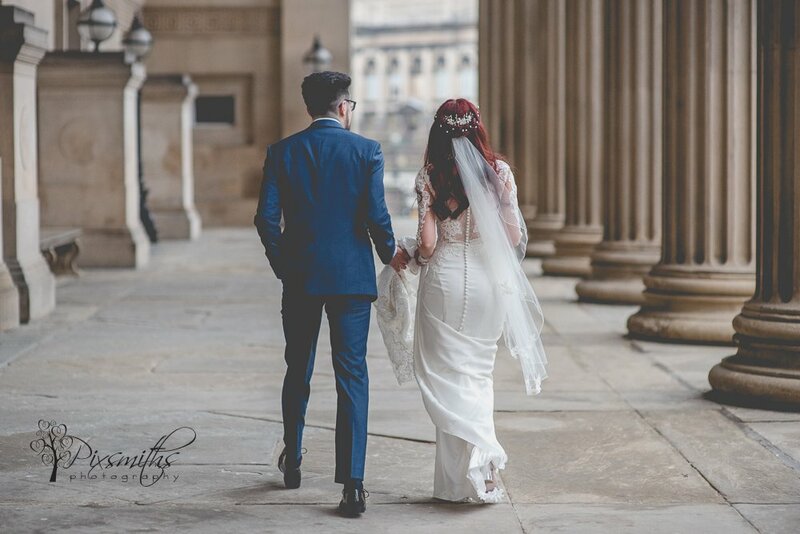 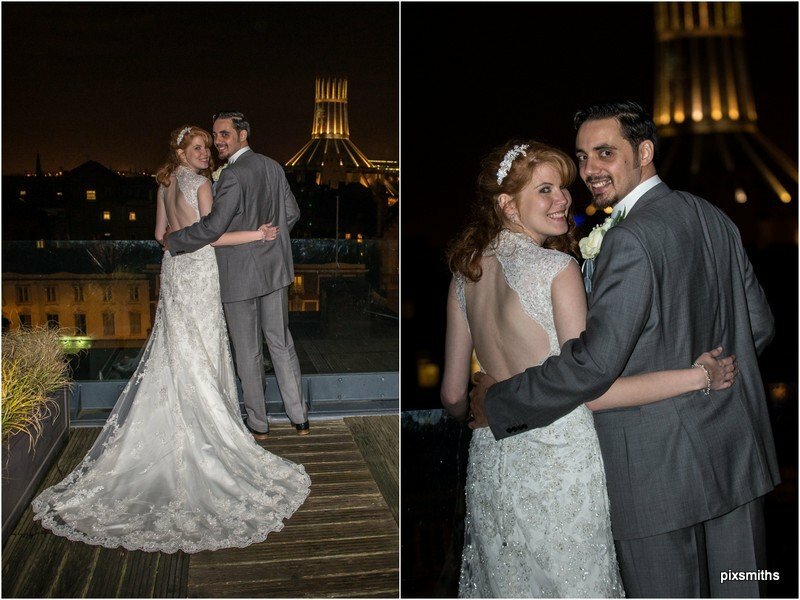 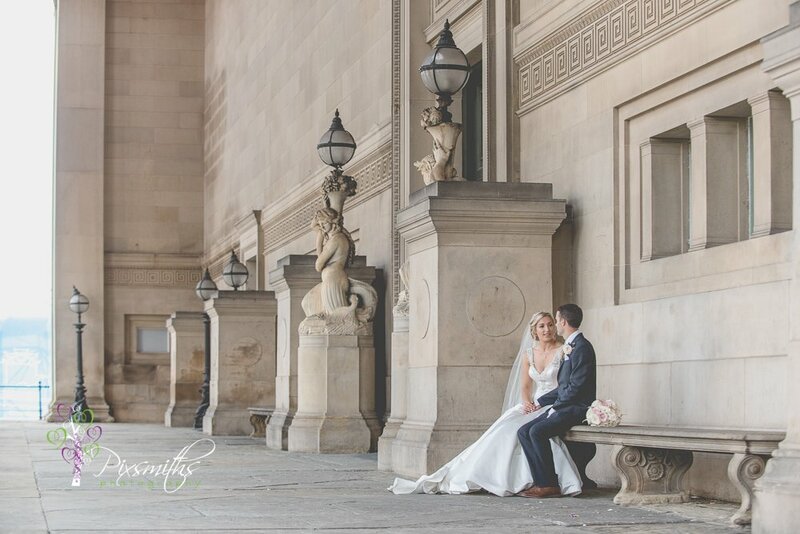 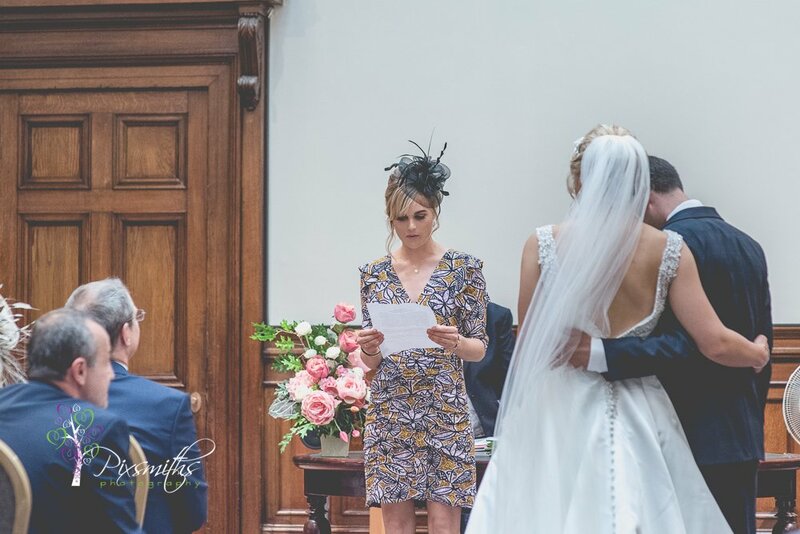 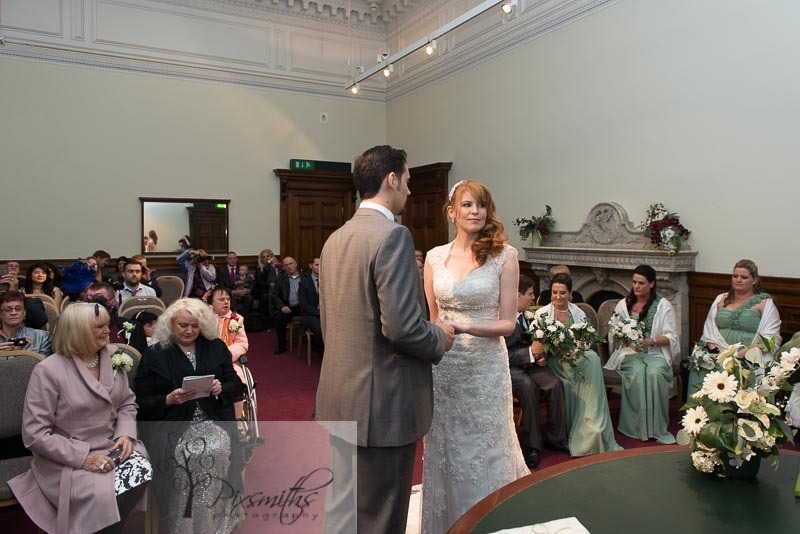 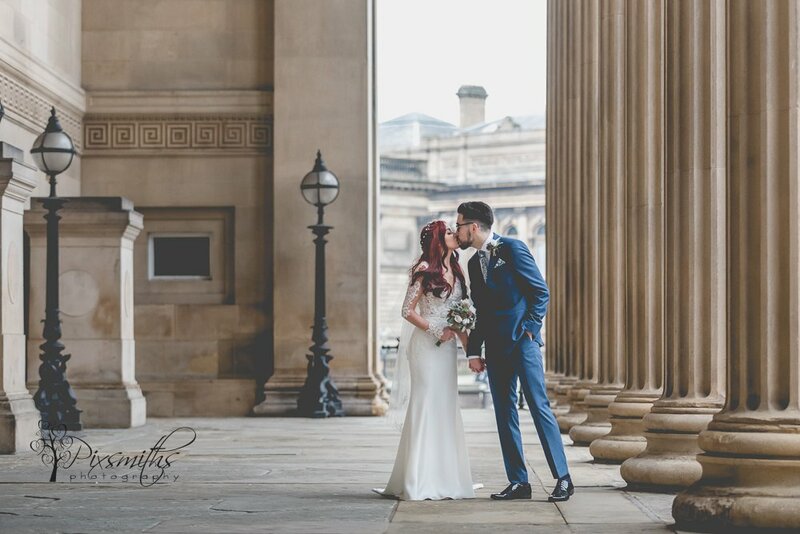 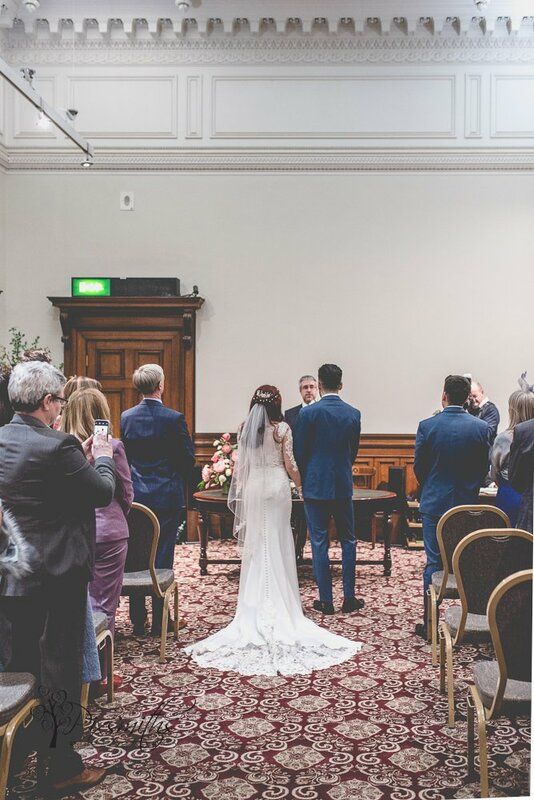 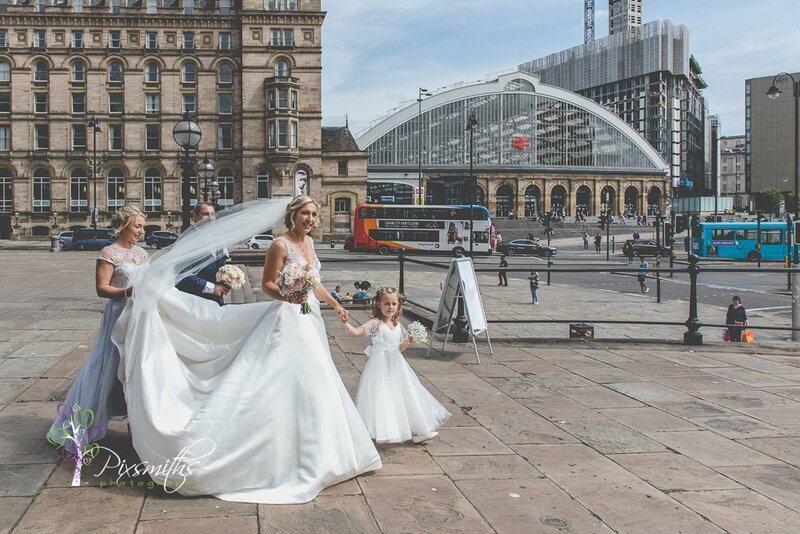 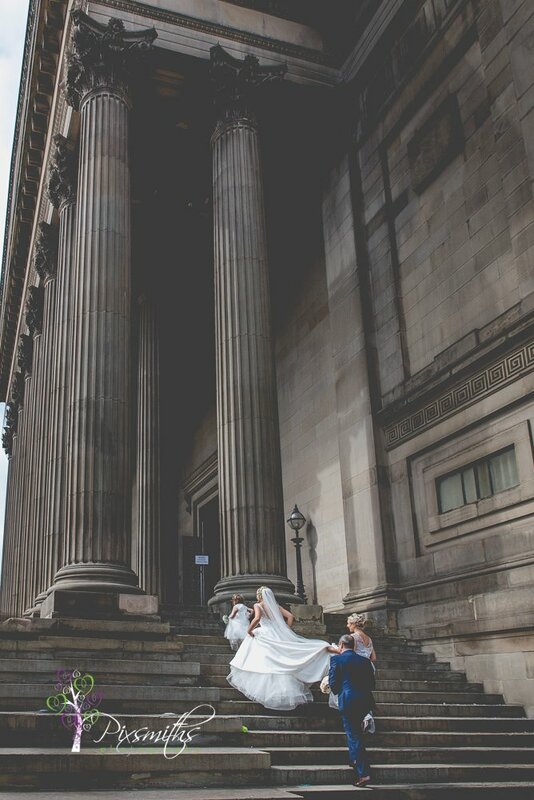 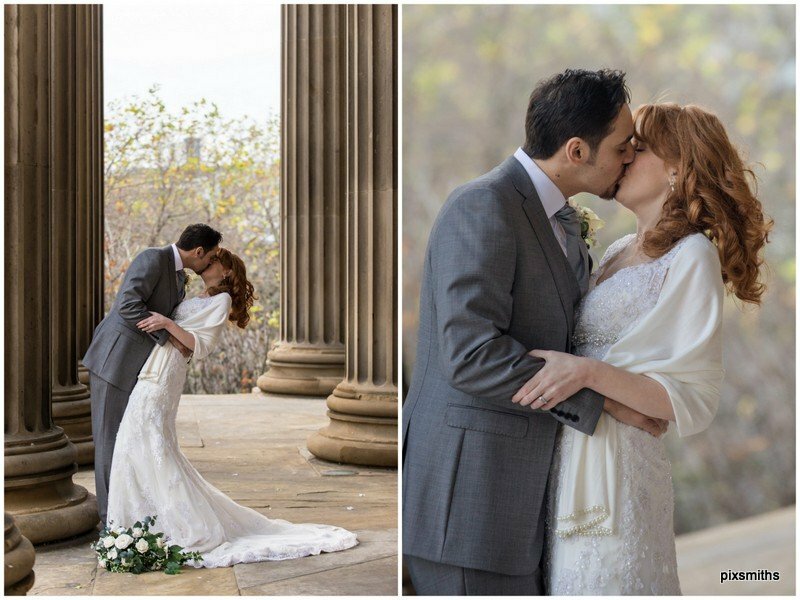 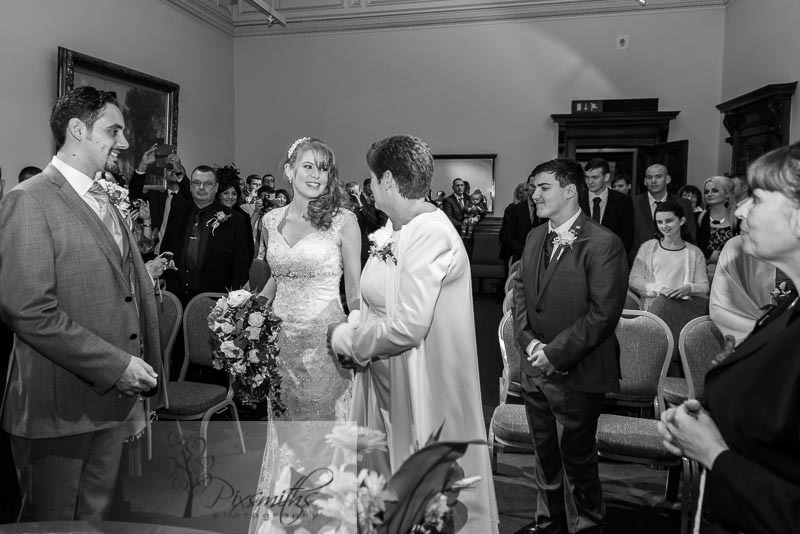 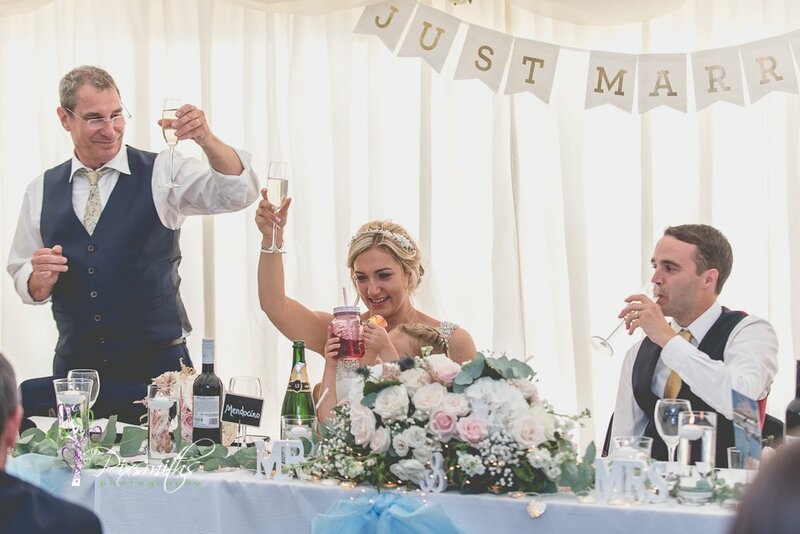 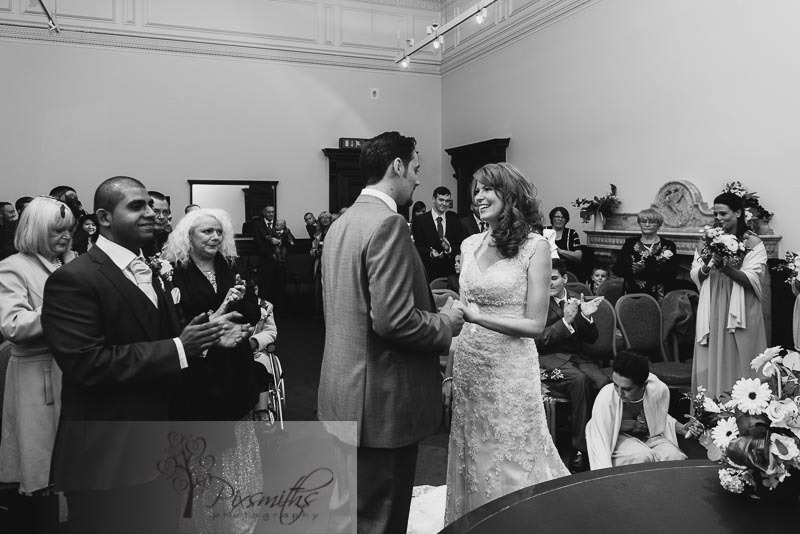 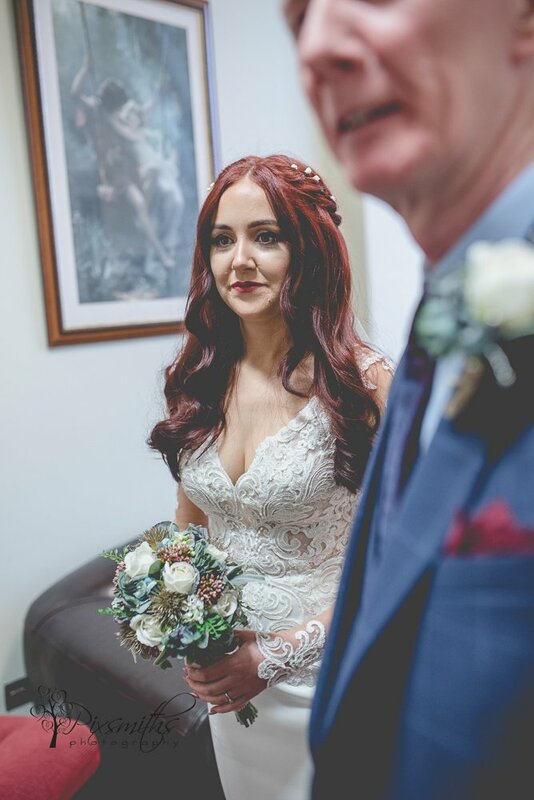 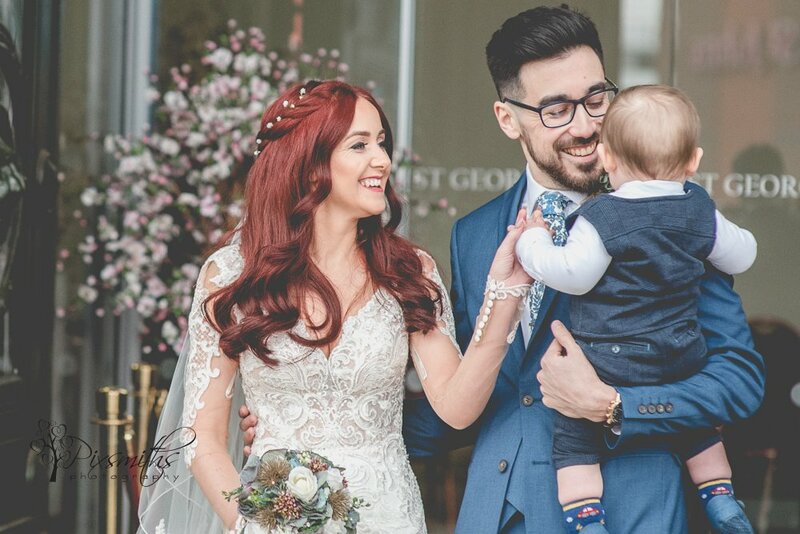 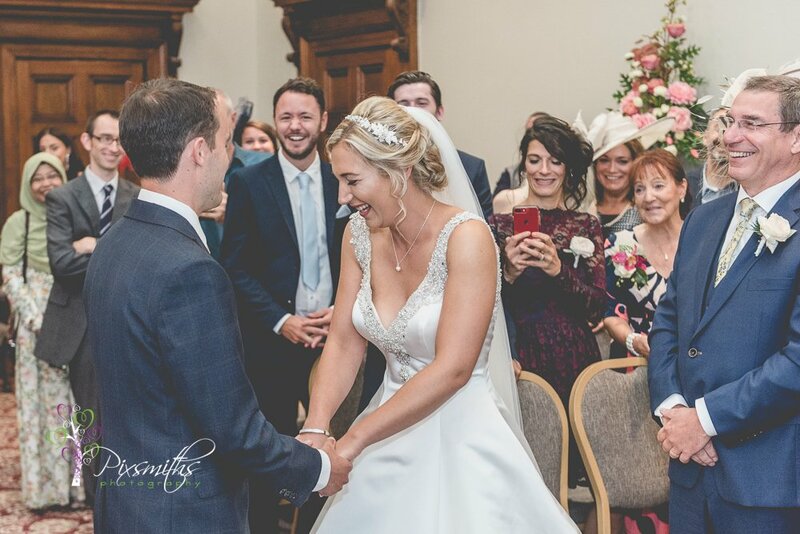 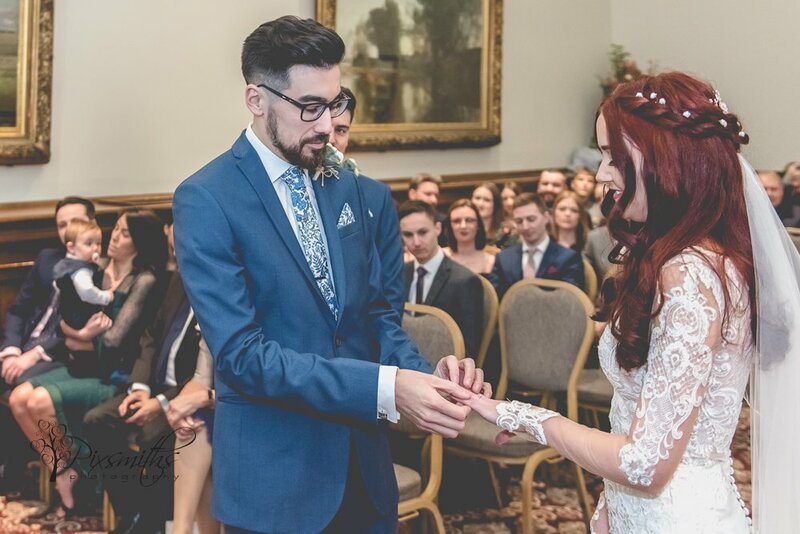 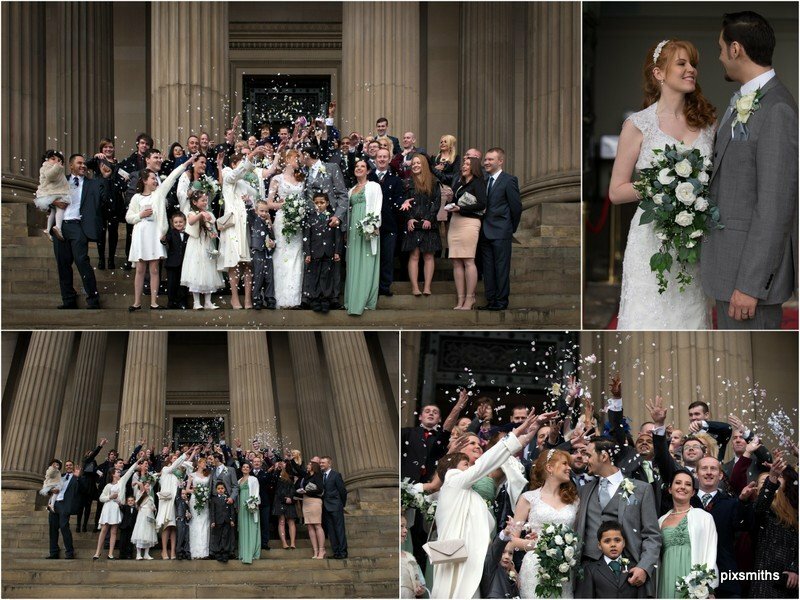 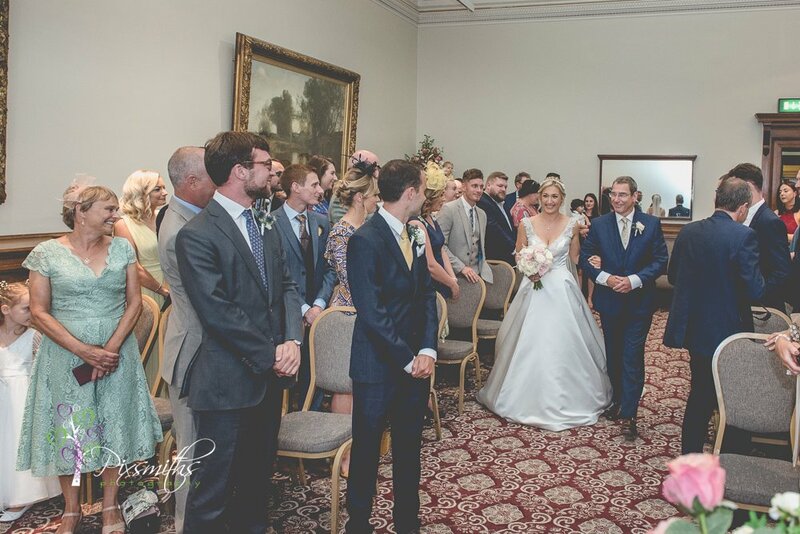 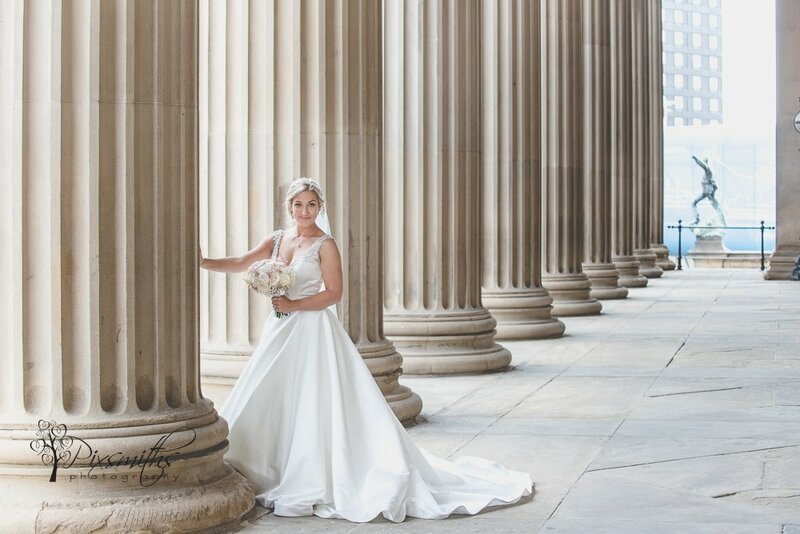 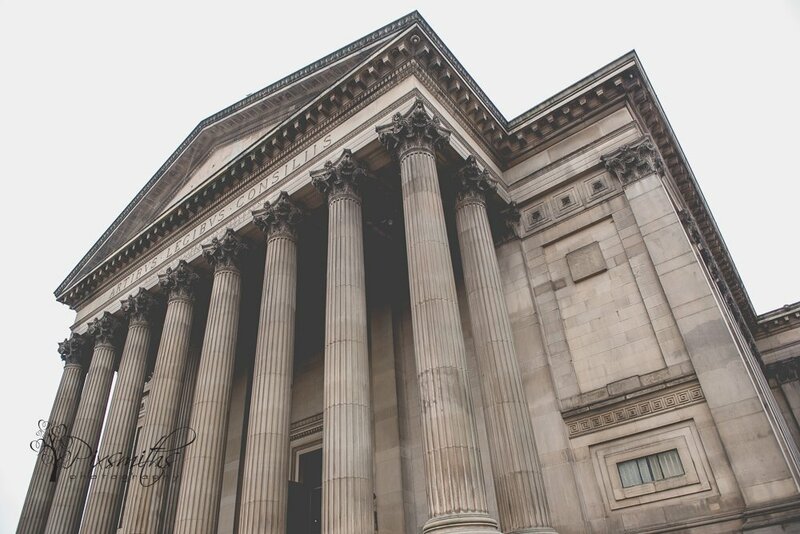 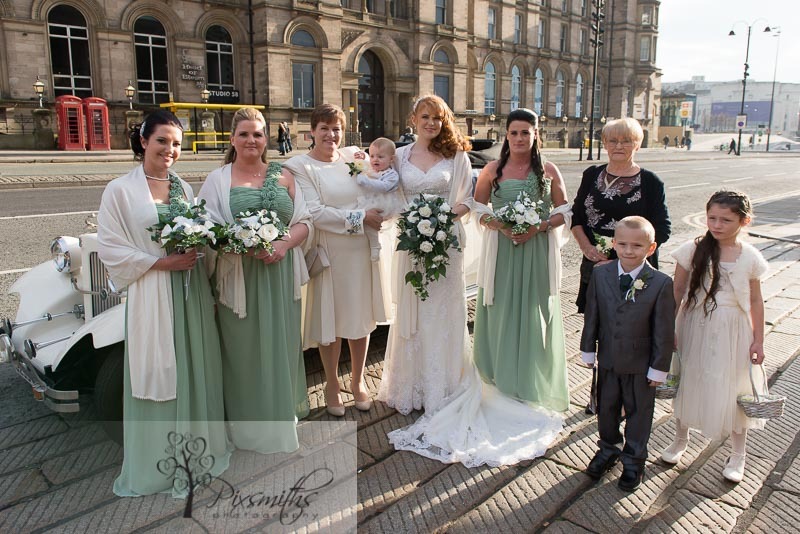 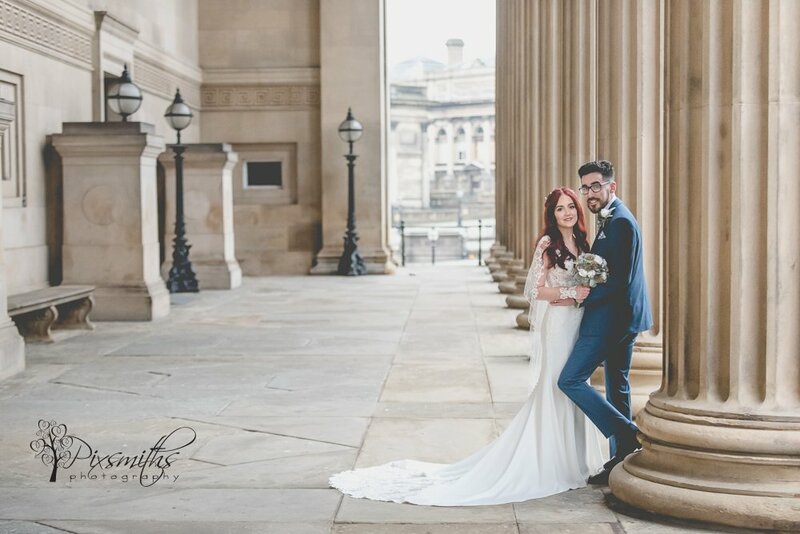 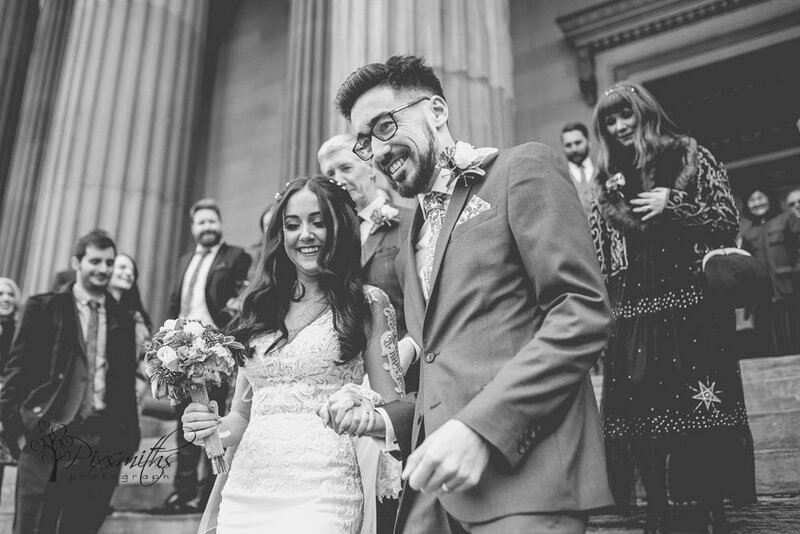 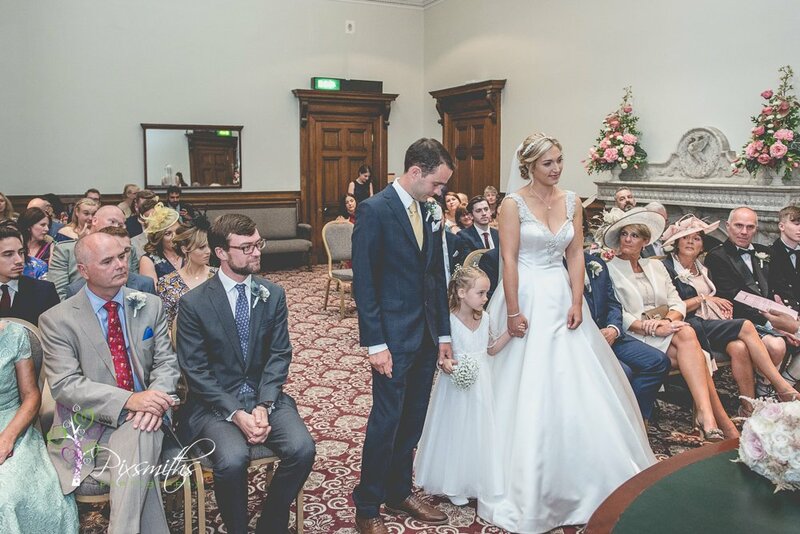 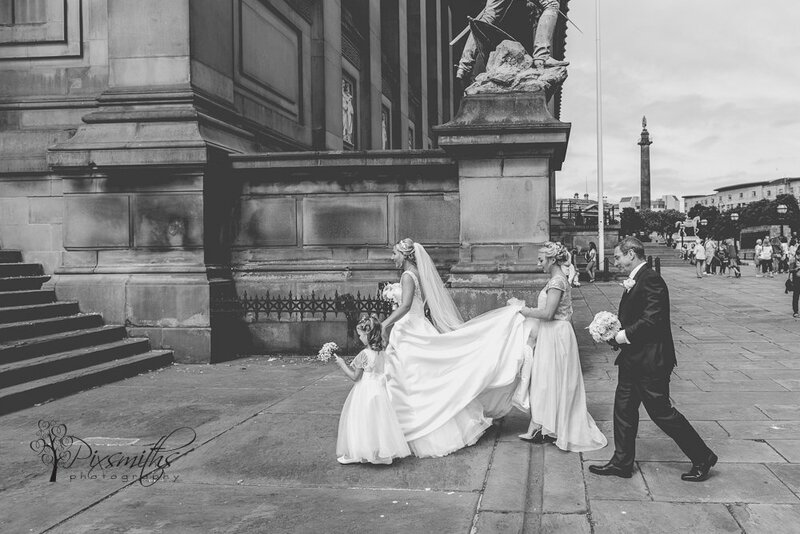 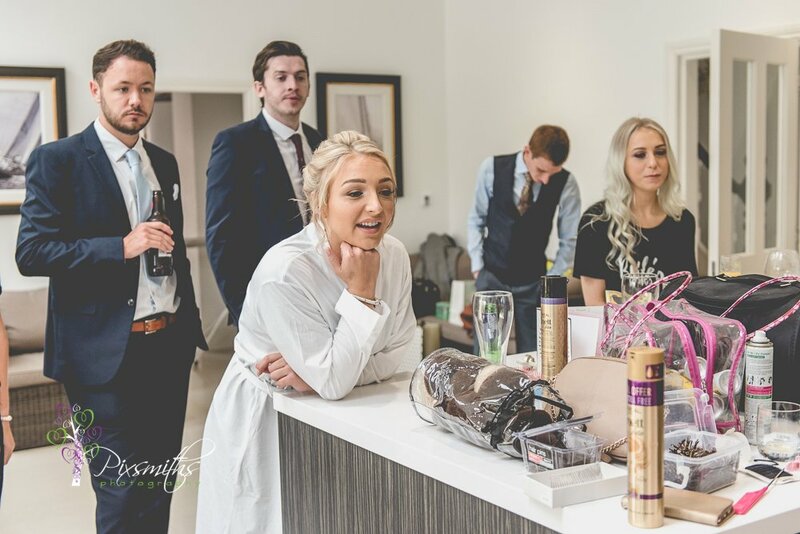 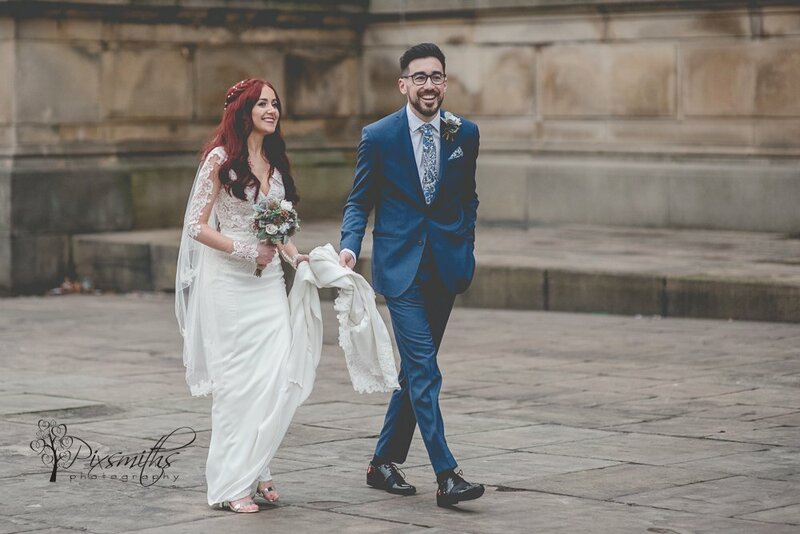 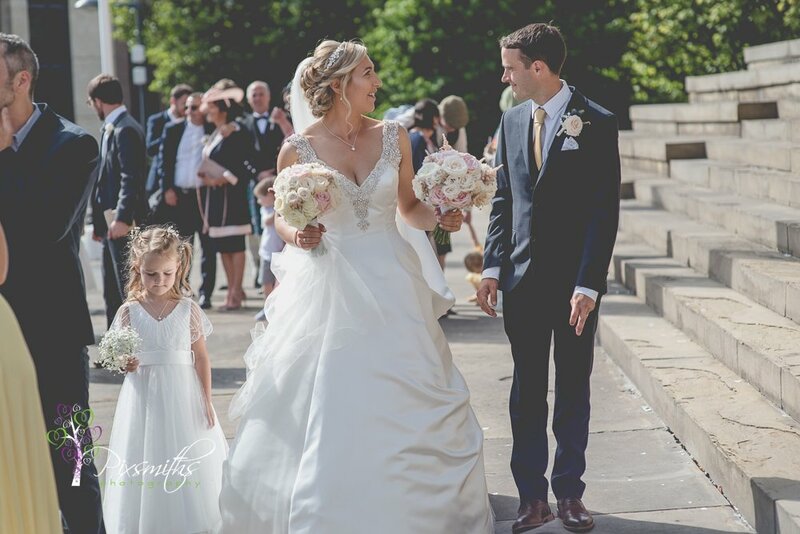 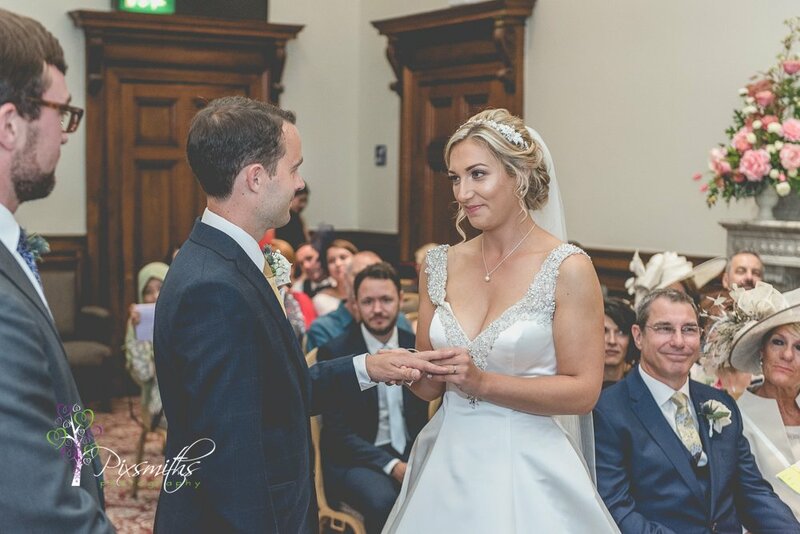 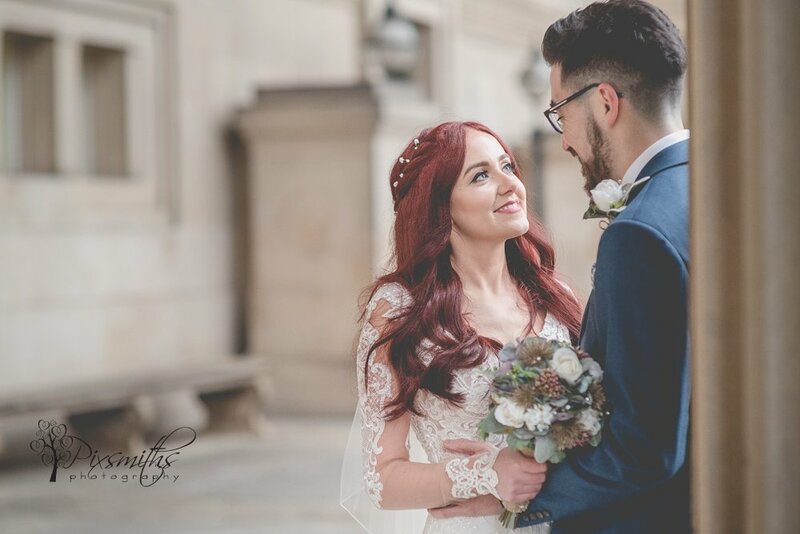 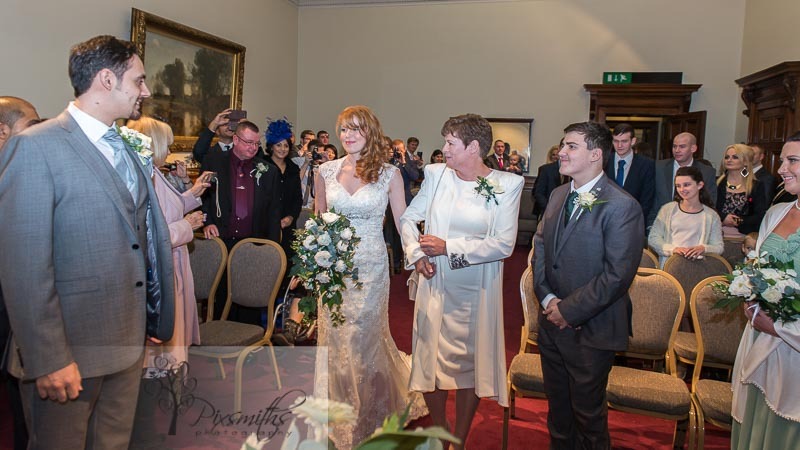 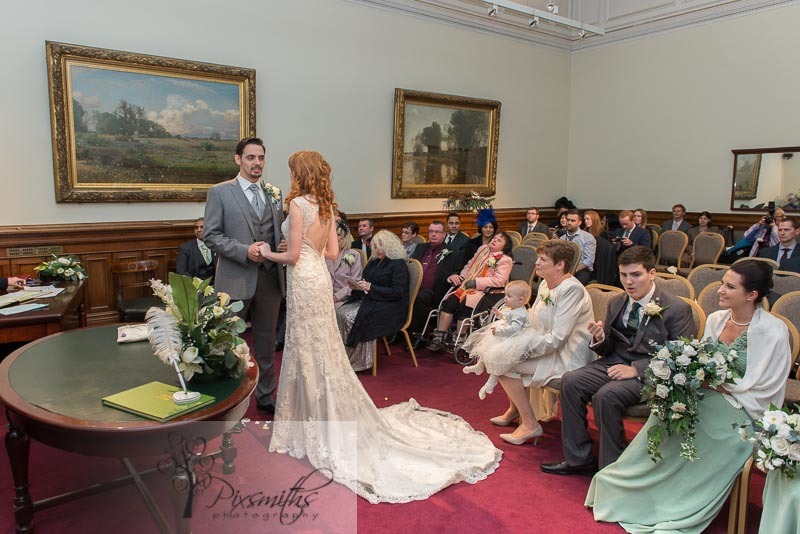 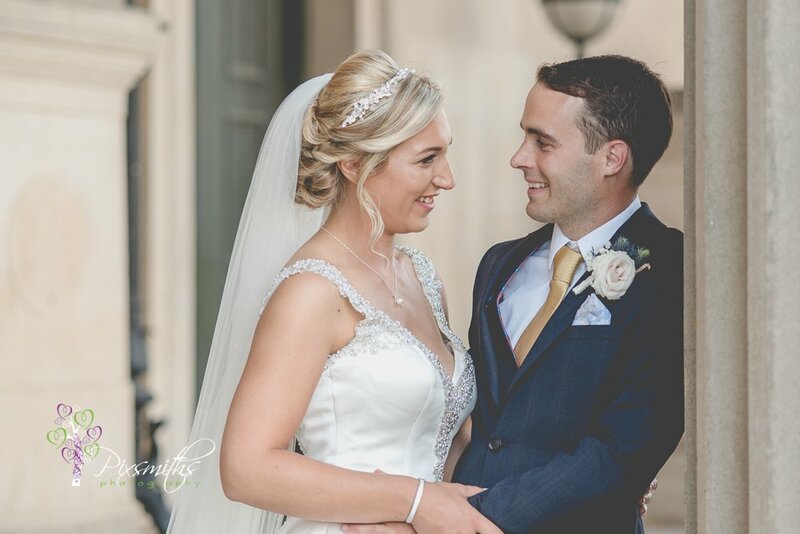 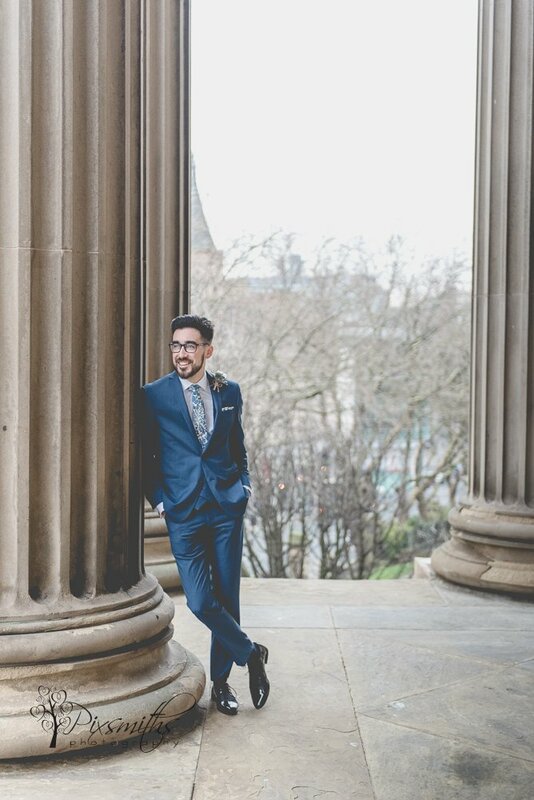 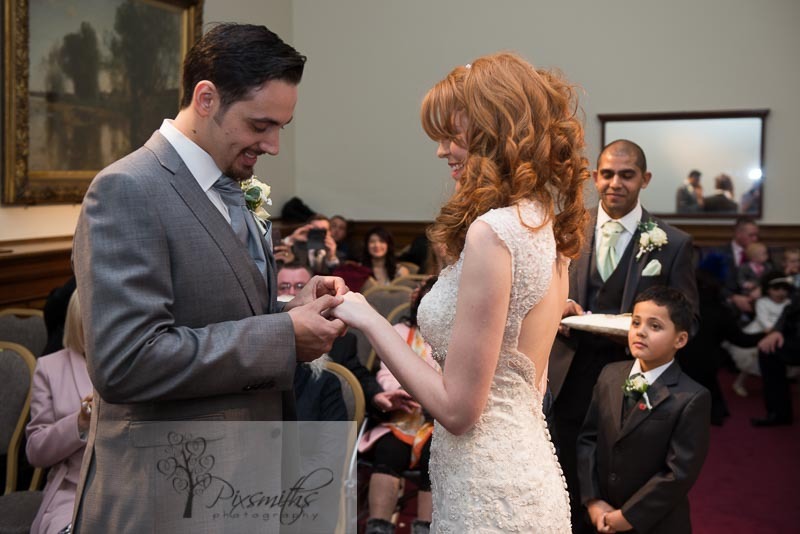 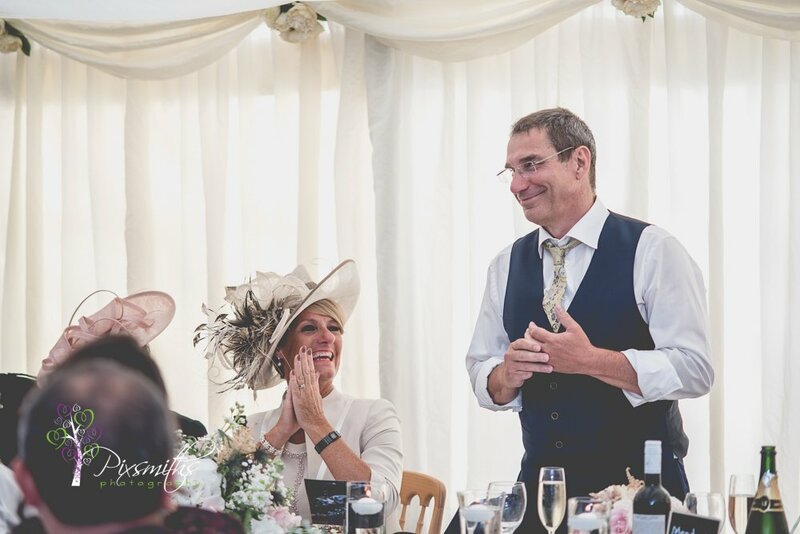 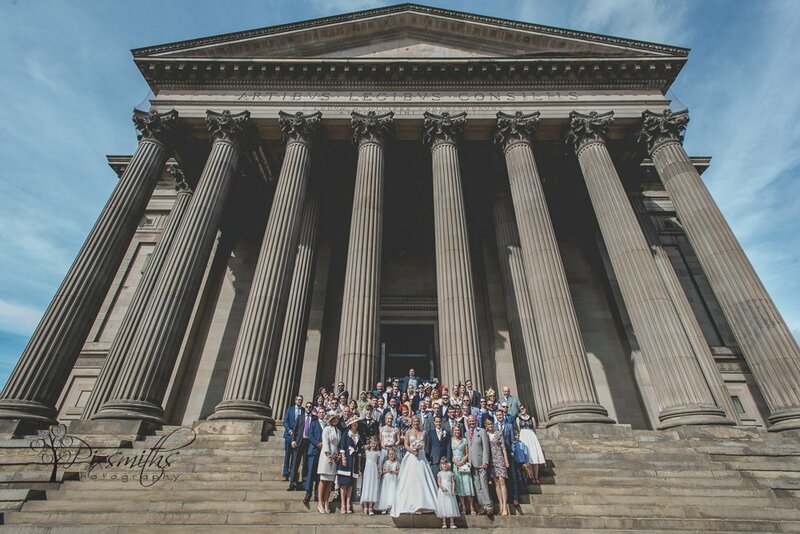 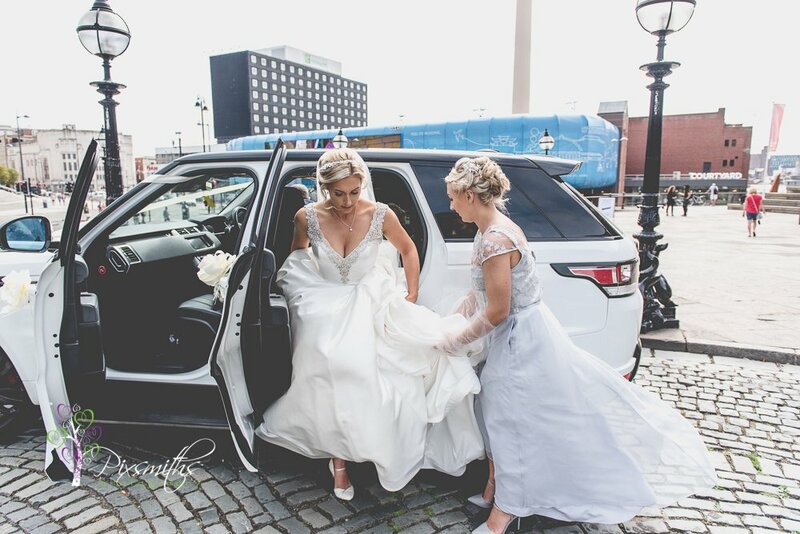 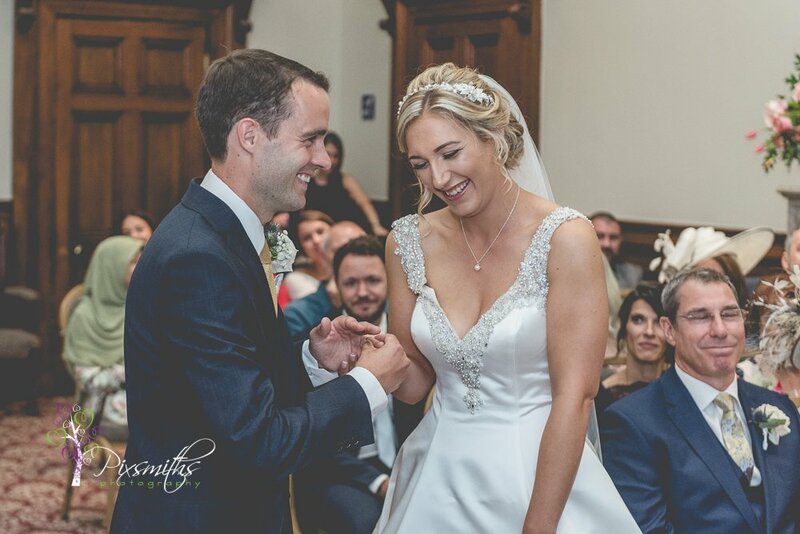 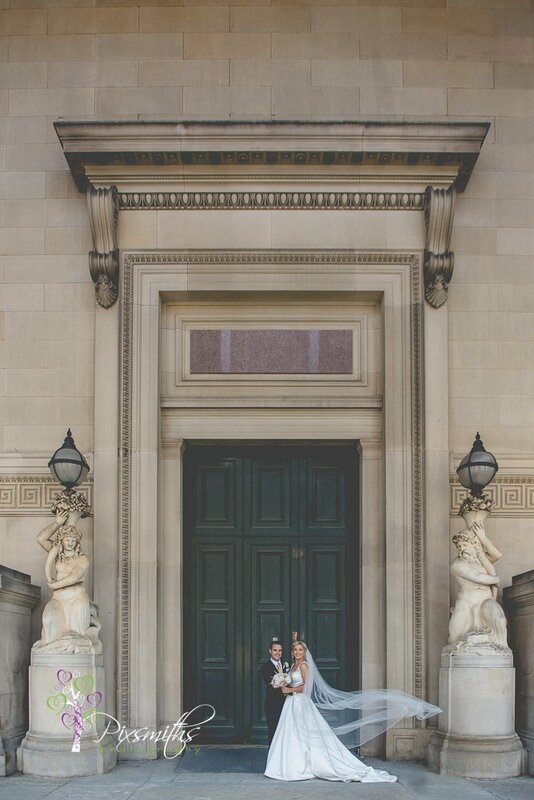 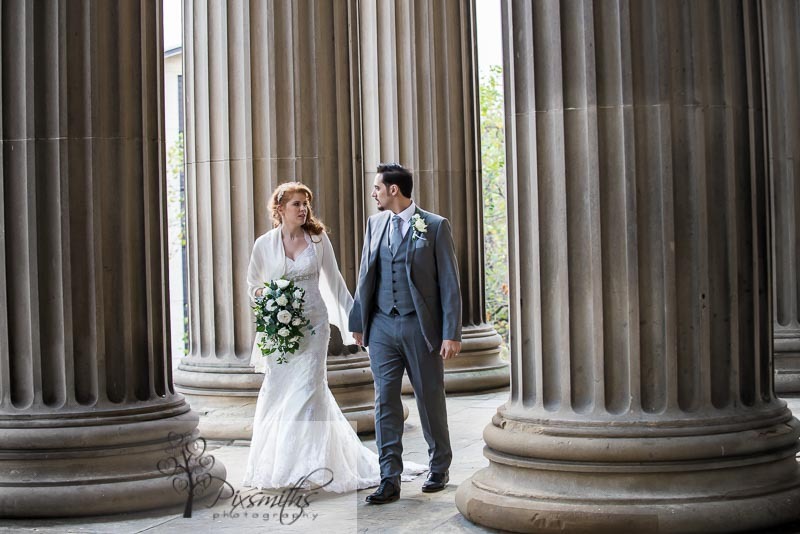 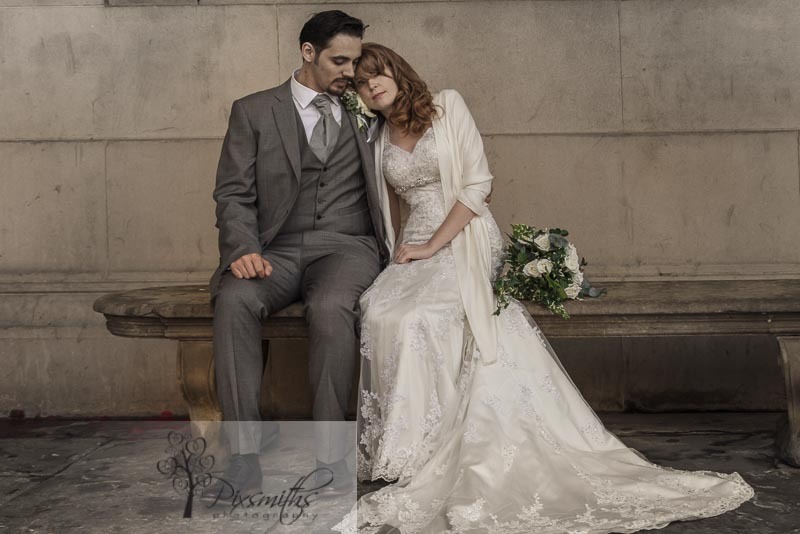 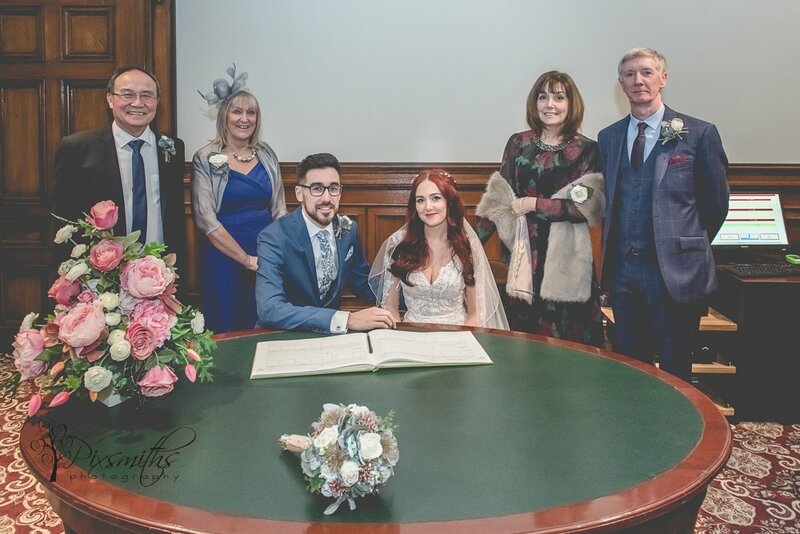 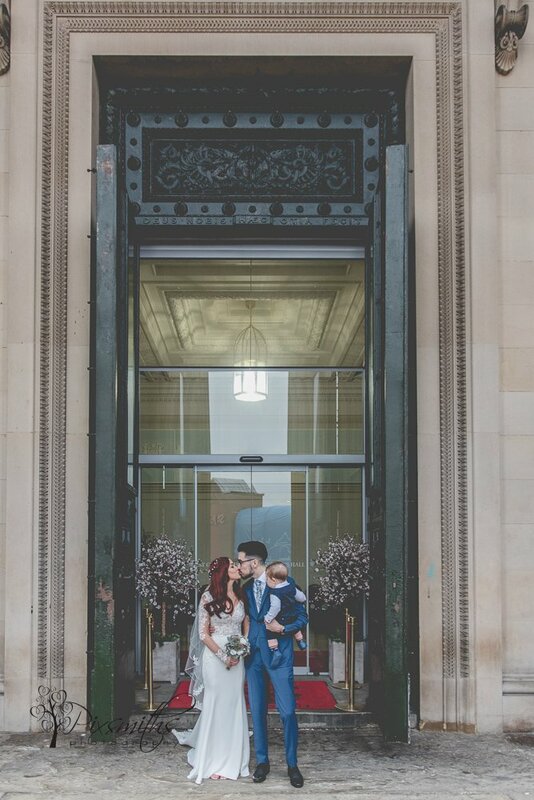 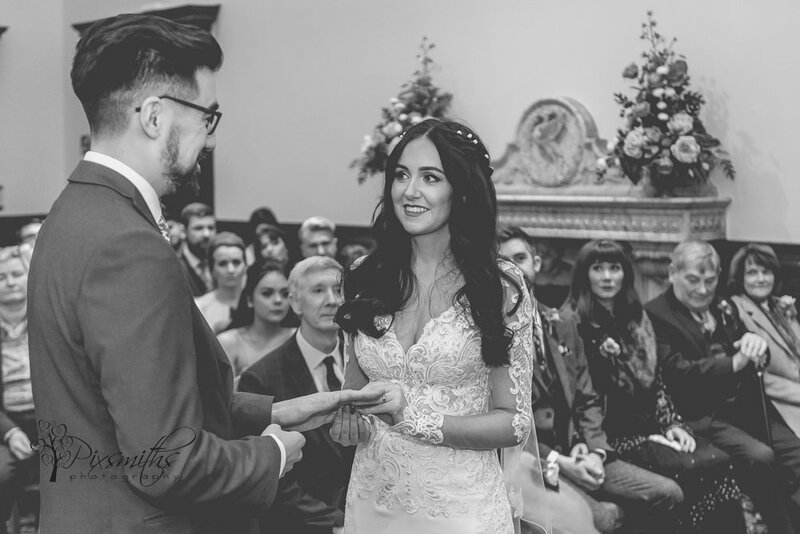 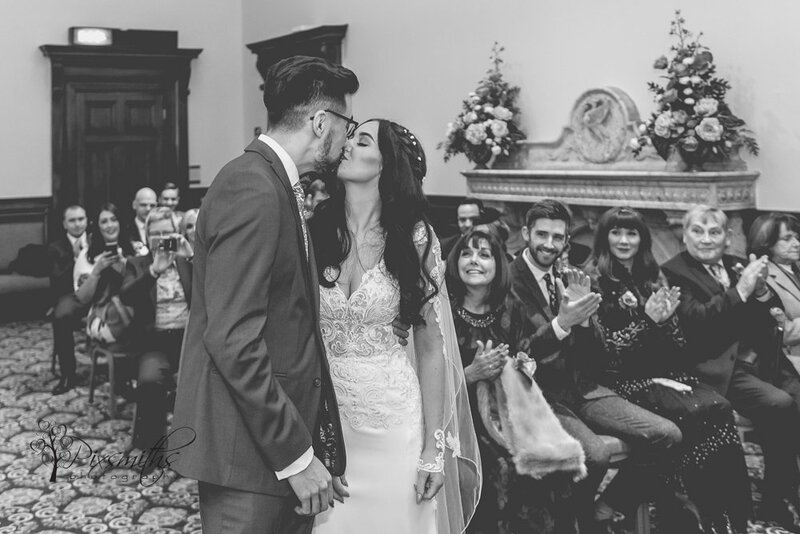 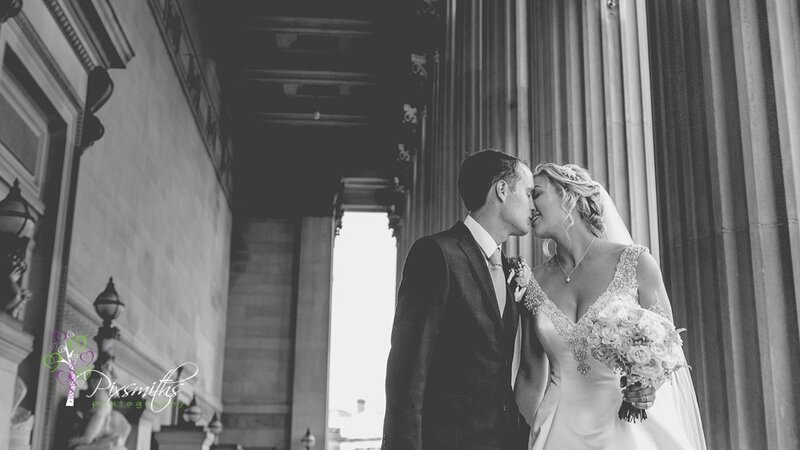 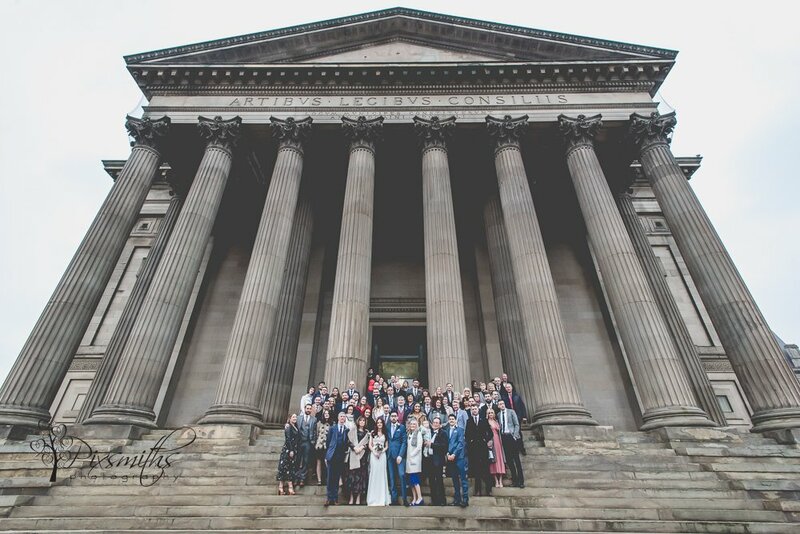 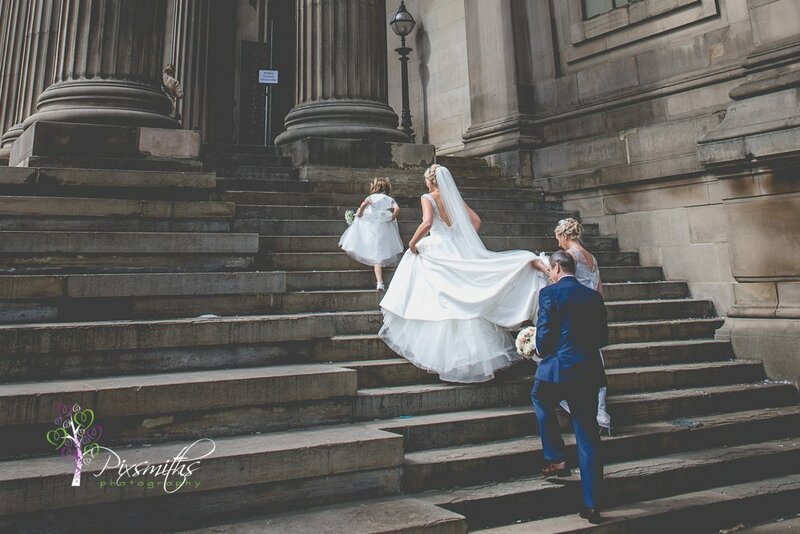 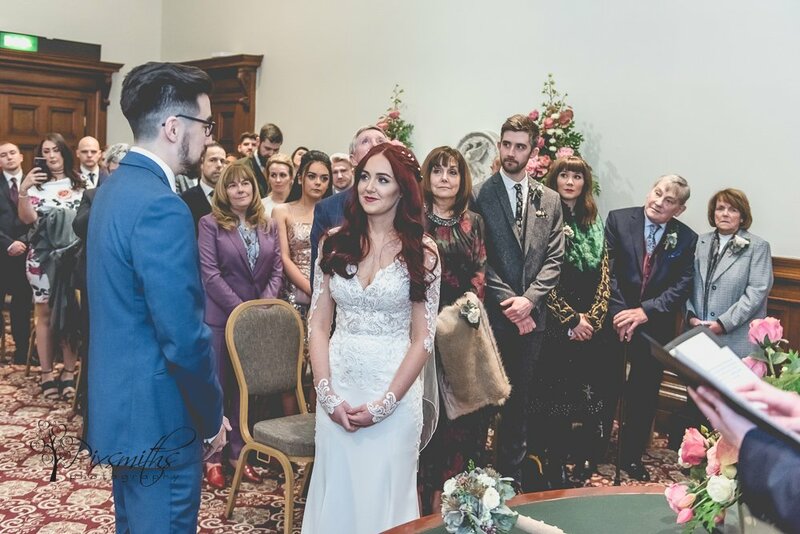 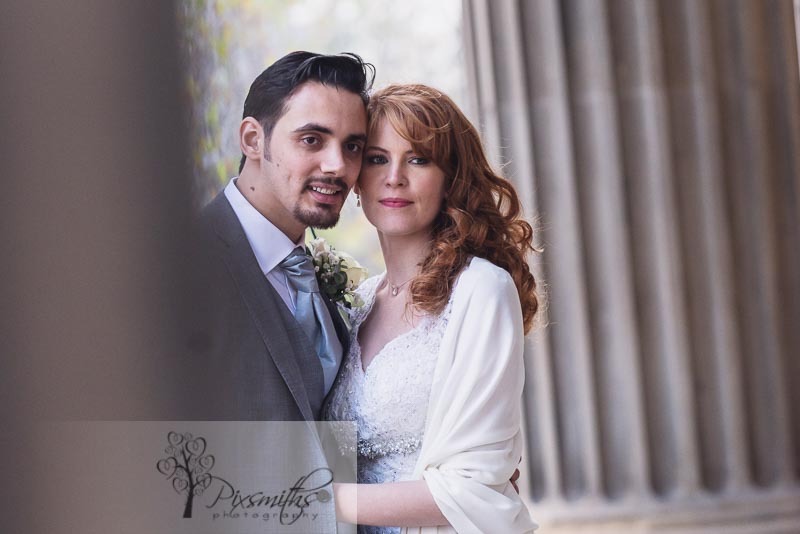 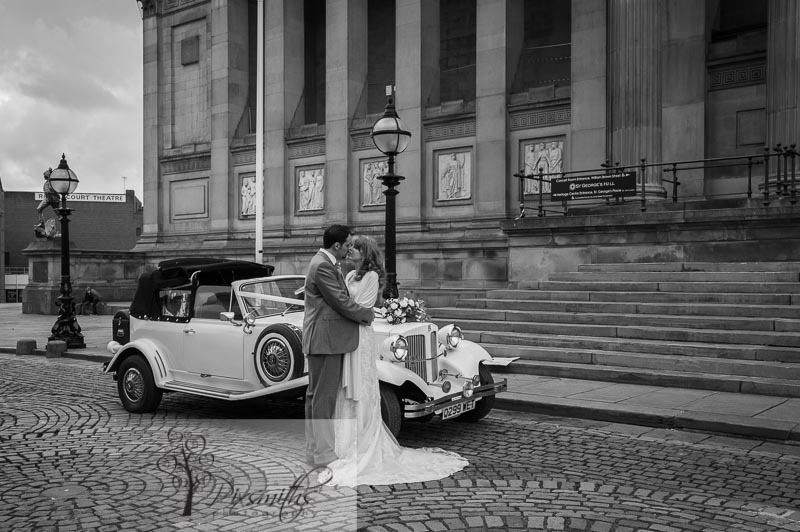 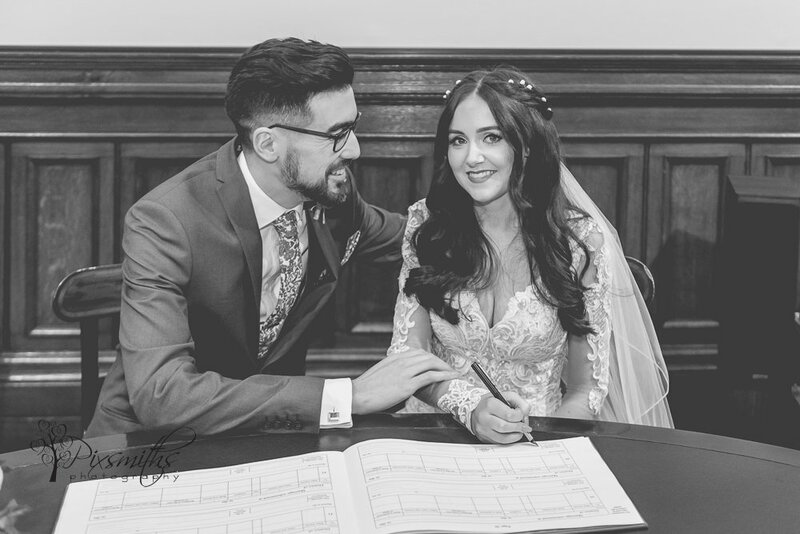 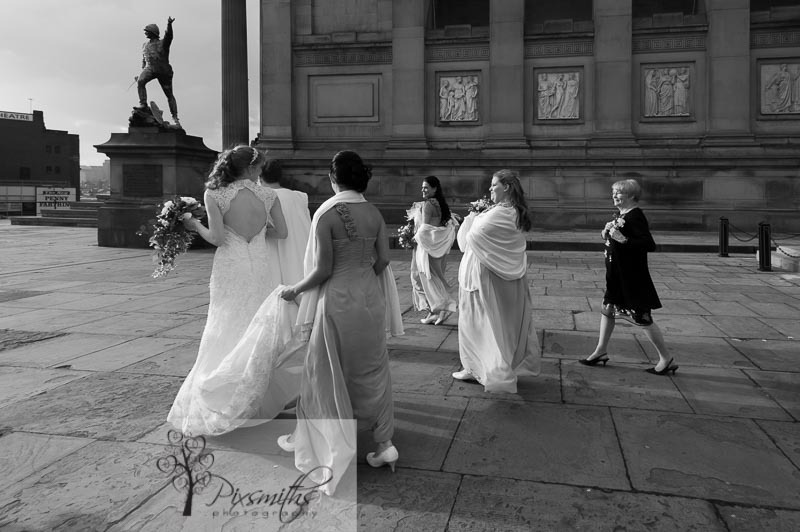 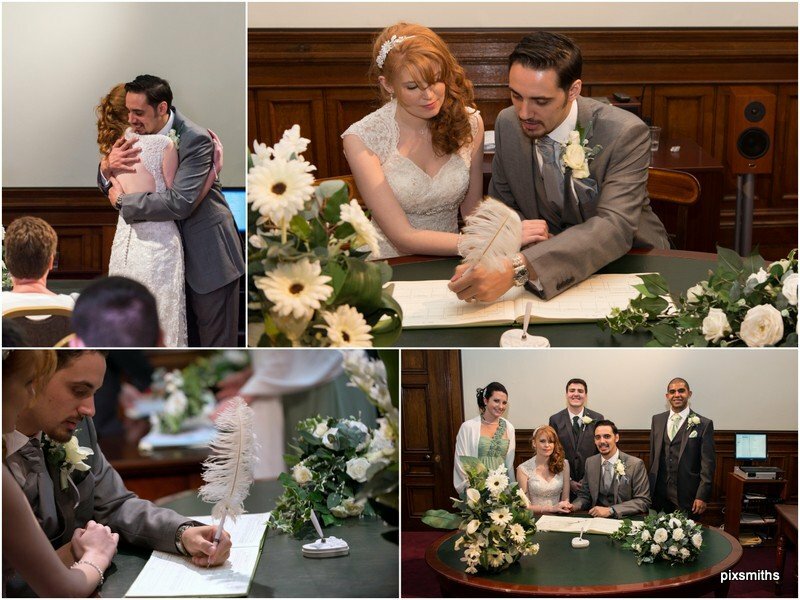 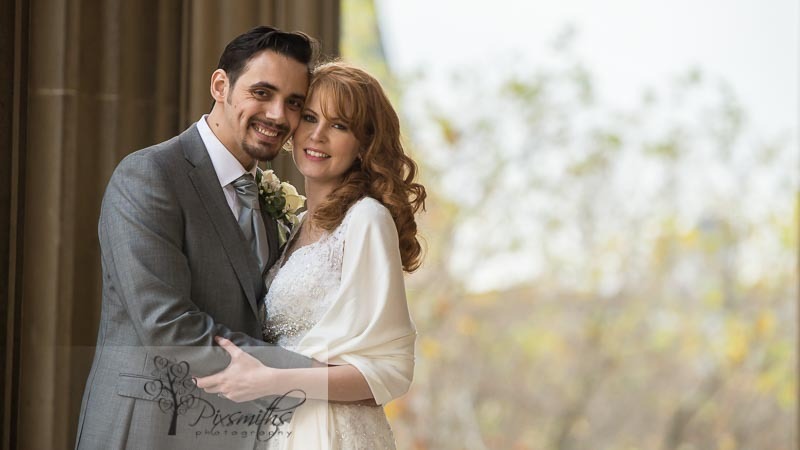 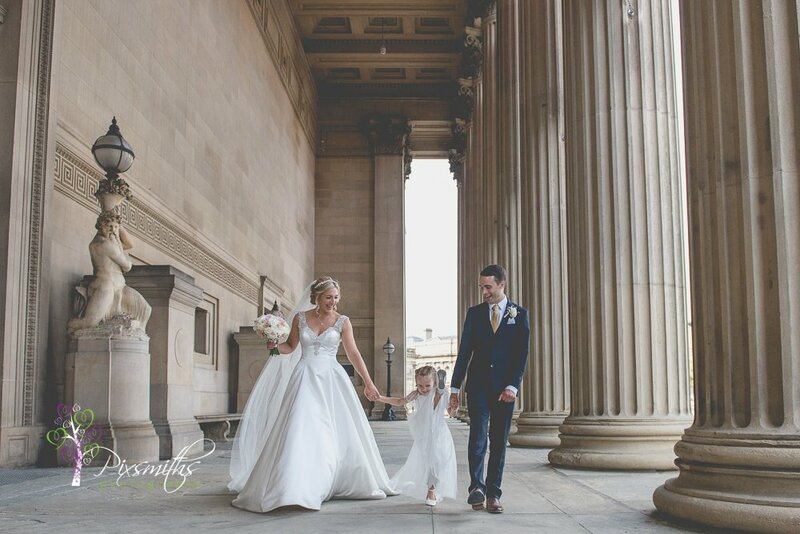 Nicola and Hamid brought their Liverpool wedding forward …not knowing it would be a special Remembrance Sunday, being a centenary of WW1. . Fortunately the timing of the ceremony meant the crowds had virtually disappeared and the roads reopened around St George’s Hall. 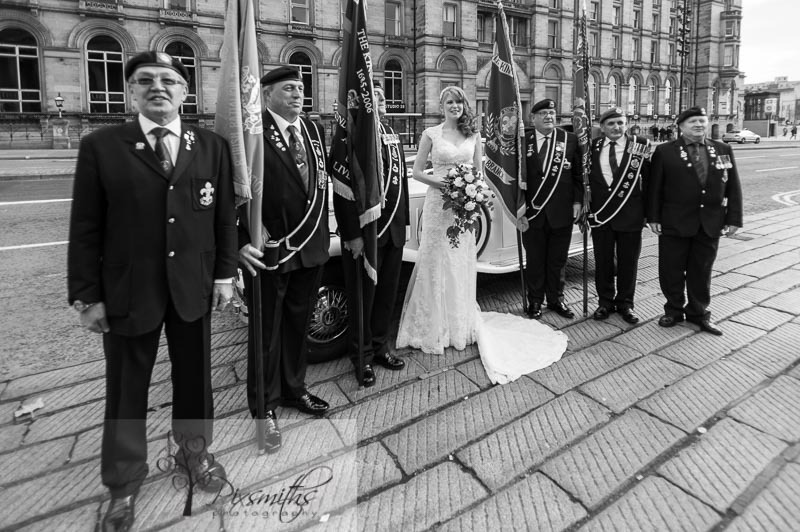 Still it made for a wonderful setting and memorable pictures of Nicola with men in uniforms :-). 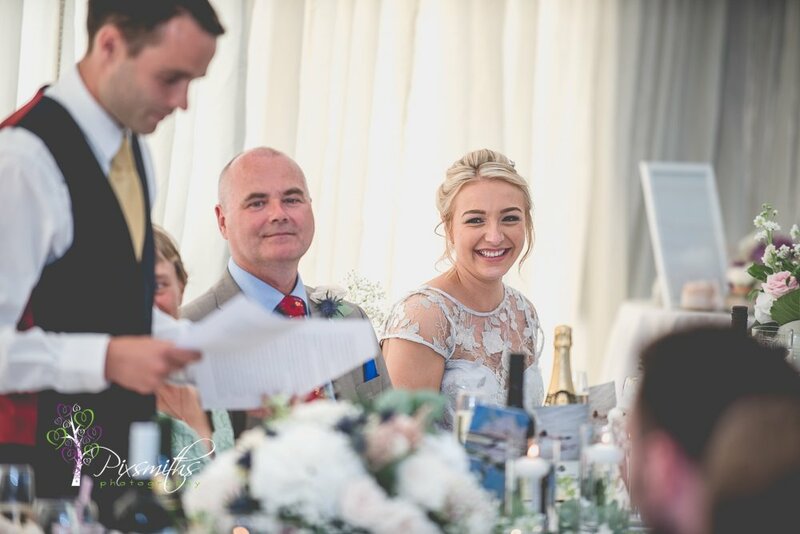 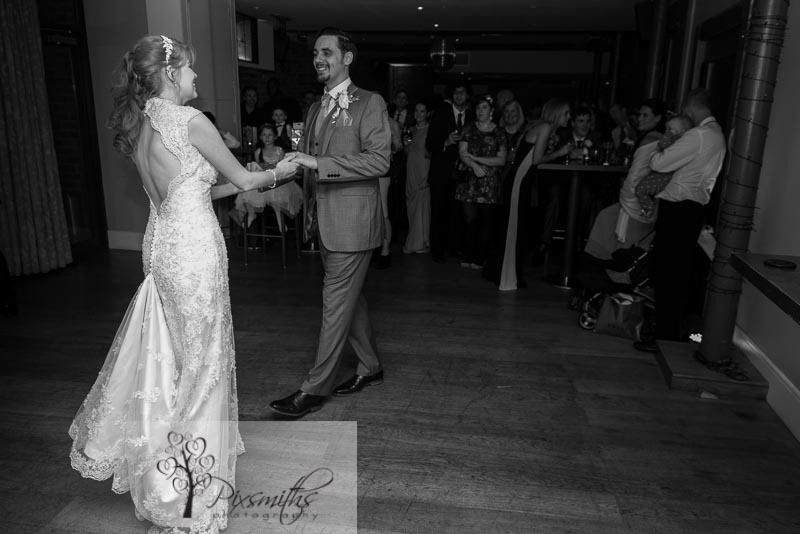 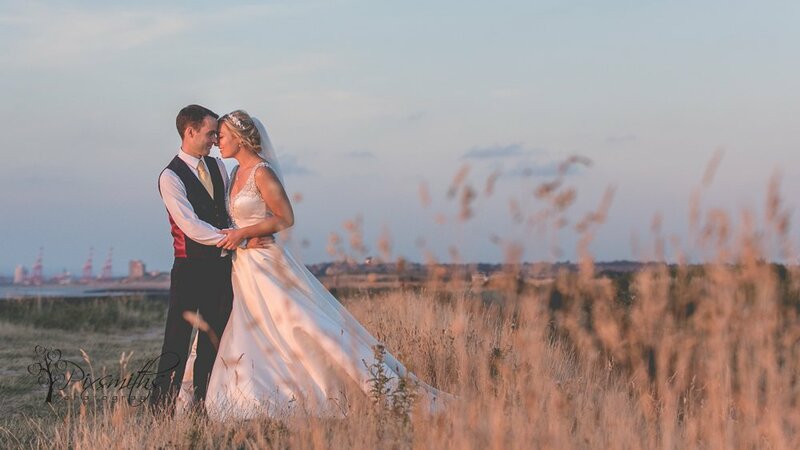 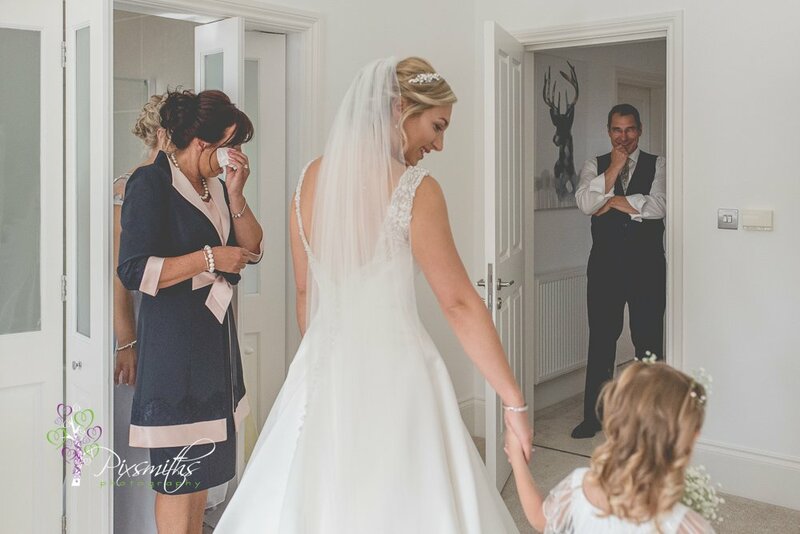 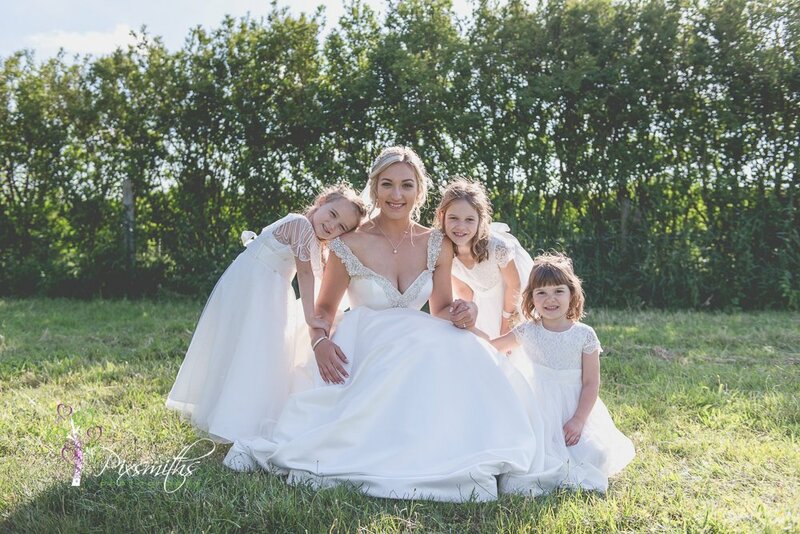 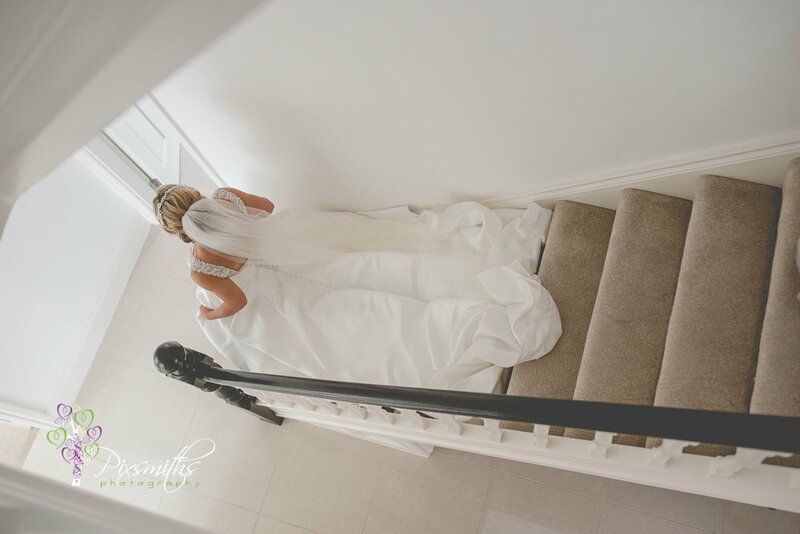 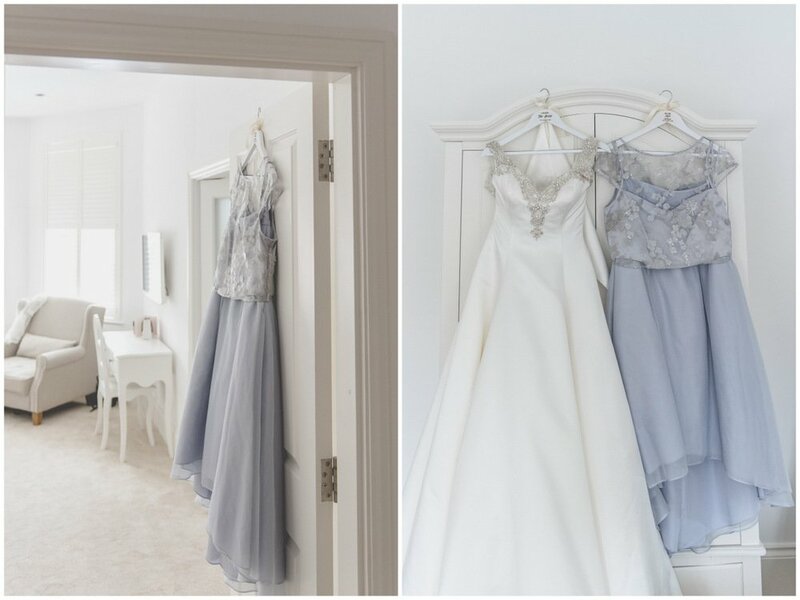 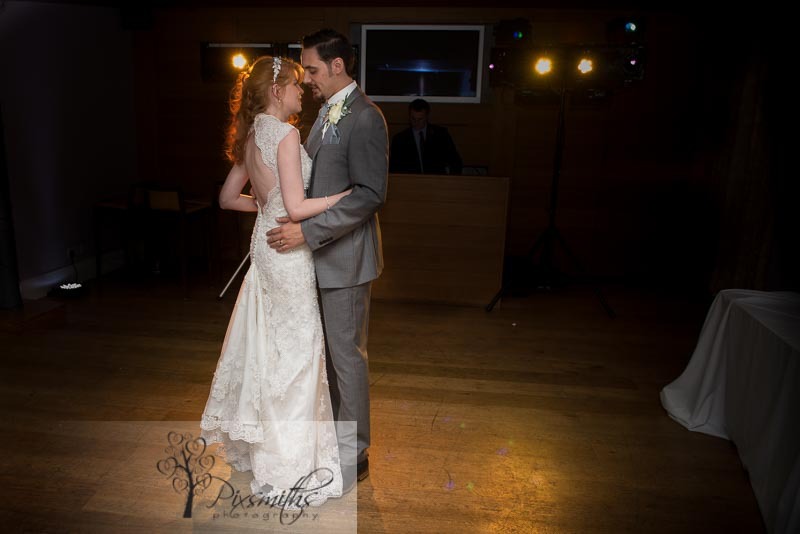 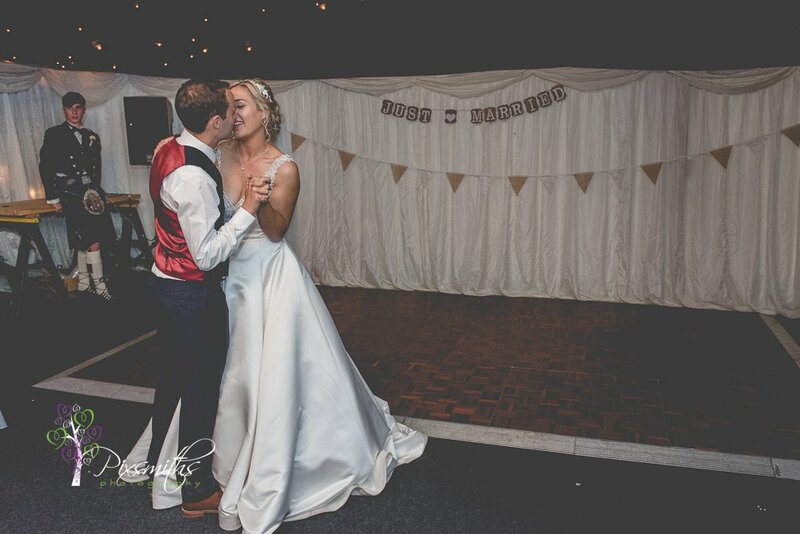 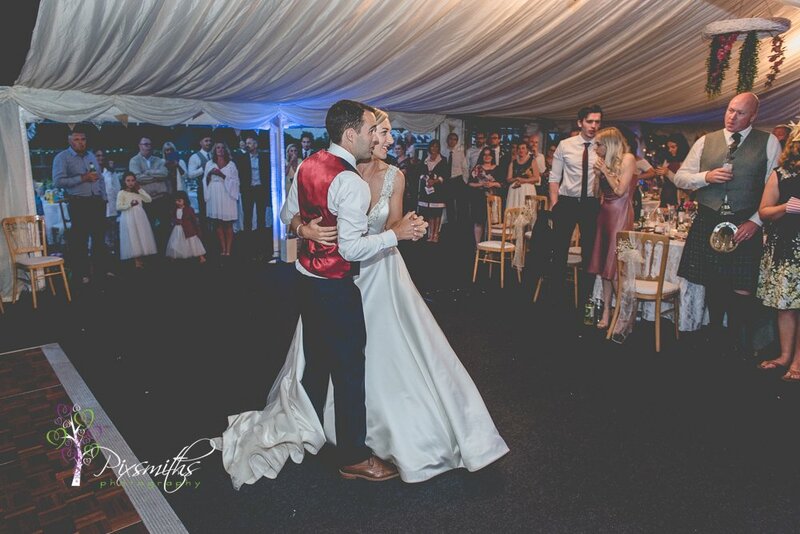 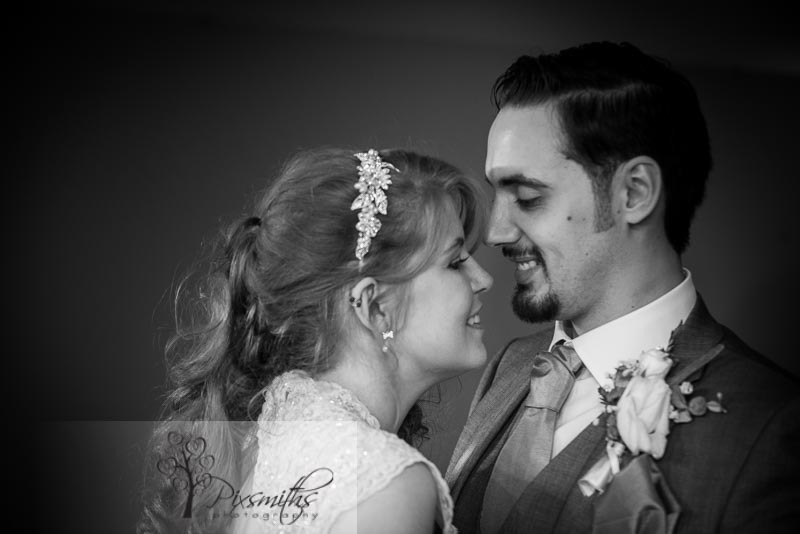 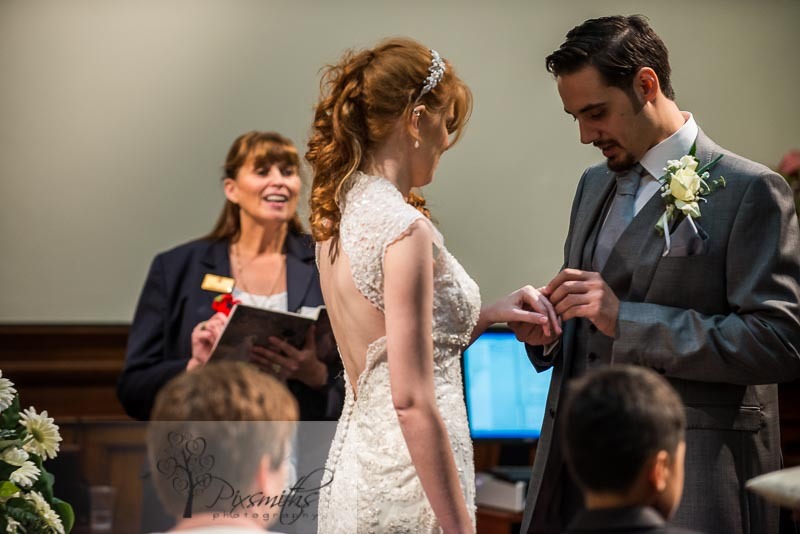 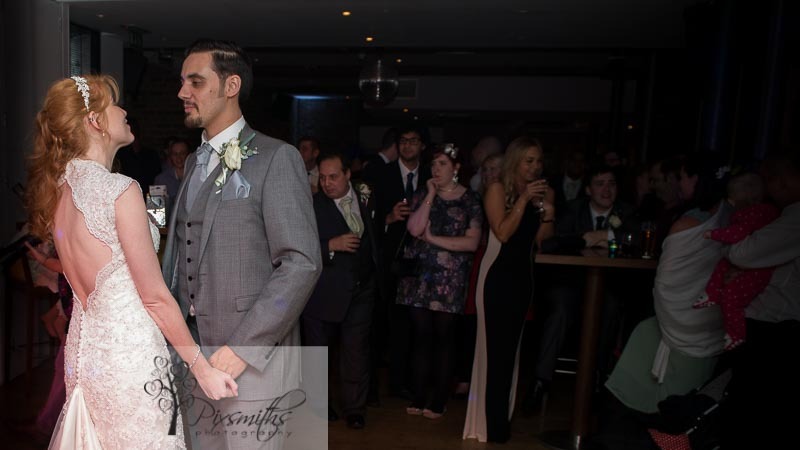 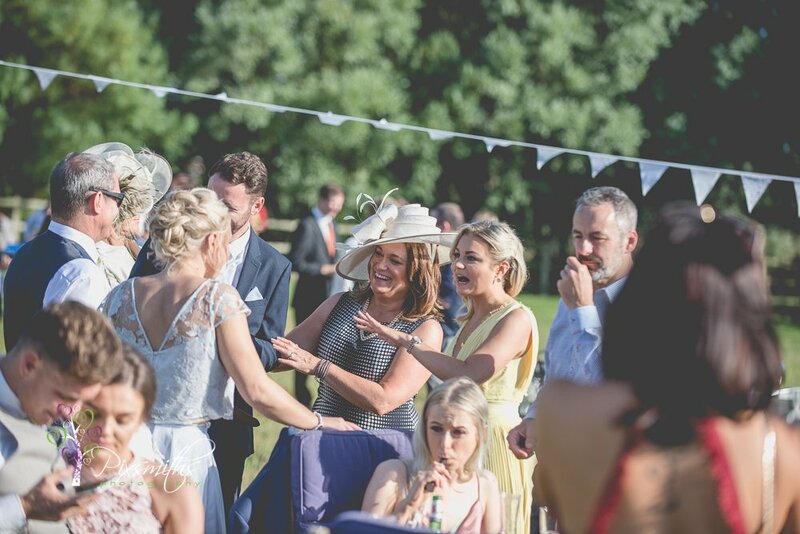 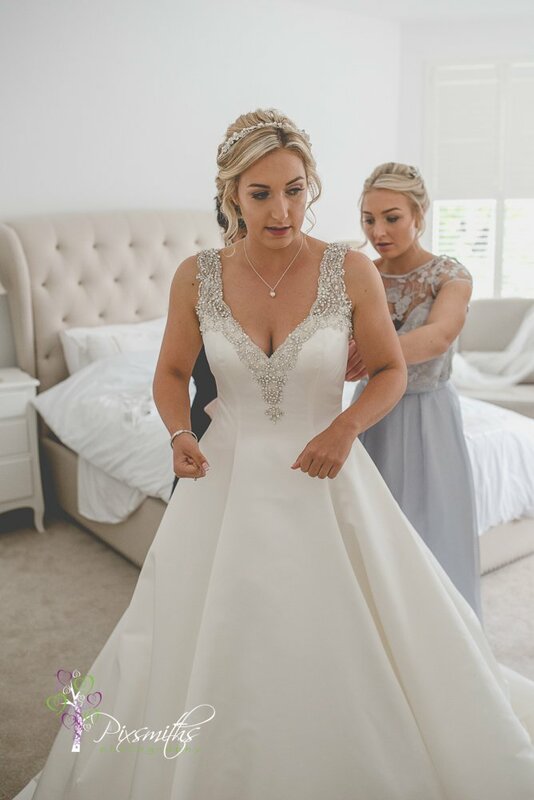 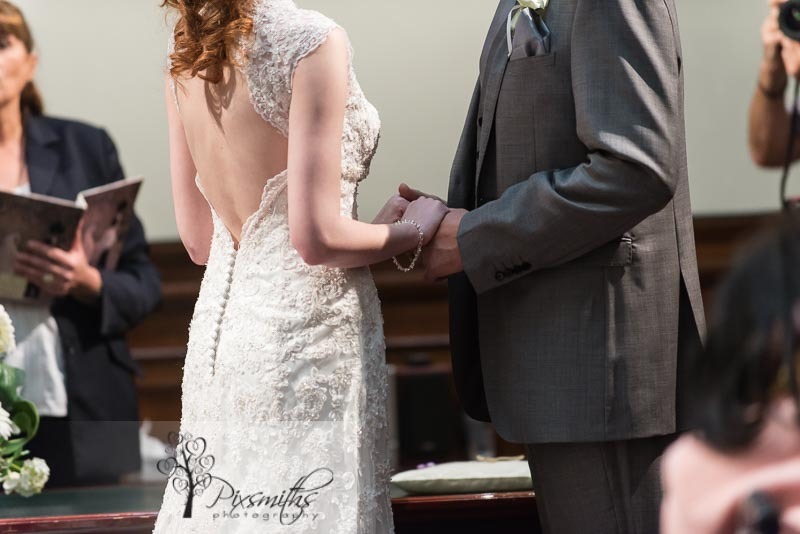 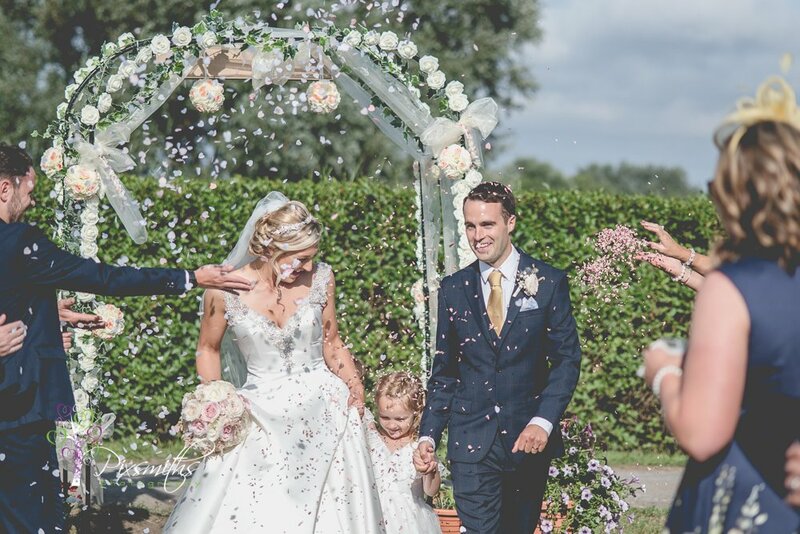 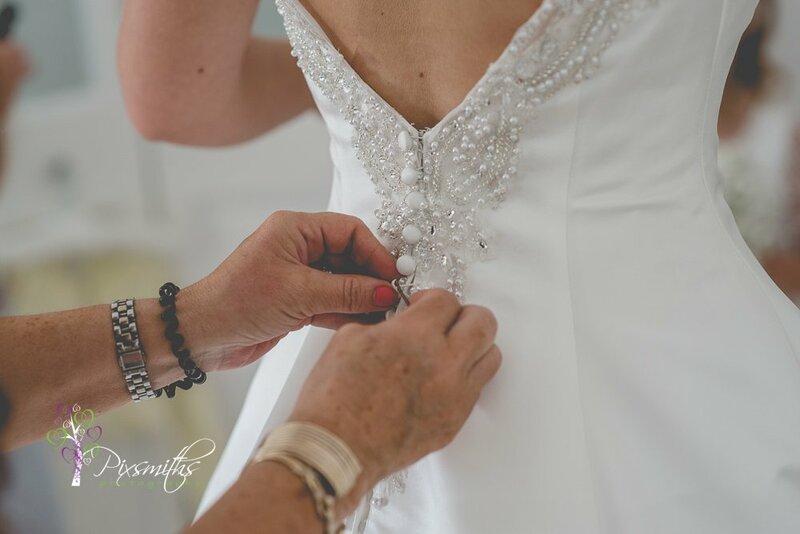 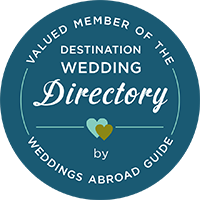 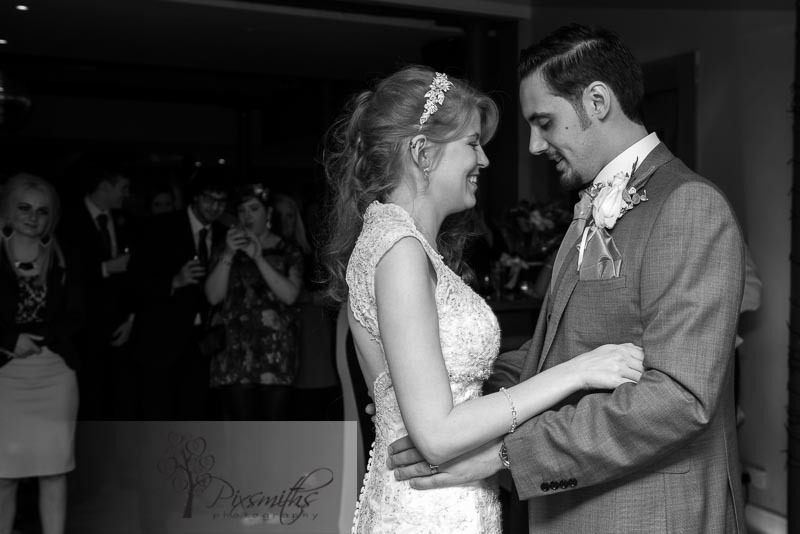 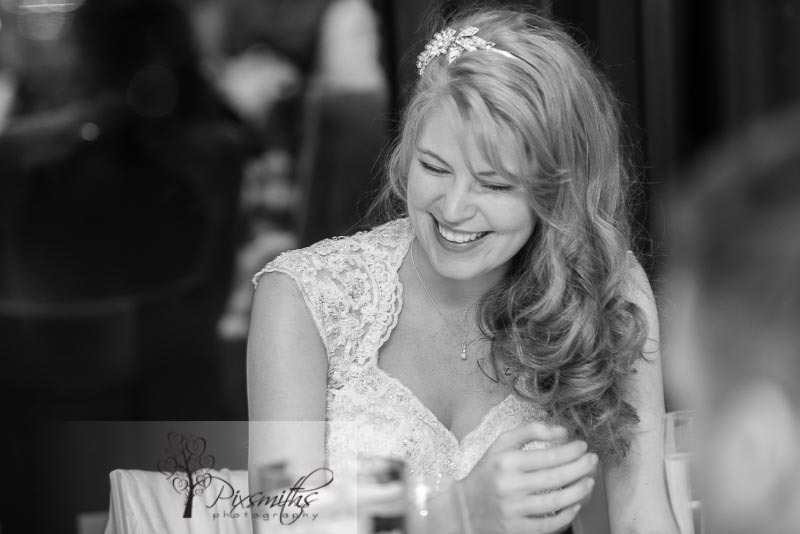 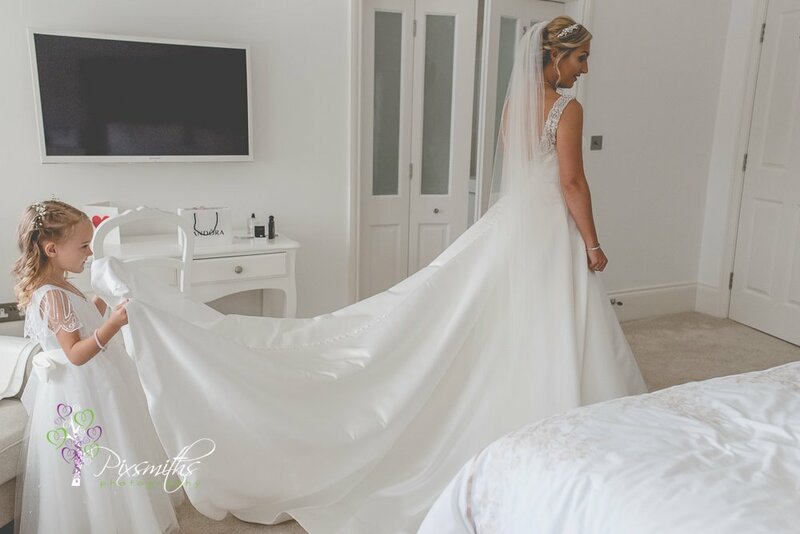 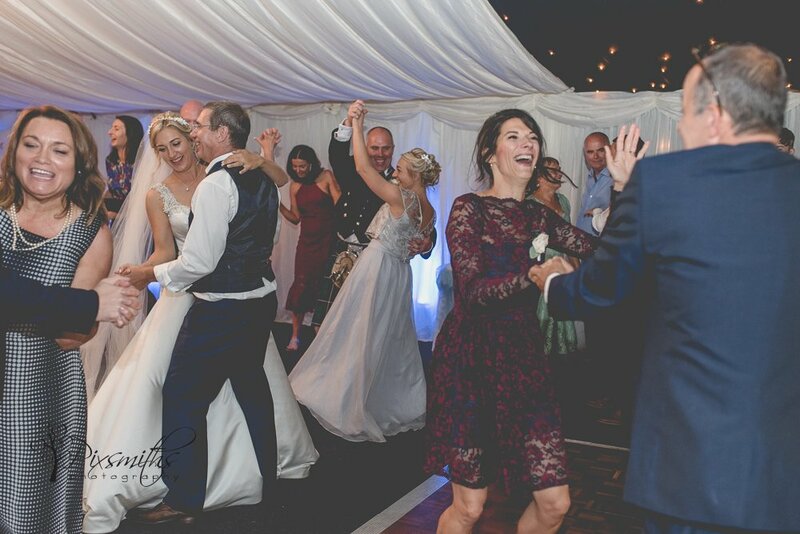 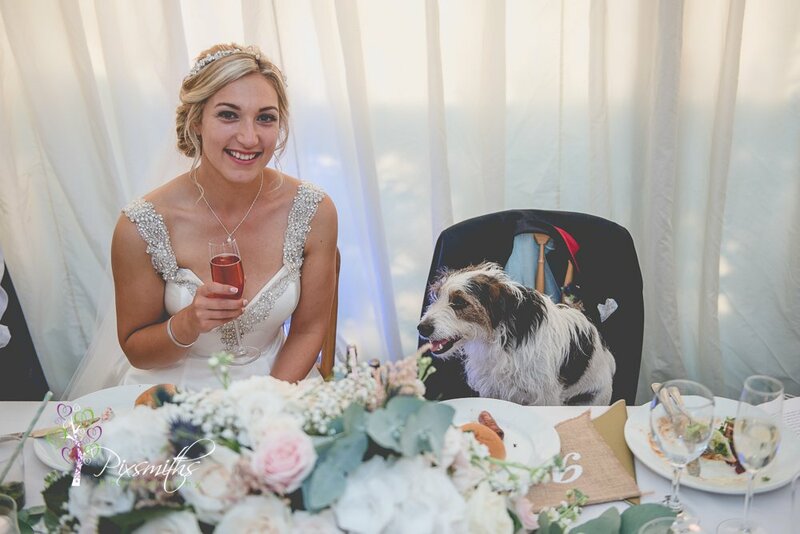 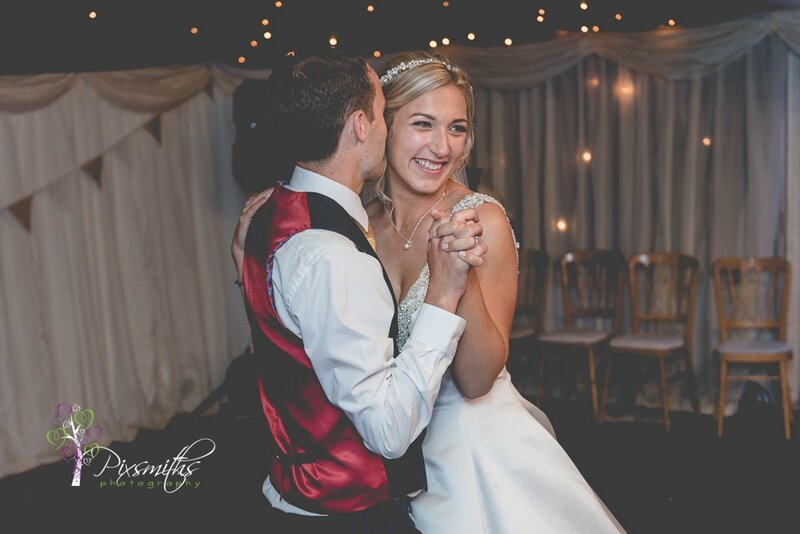 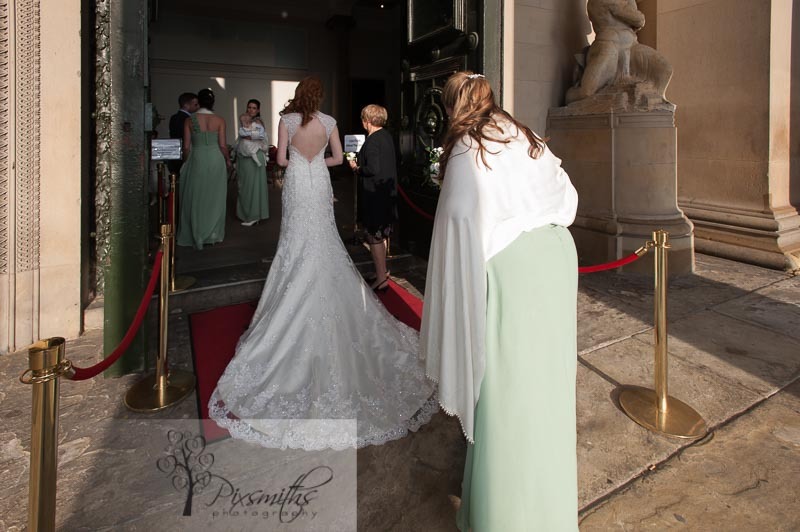 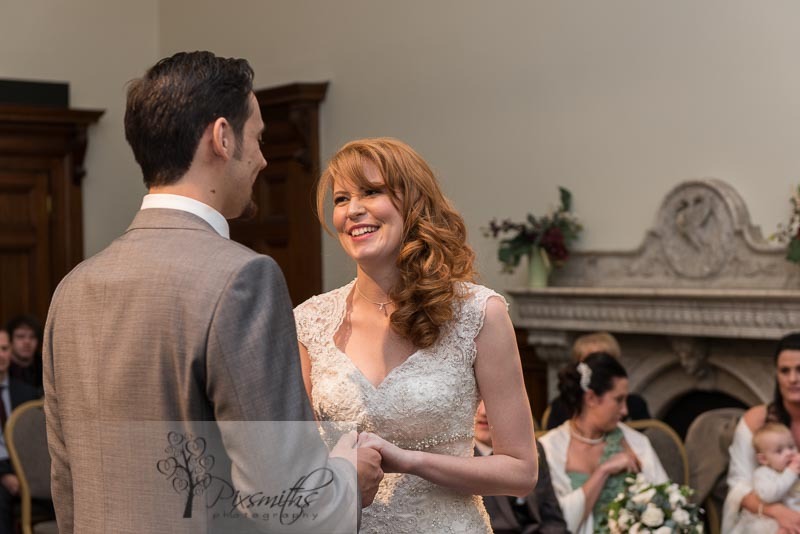 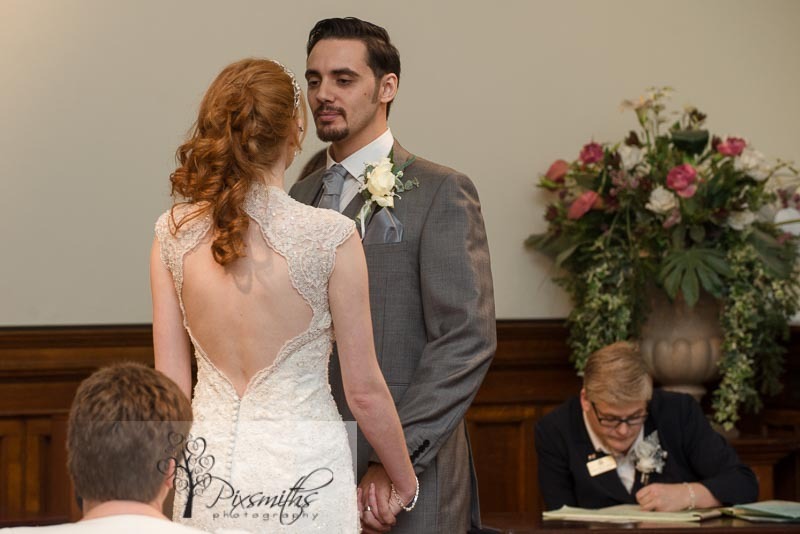 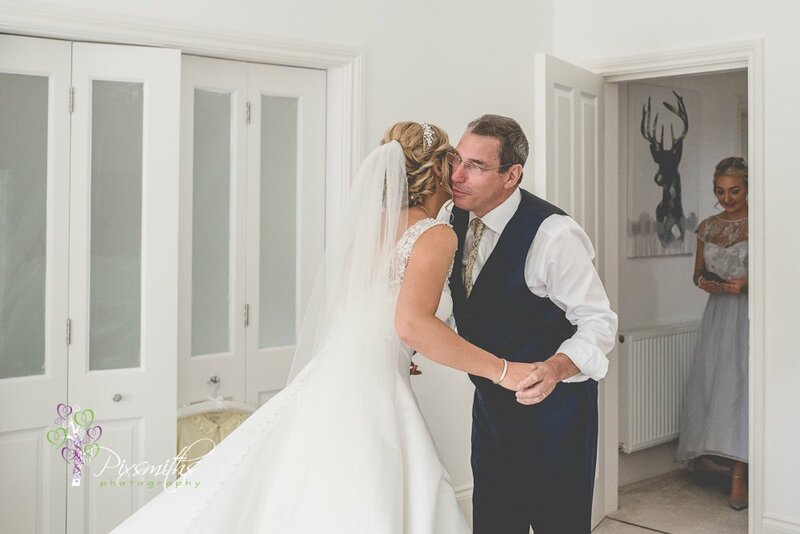 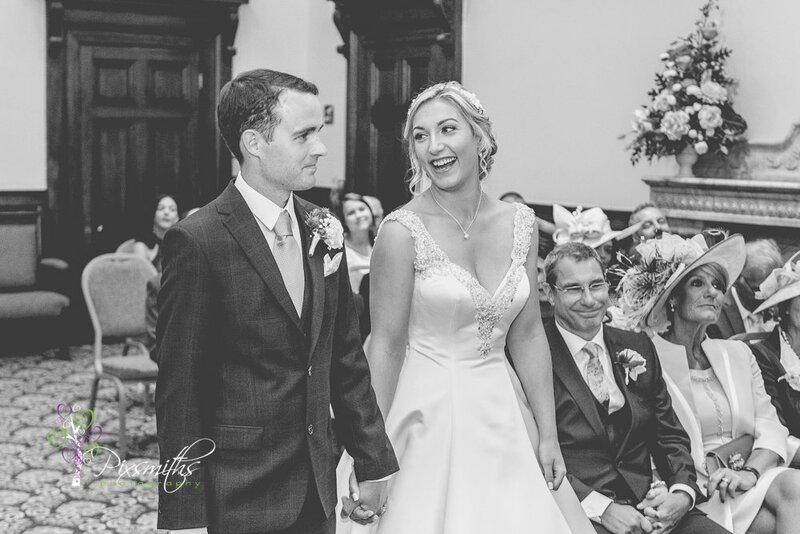 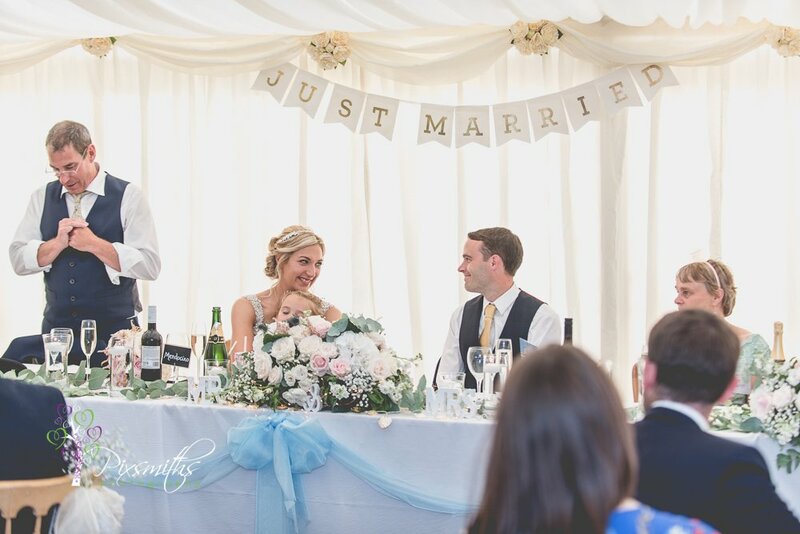 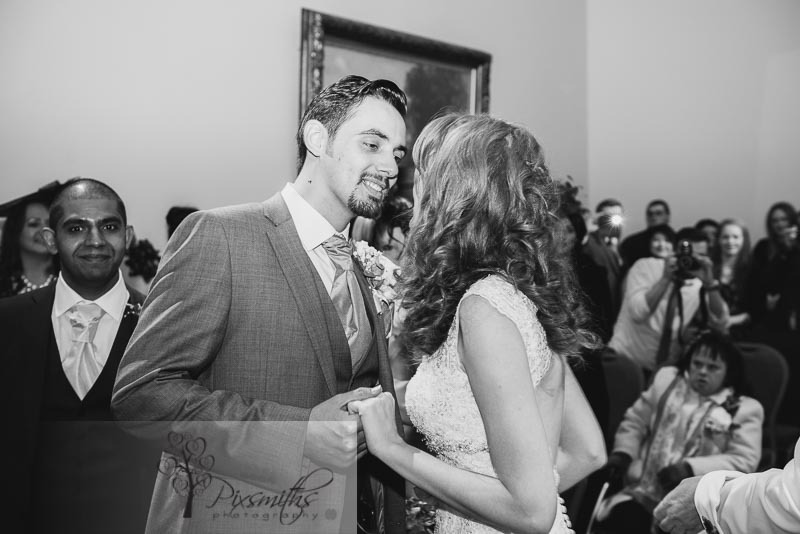 Nicola looked stunning in her lace bridal dress, with its gorgeous back detail. 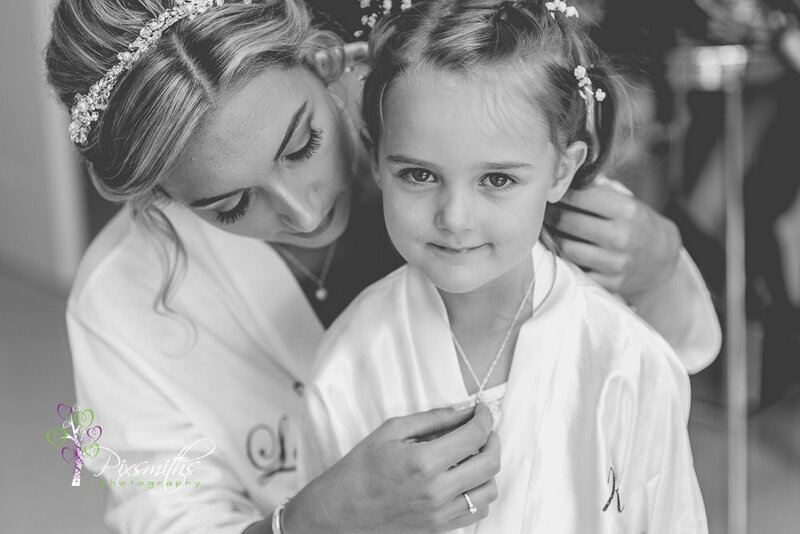 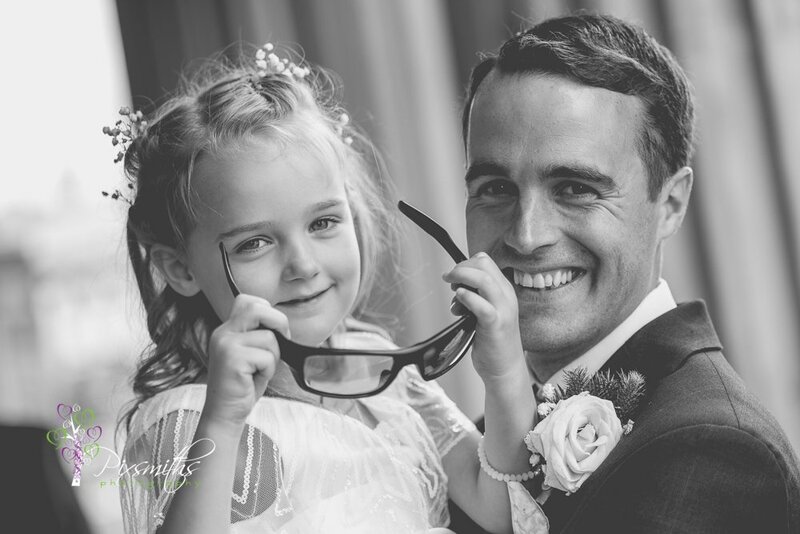 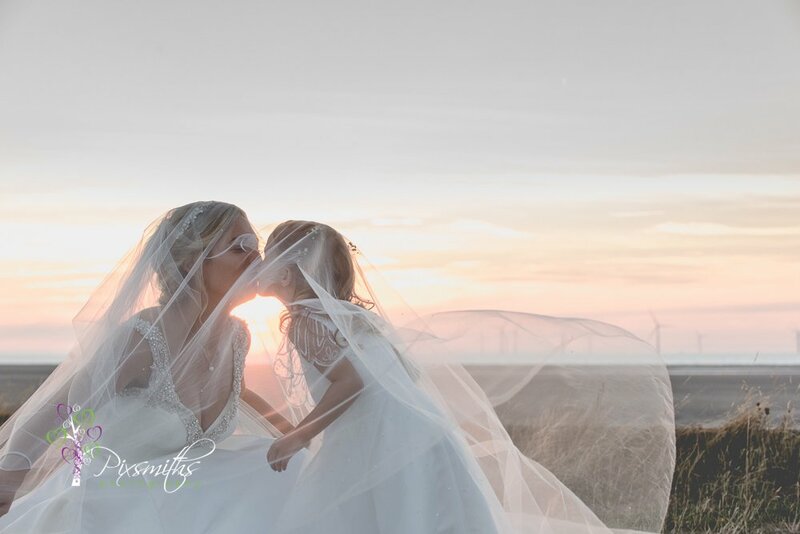 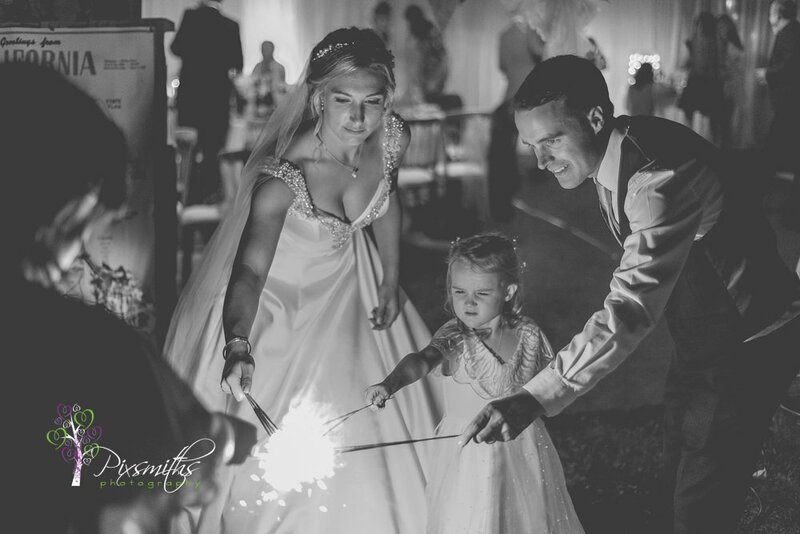 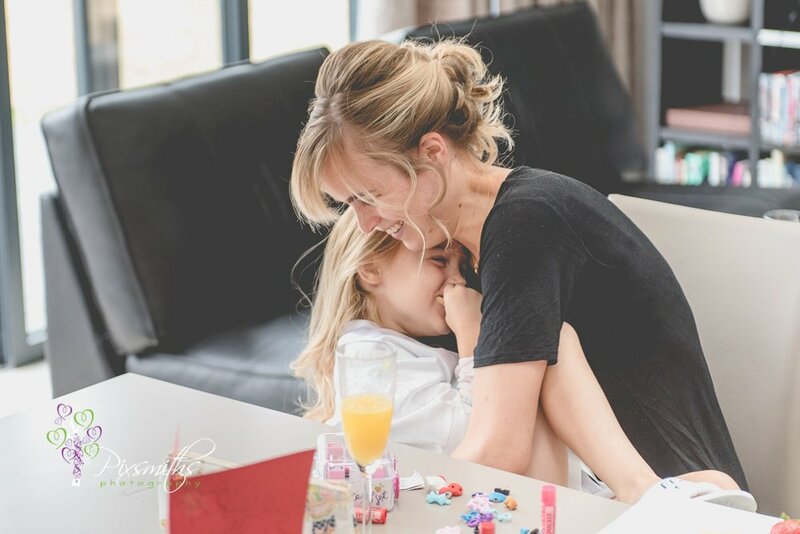 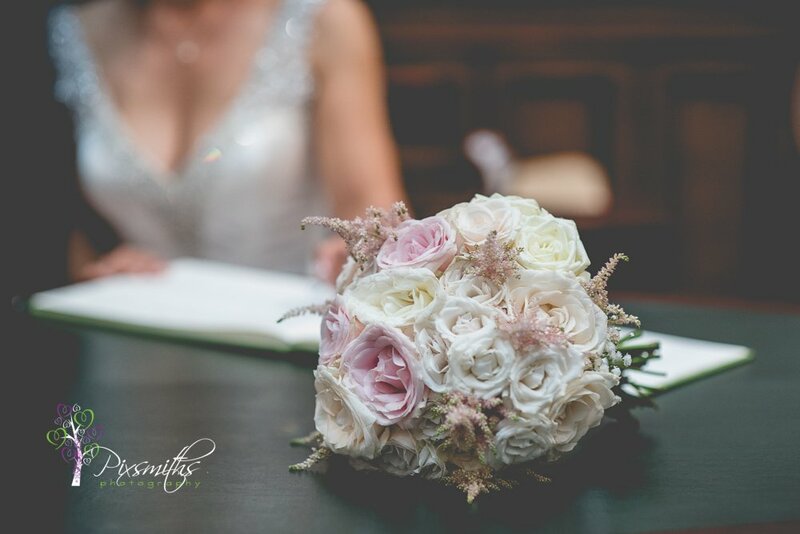 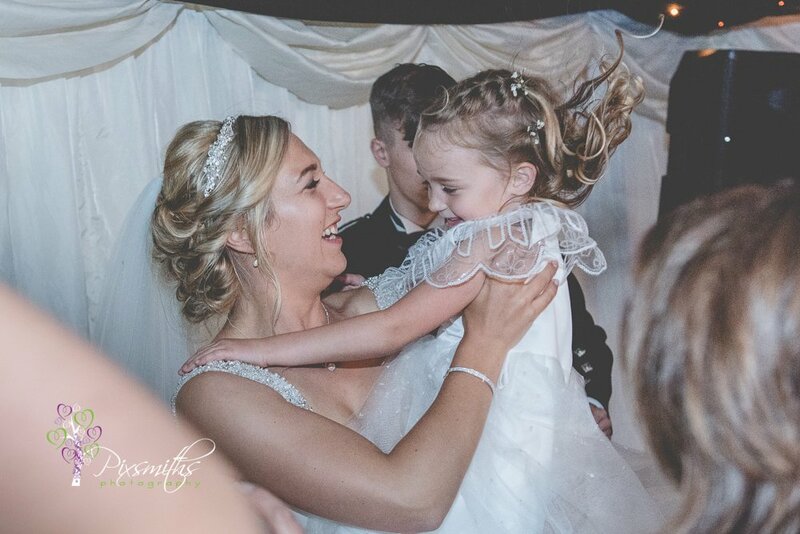 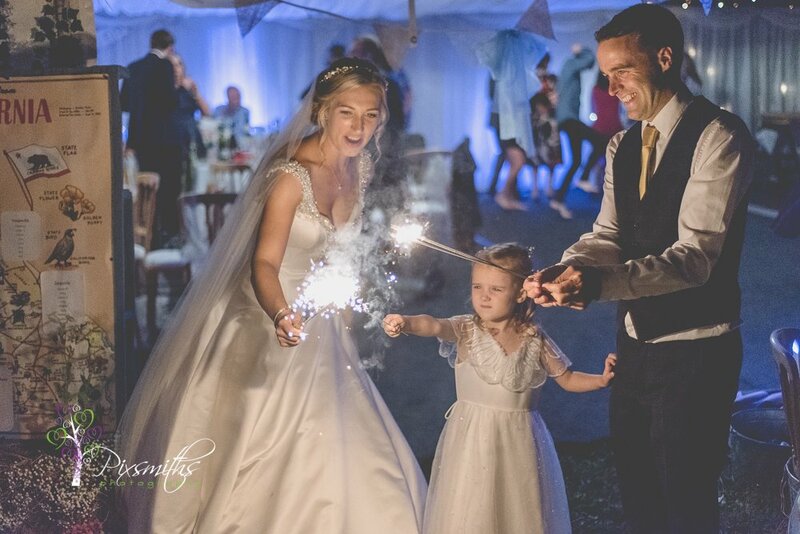 At Pixsmiths Creative Photography we don’t just take pictures but capture lasting memories, the emotions and all the details of the day. 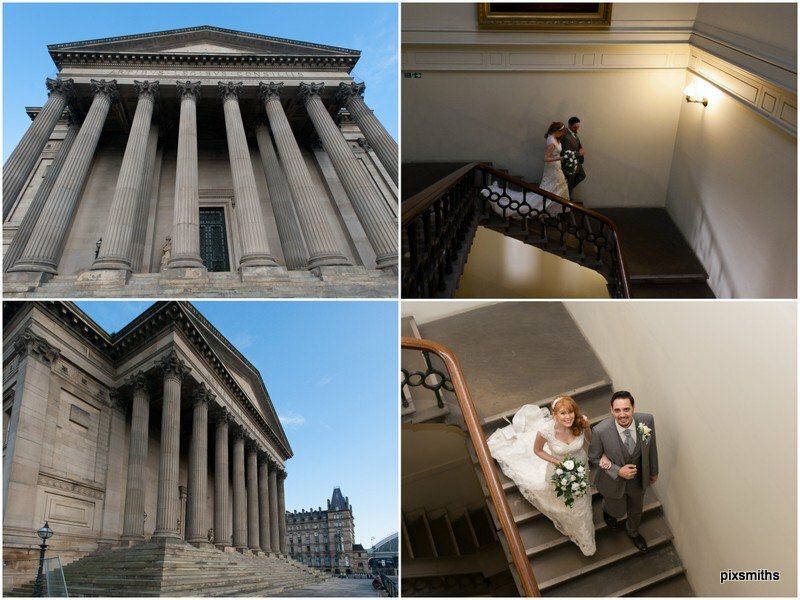 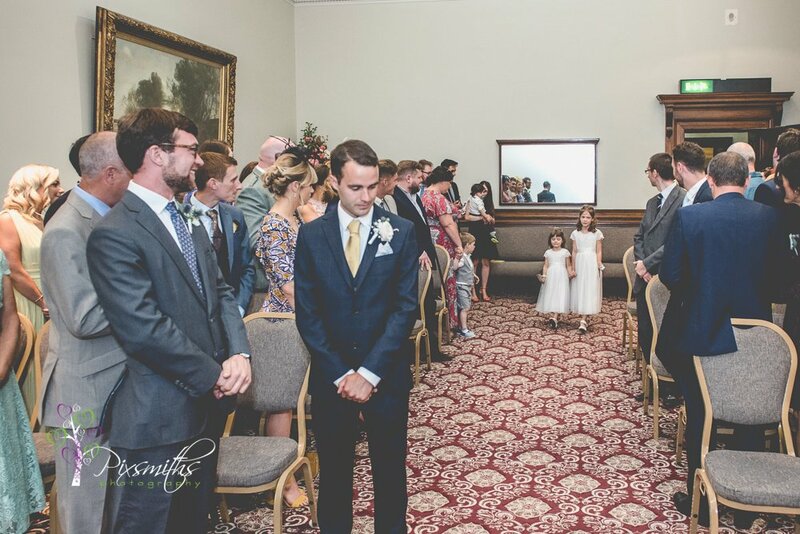 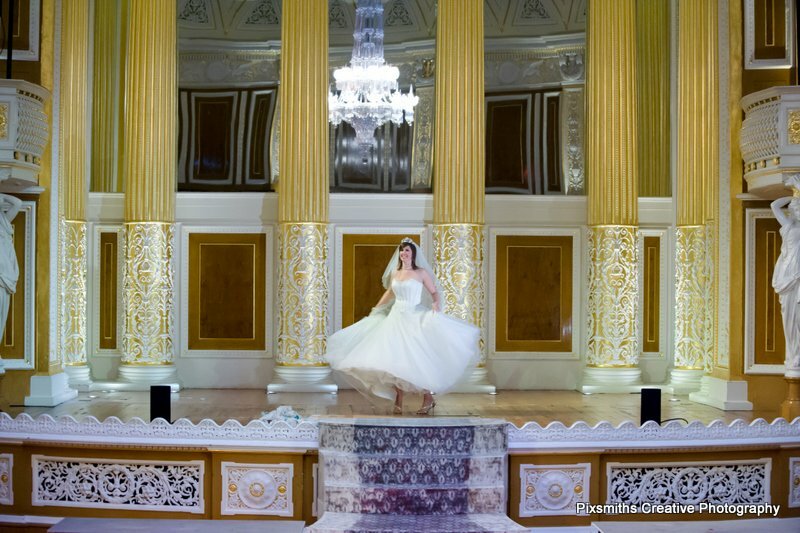 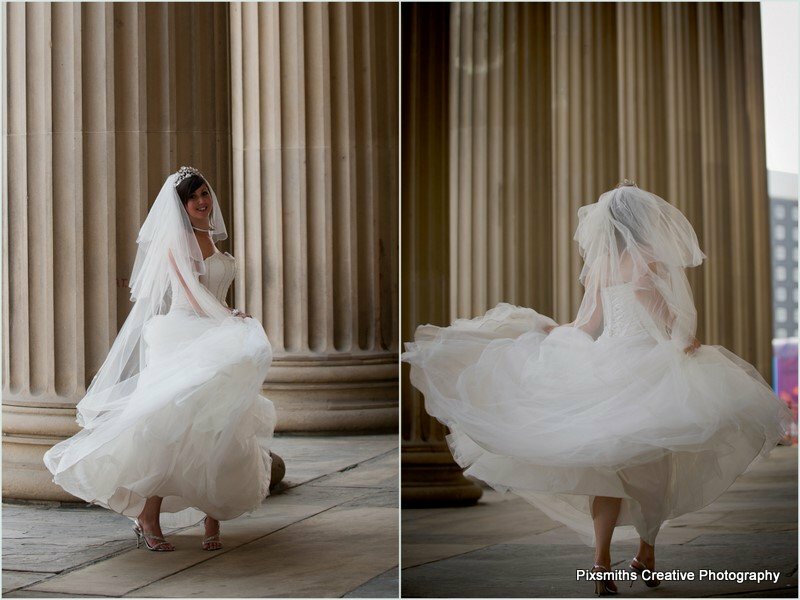 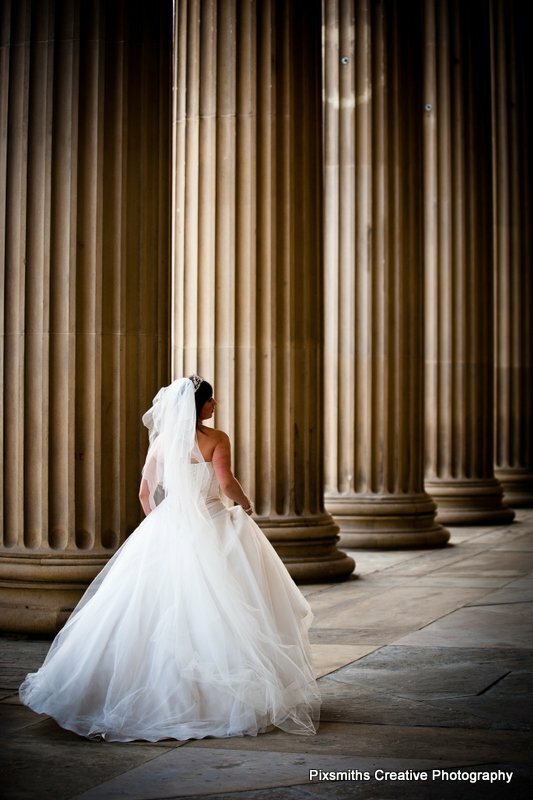 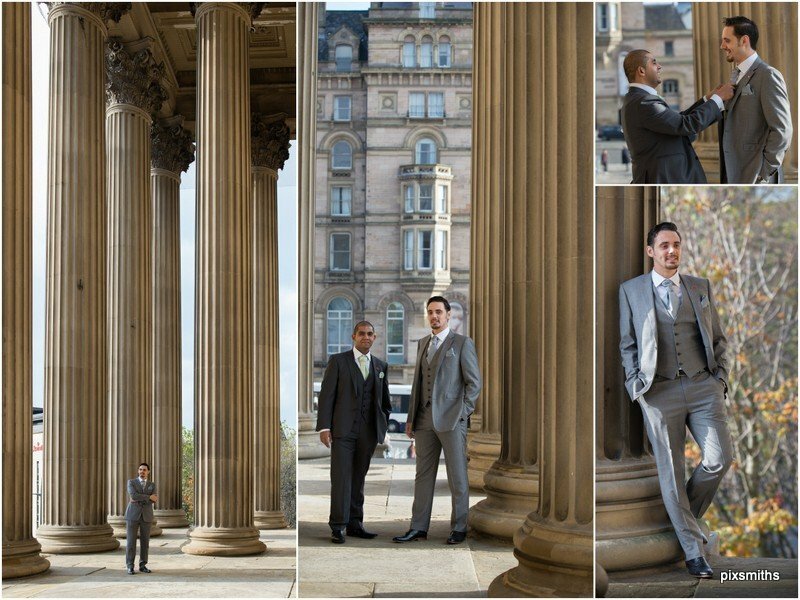 Liverpool Town Hall weddings now take place in the Jury Room of St George’s Hall which itself is a fabulous venue for portraits. 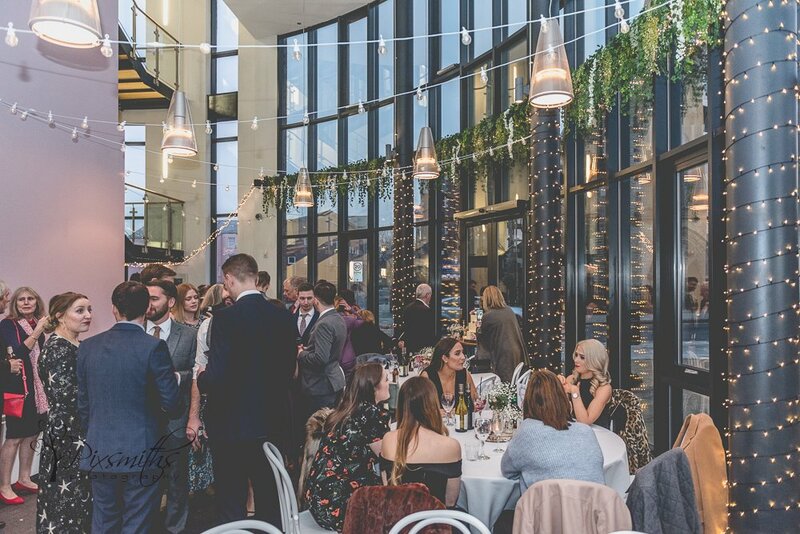 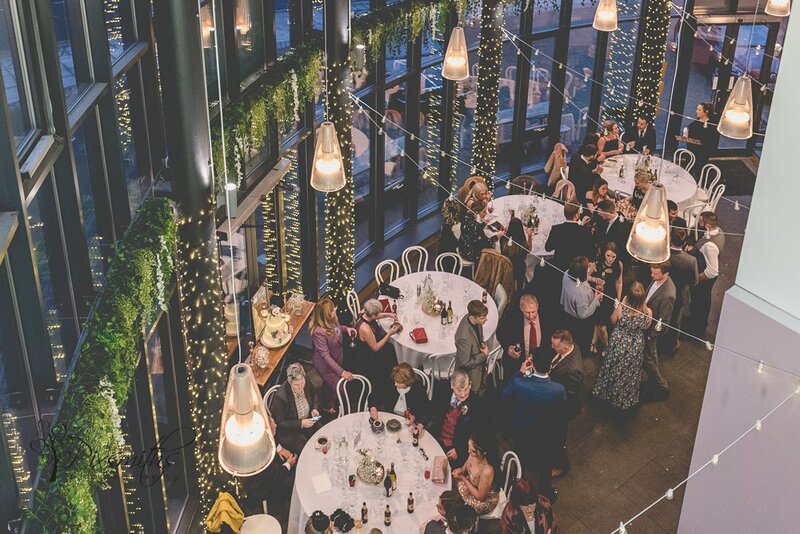 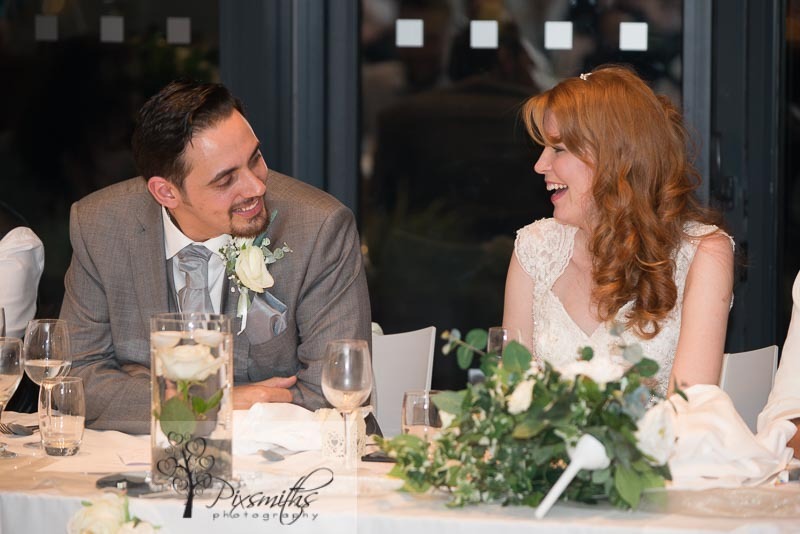 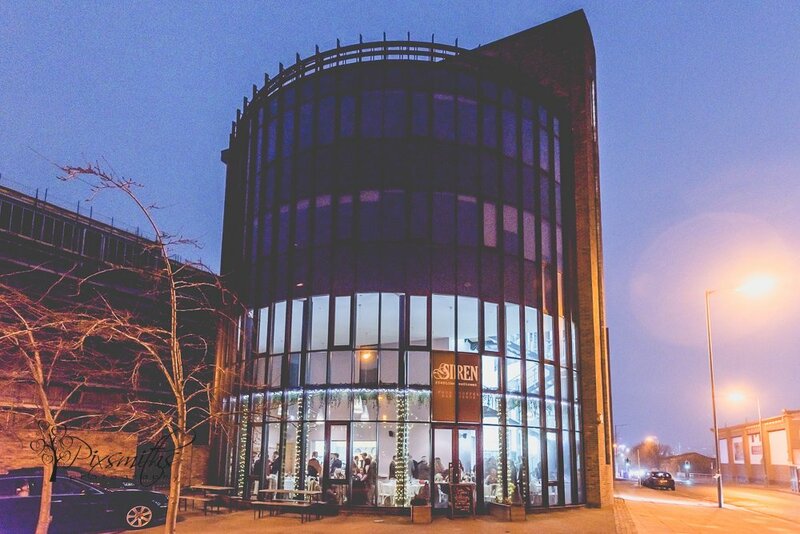 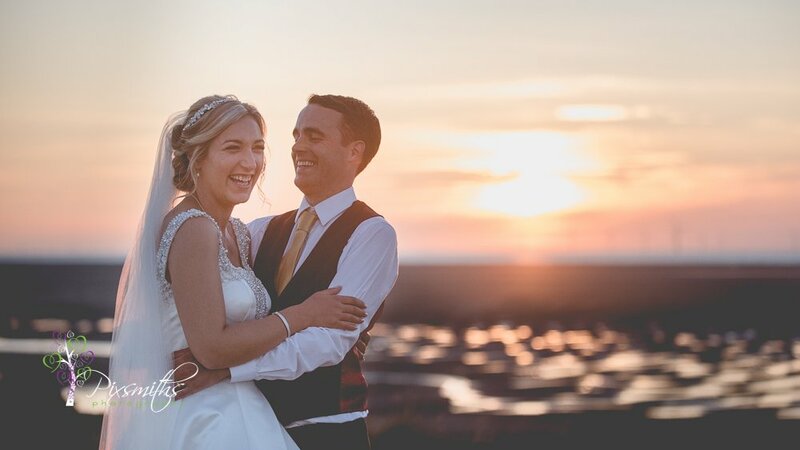 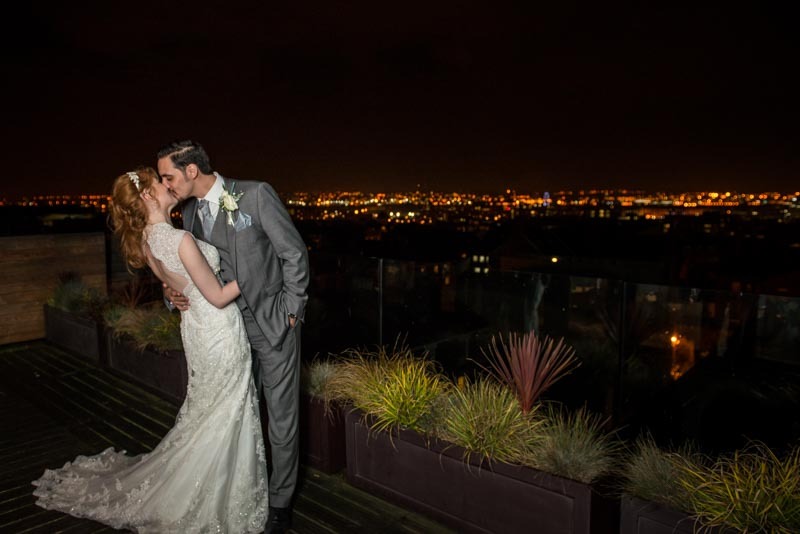 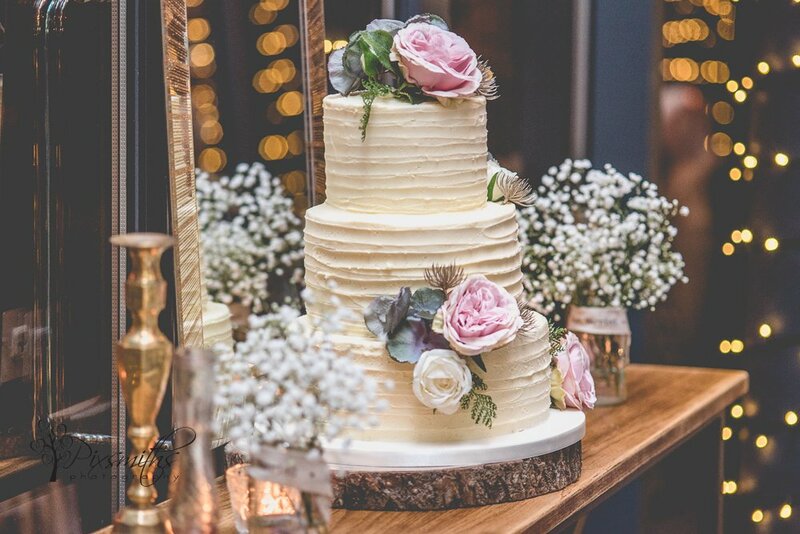 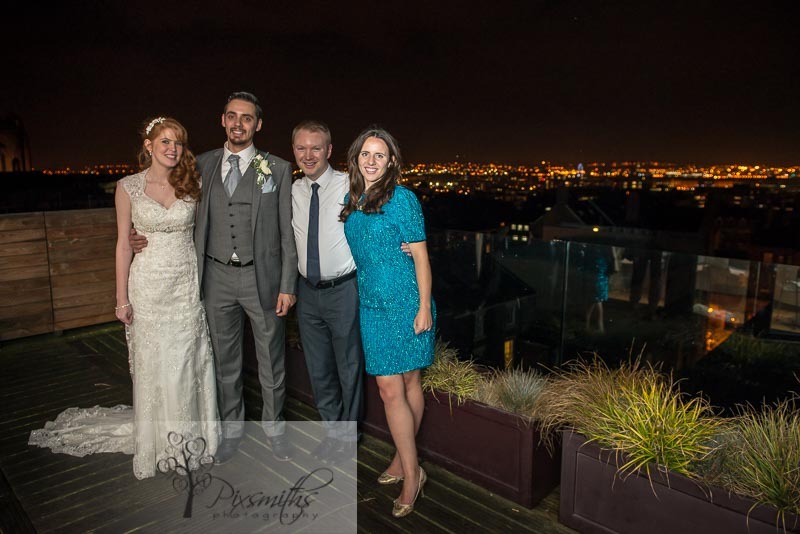 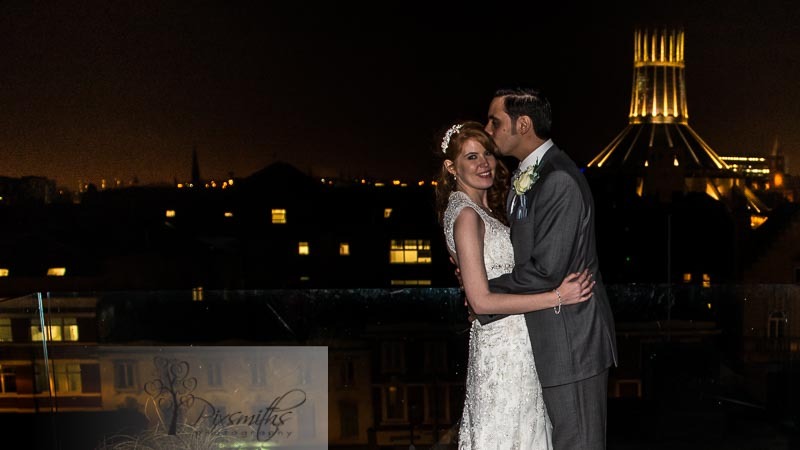 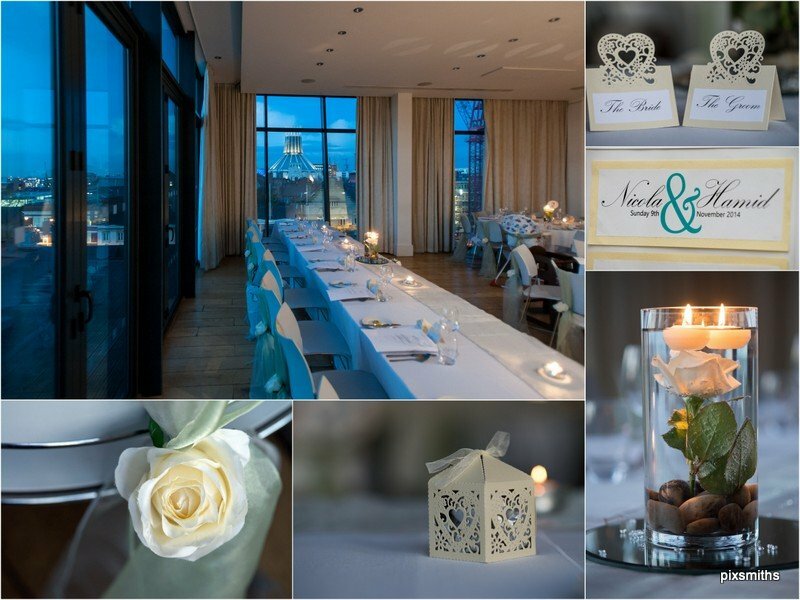 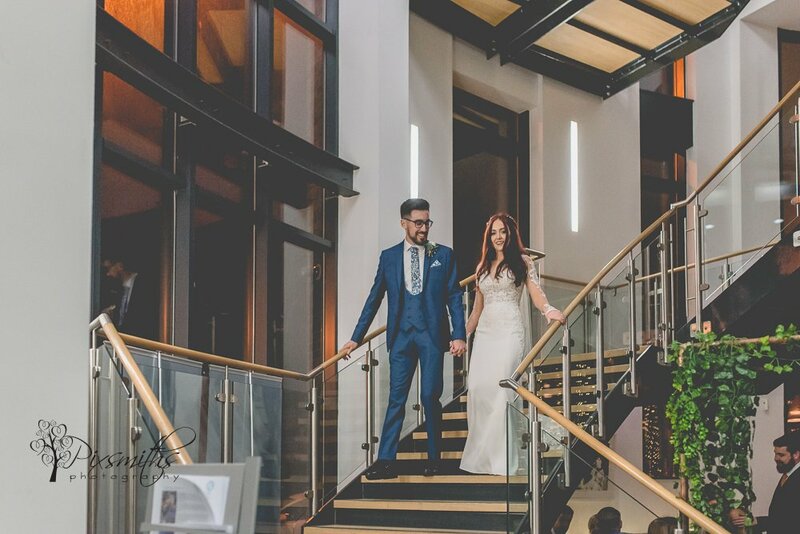 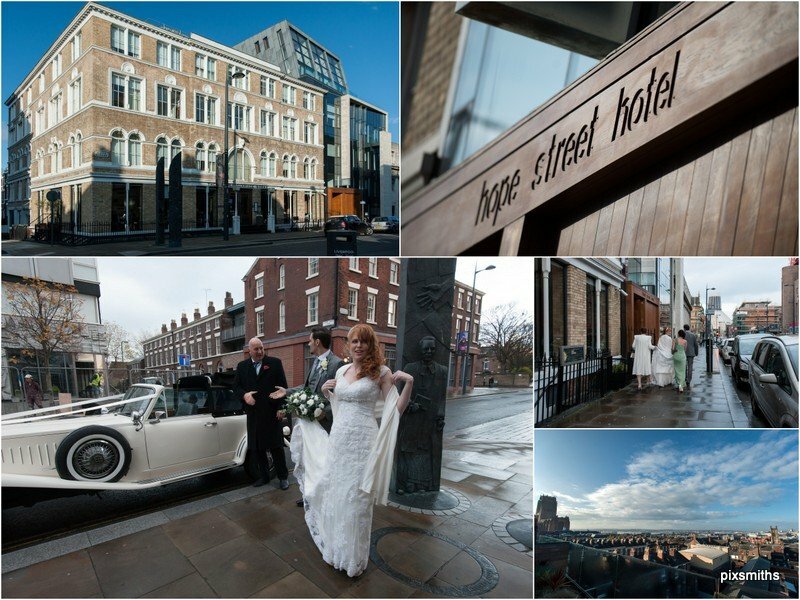 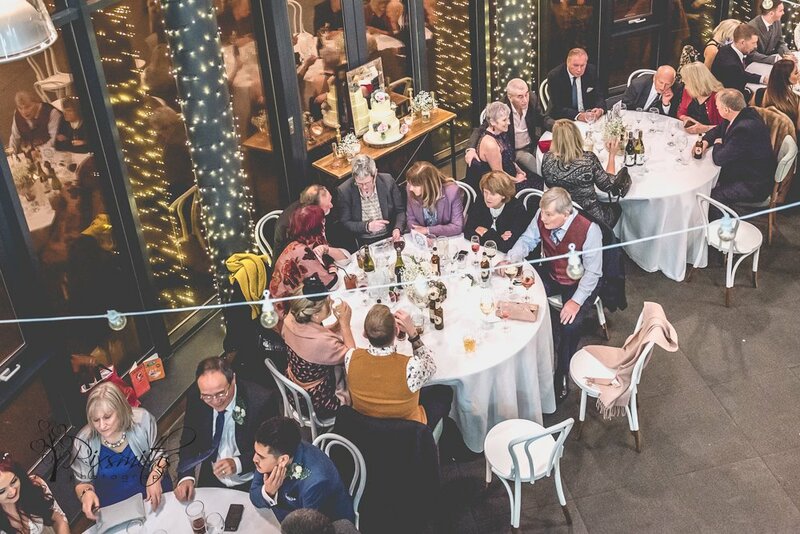 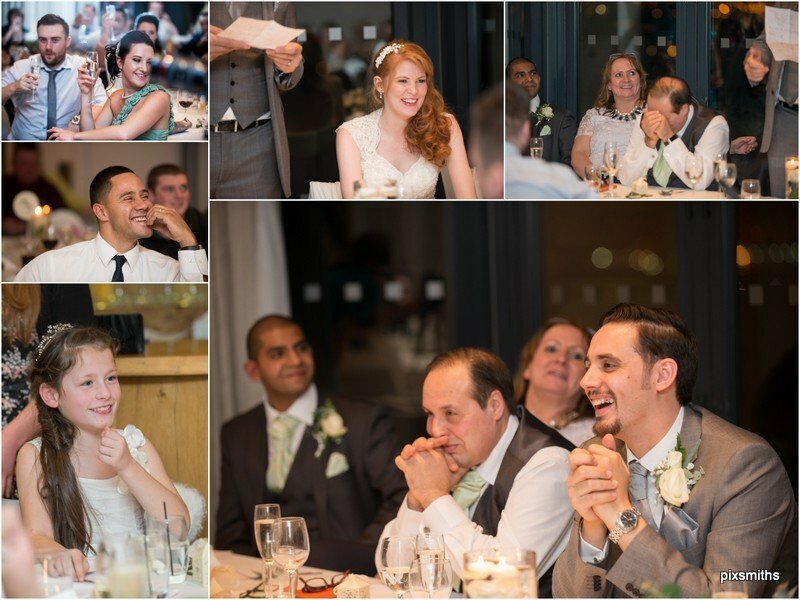 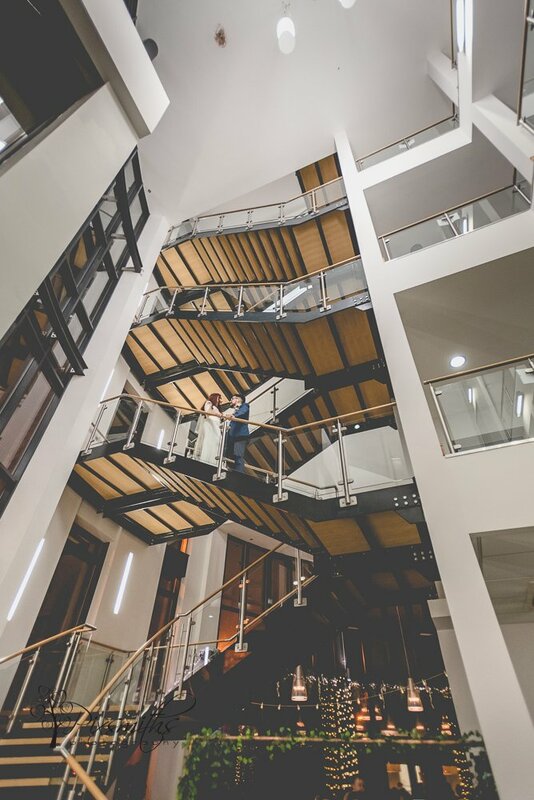 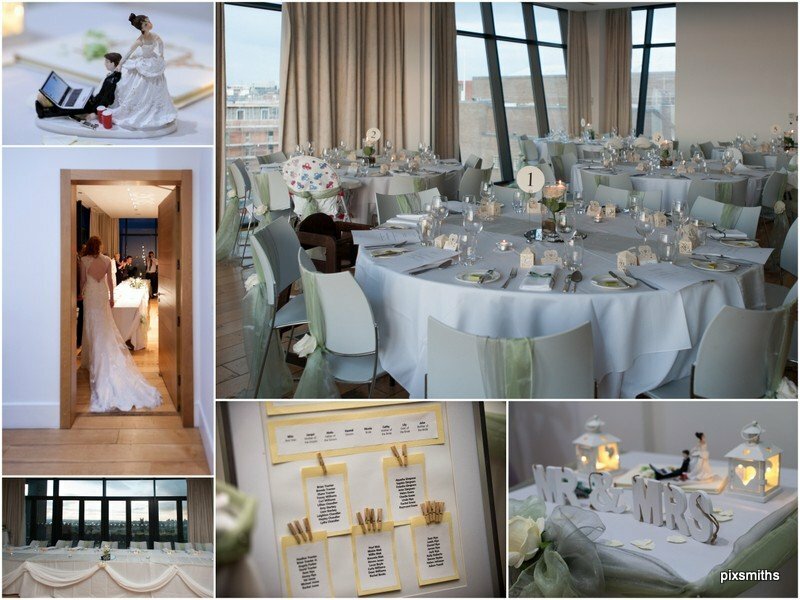 Nicola and Hamid had a touching ceremony here and then a reception at the swish Hope St Hotel with its wonderful view from the top floor room. 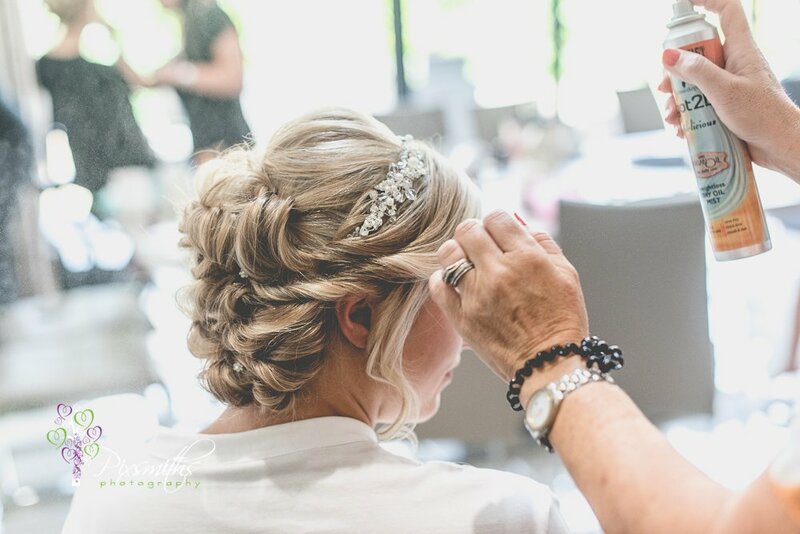 decorated by the lovely Melanie Nolan of Elegant Twist. 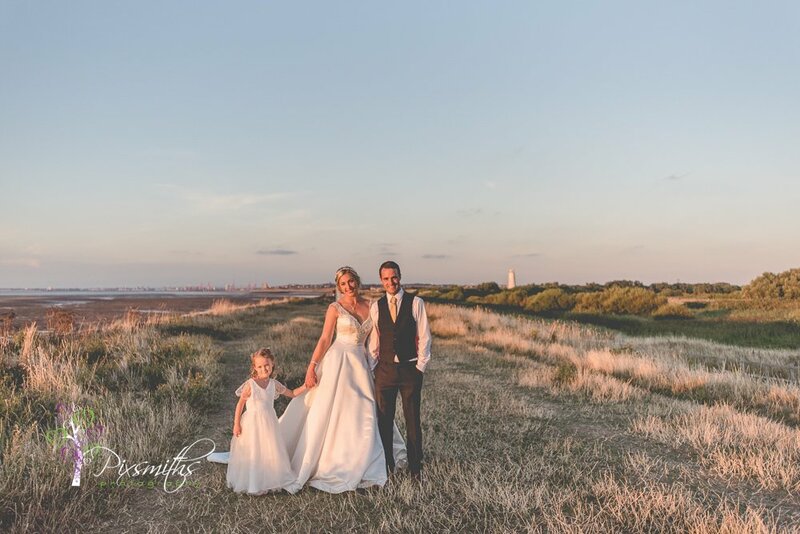 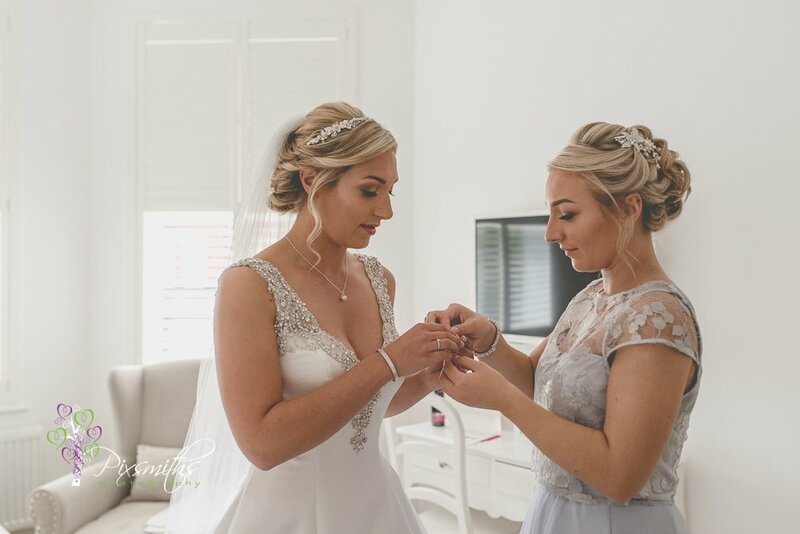 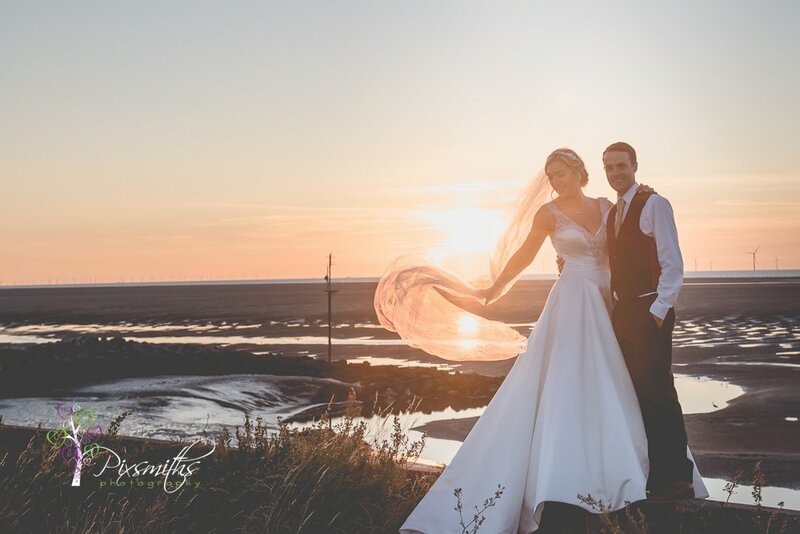 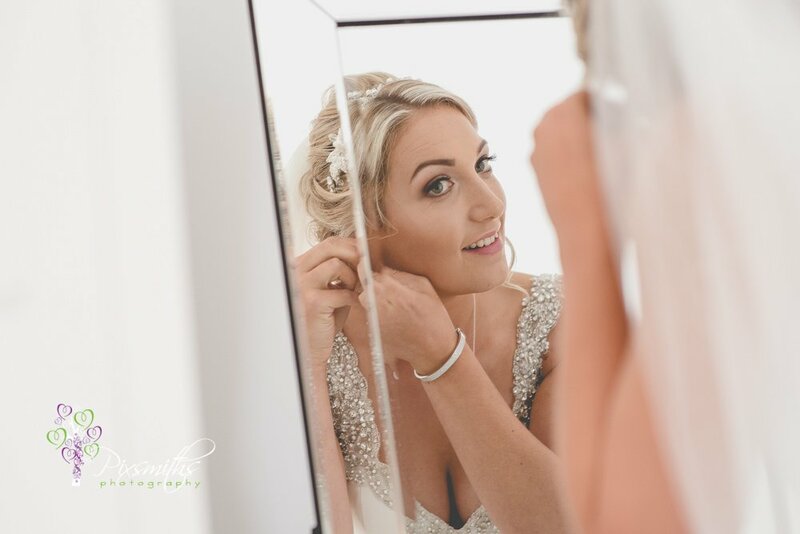 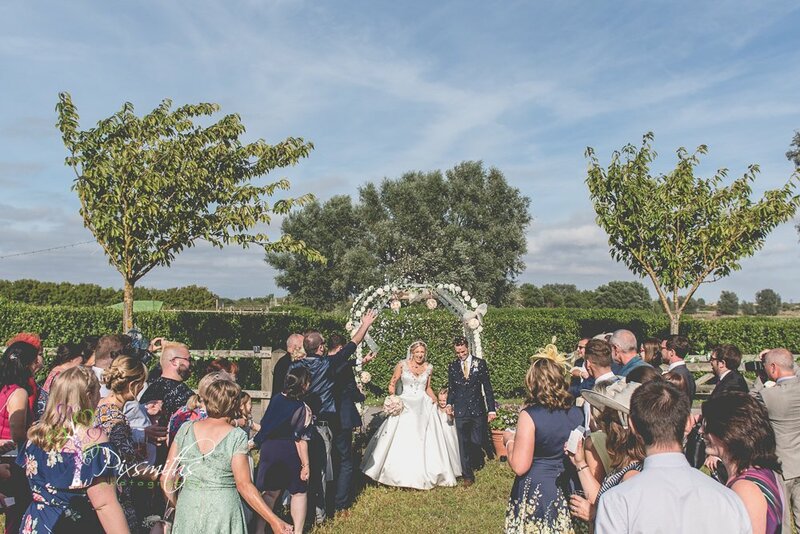 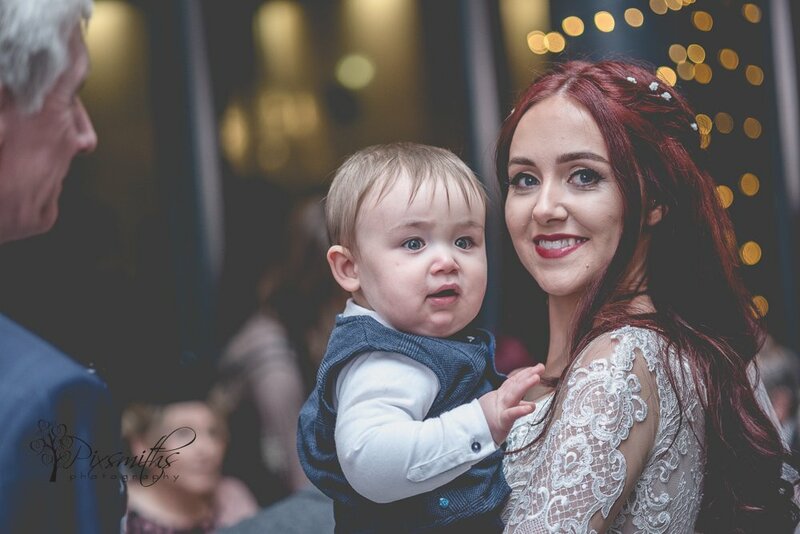 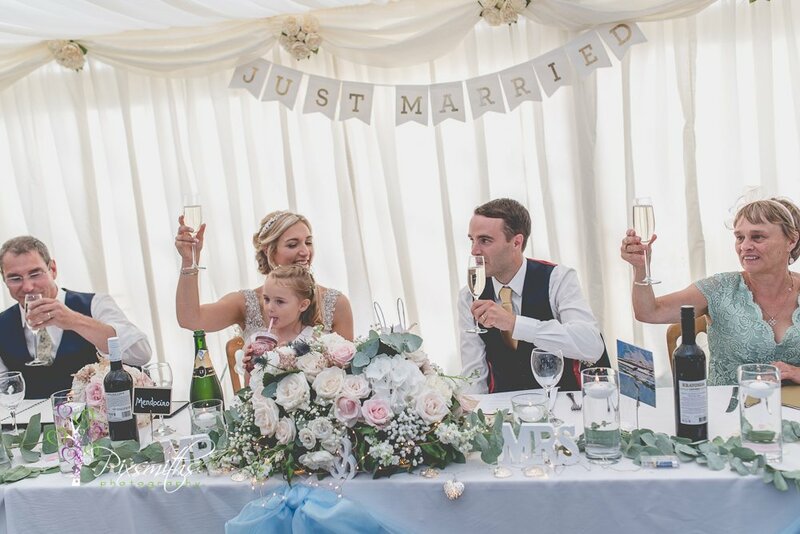 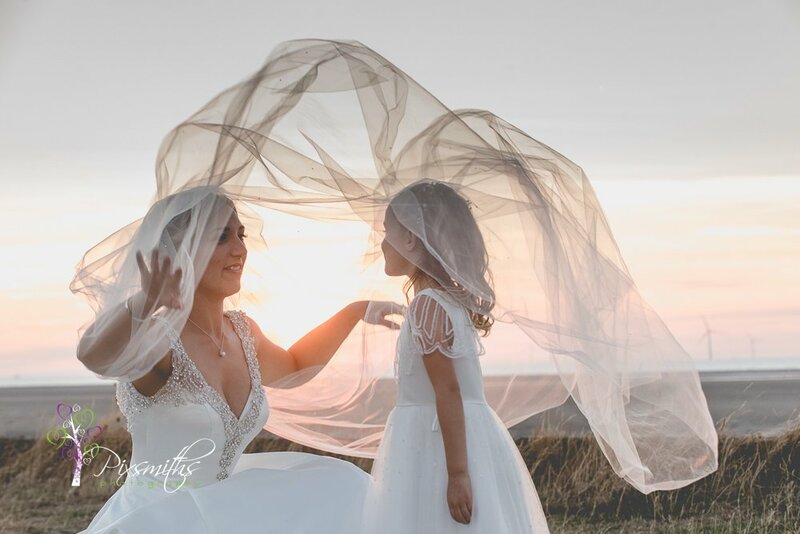 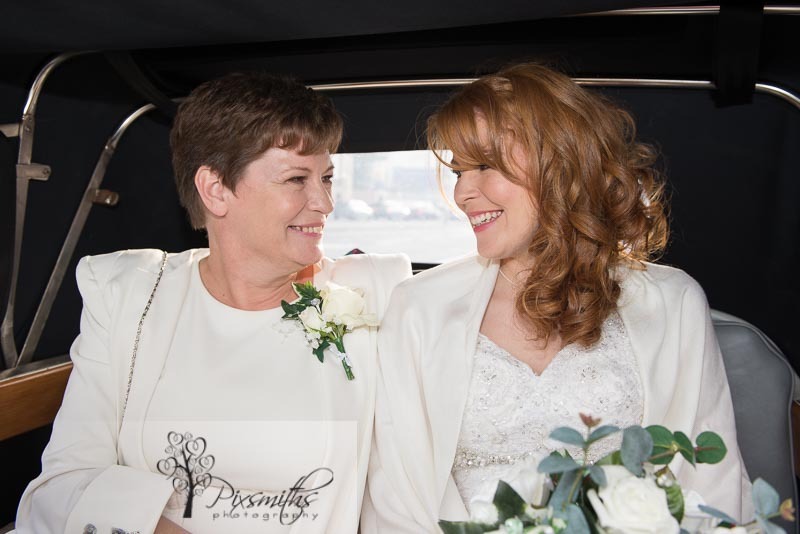 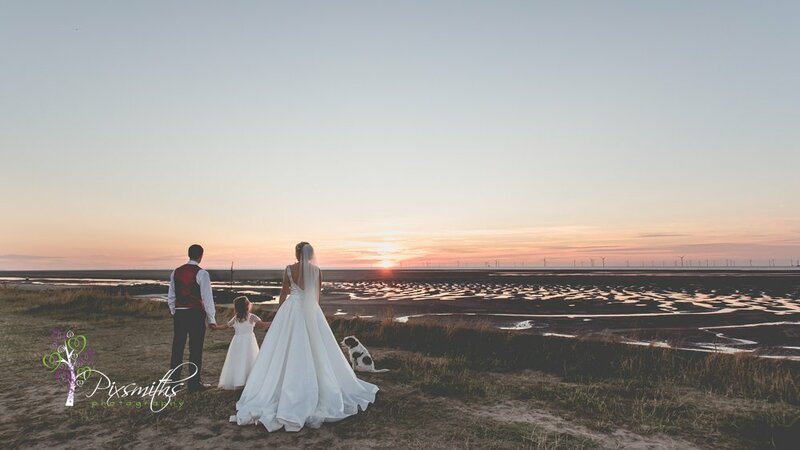 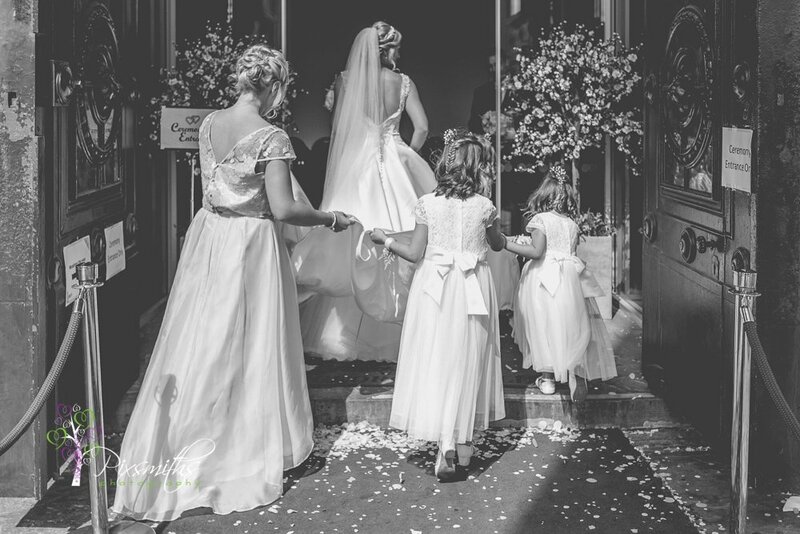 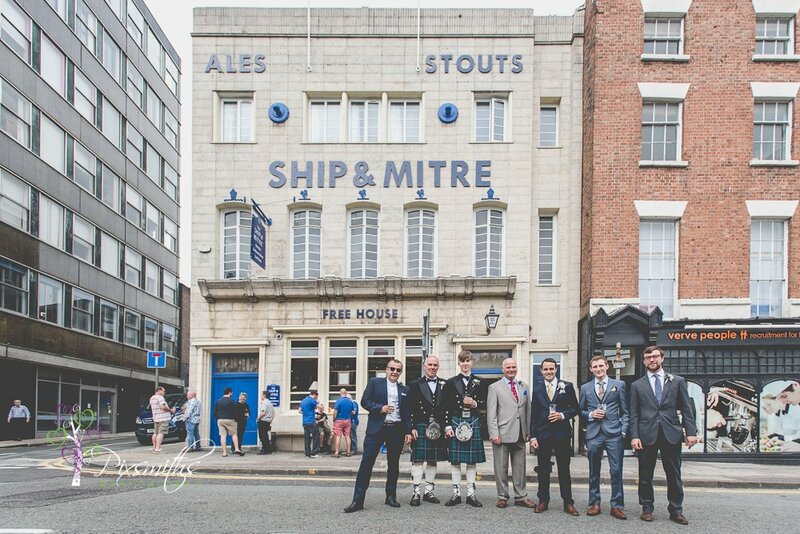 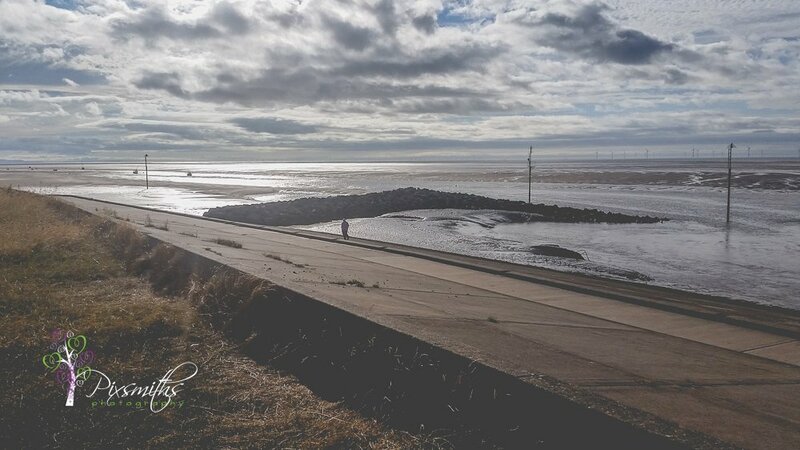 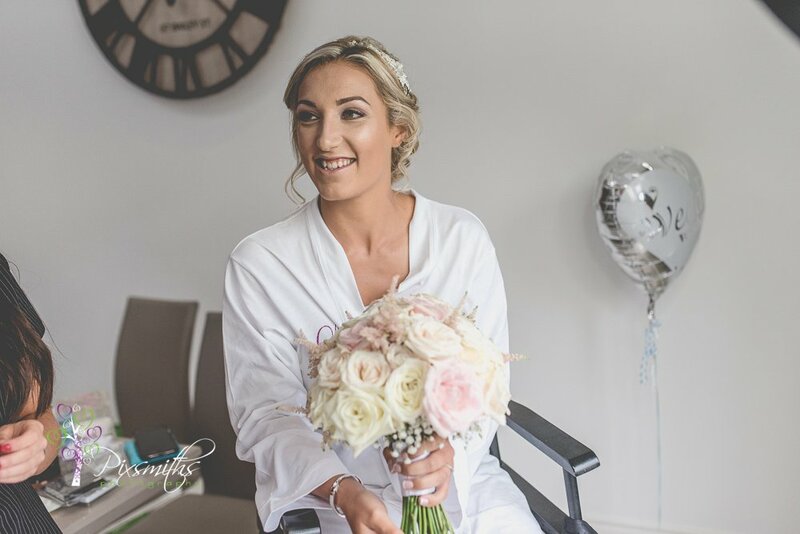 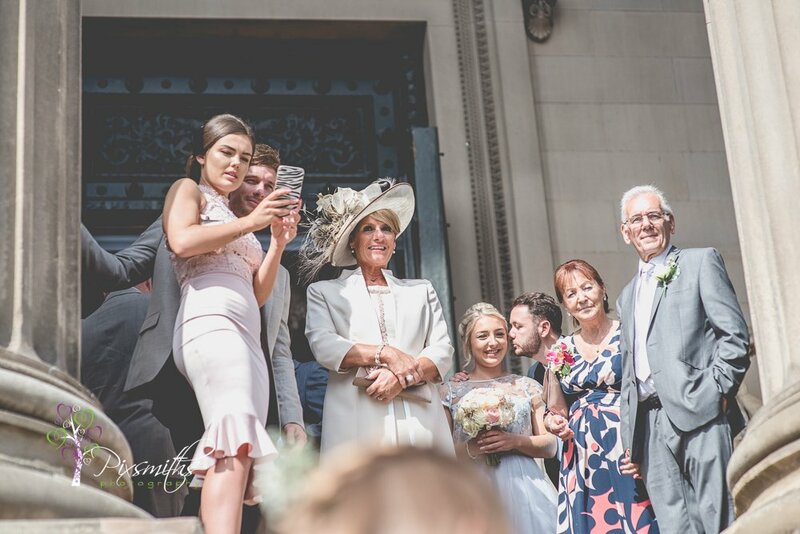 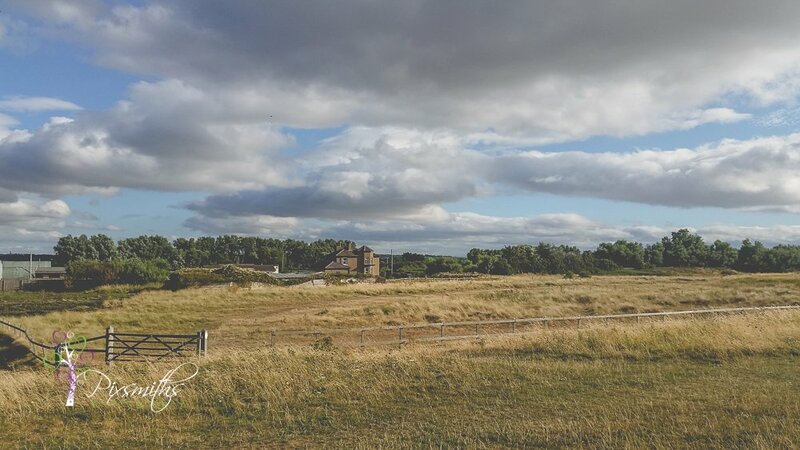 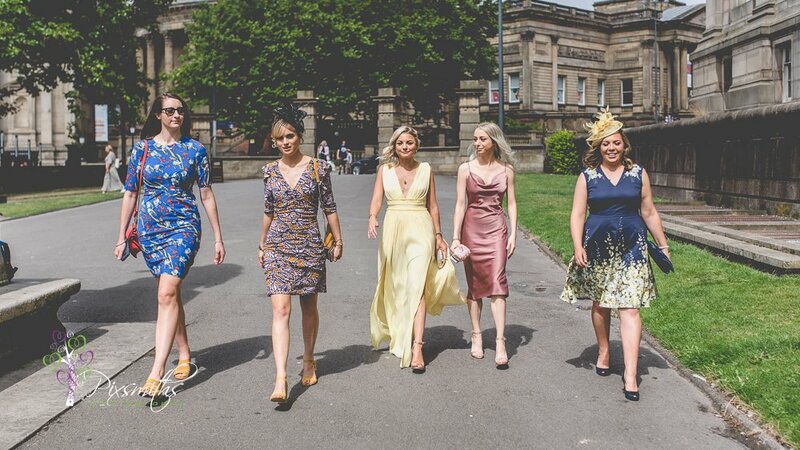 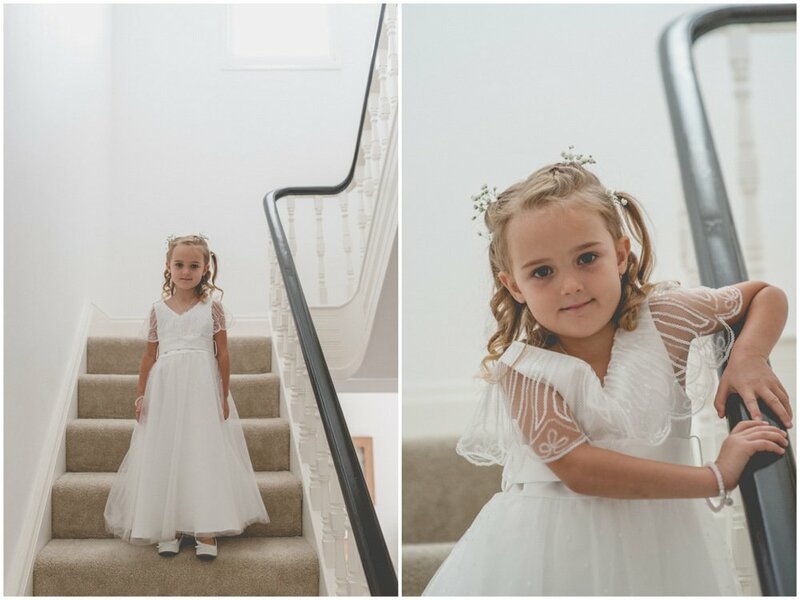 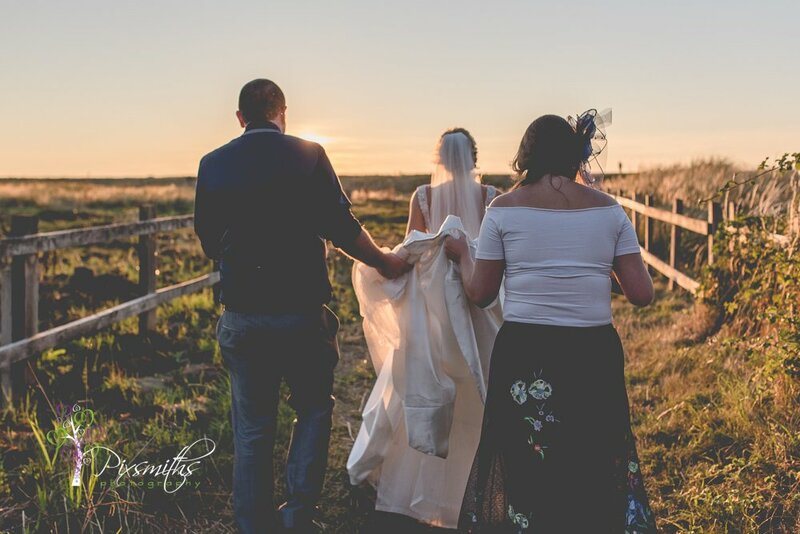 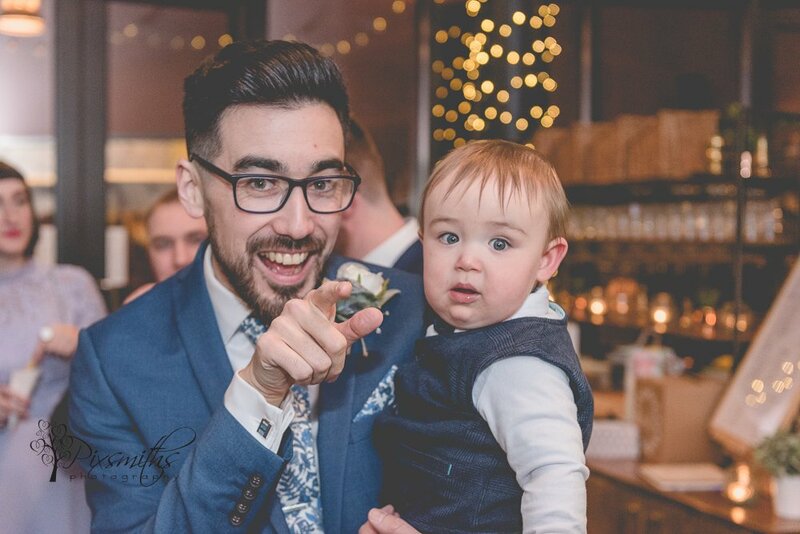 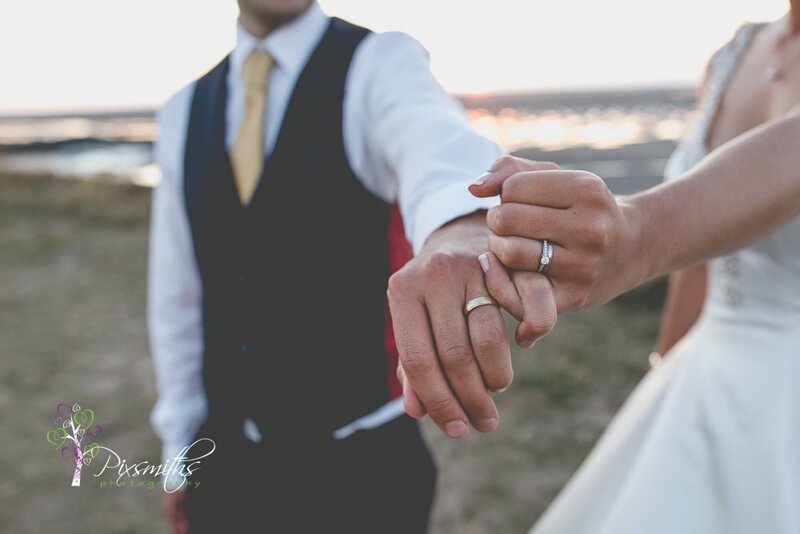 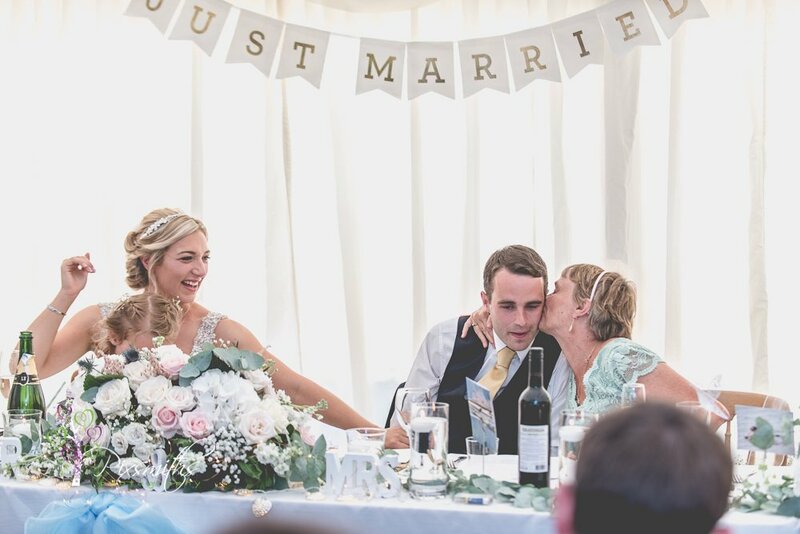 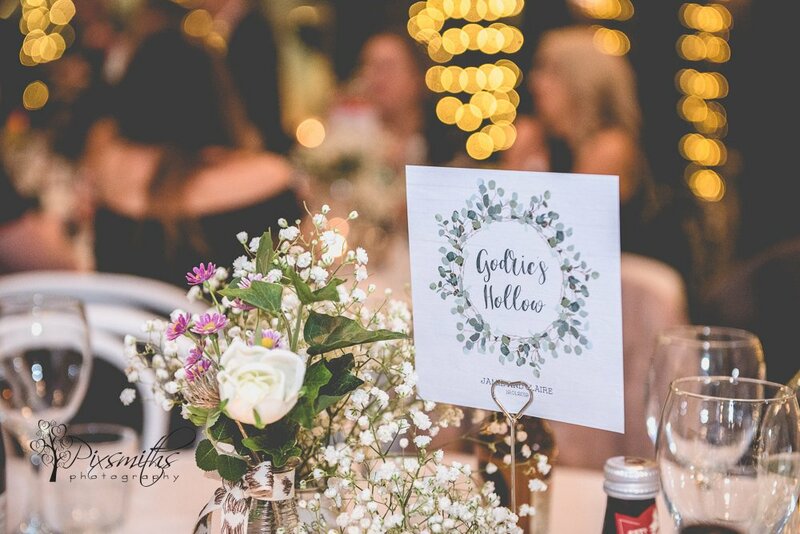 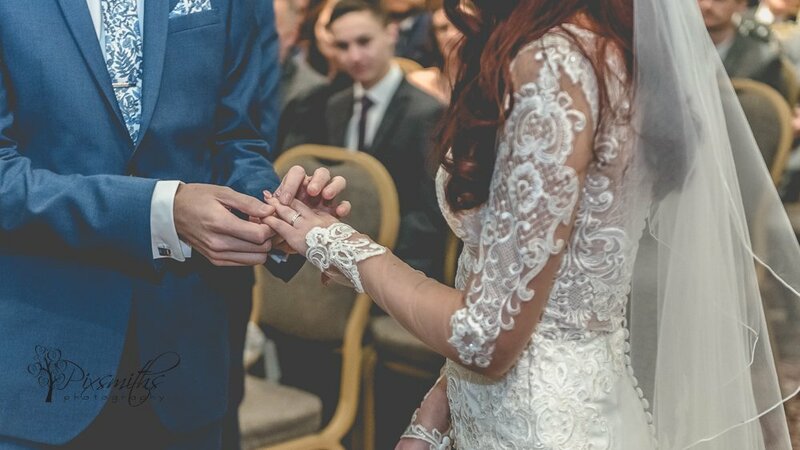 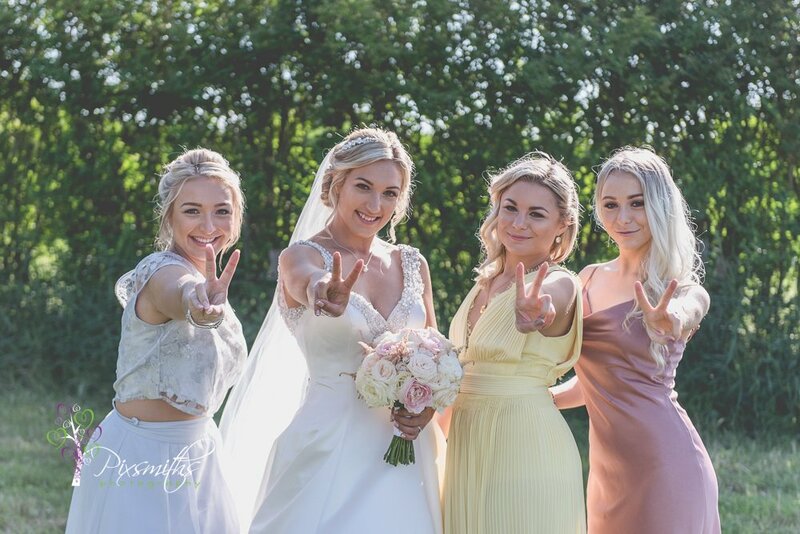 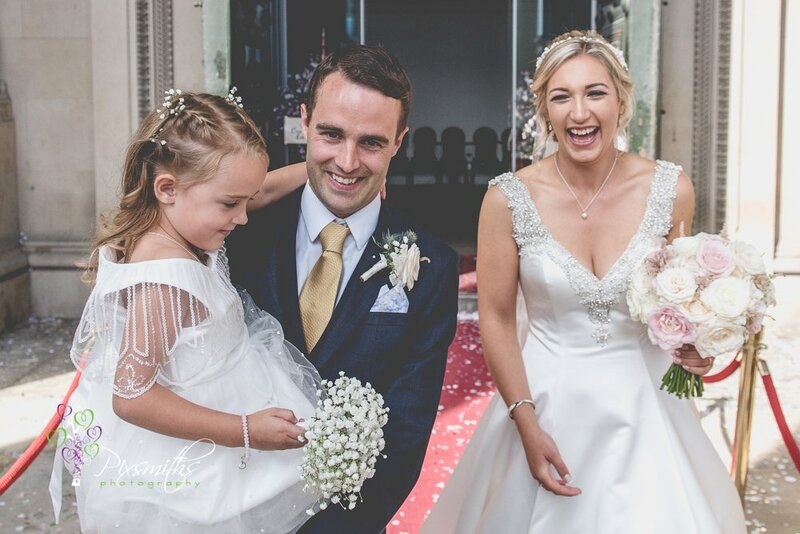 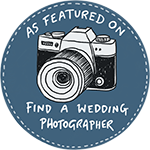 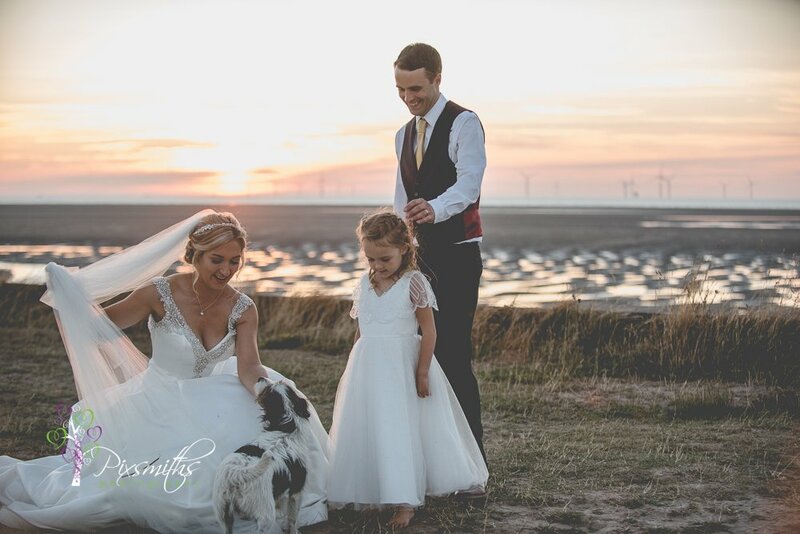 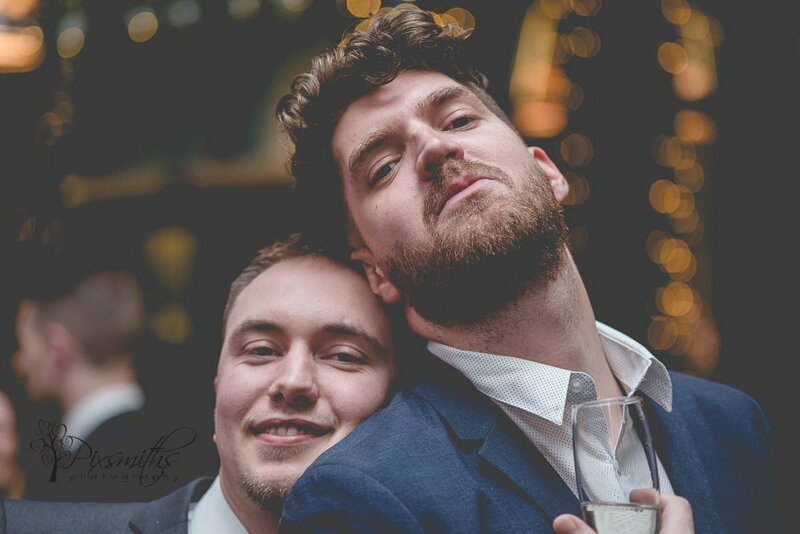 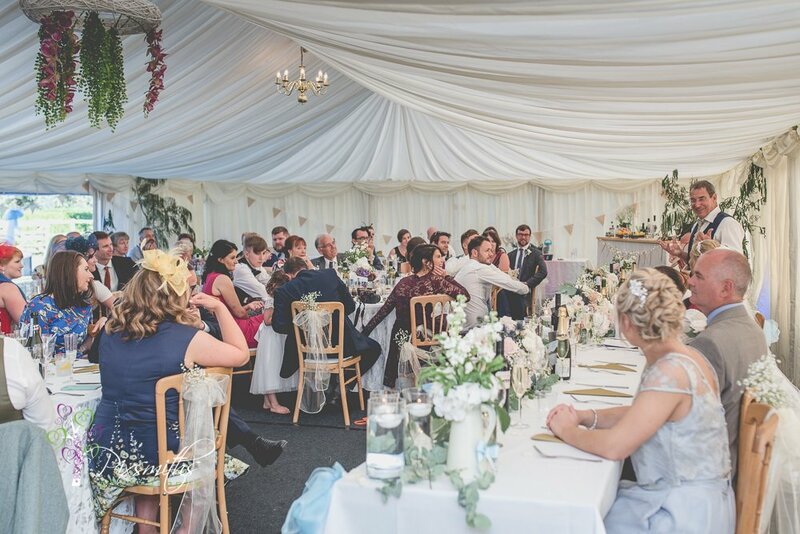 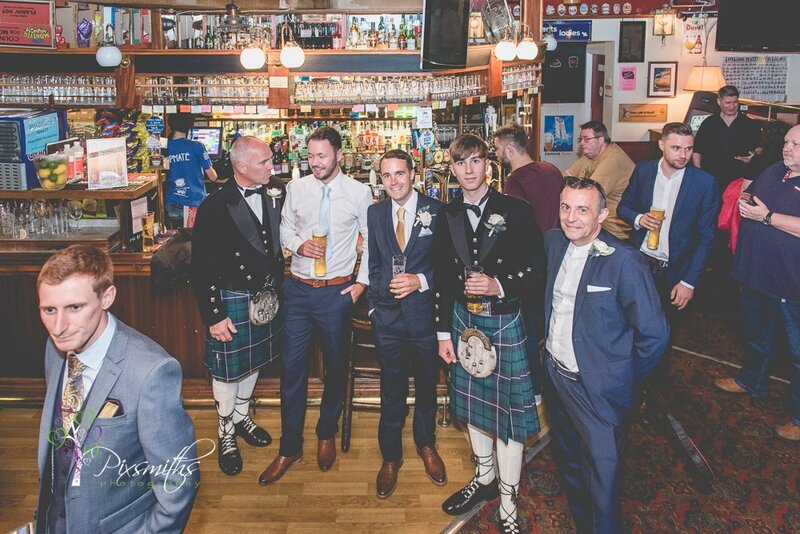 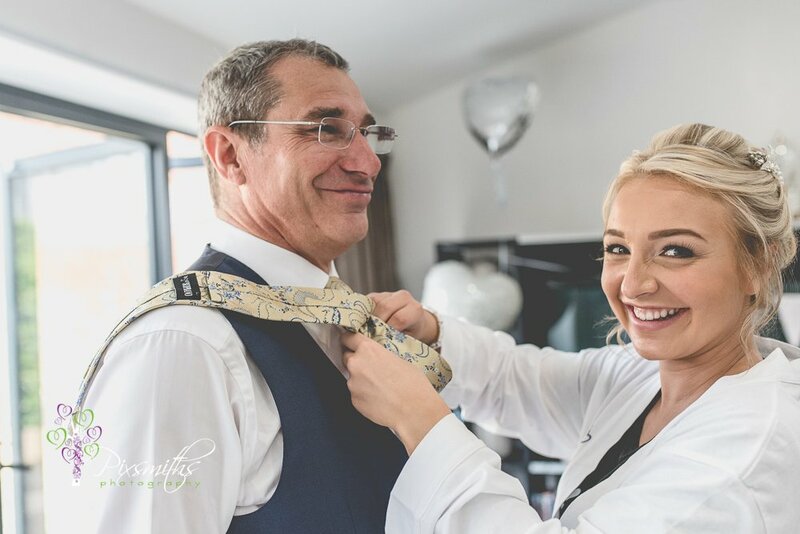 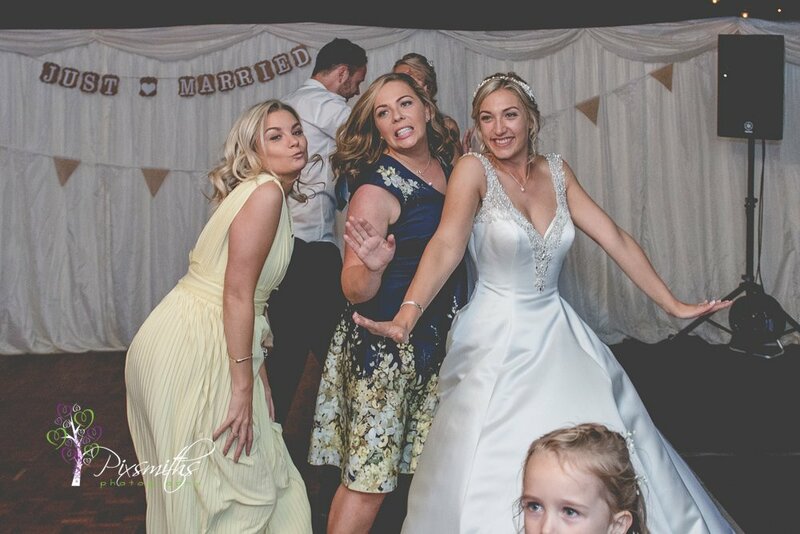 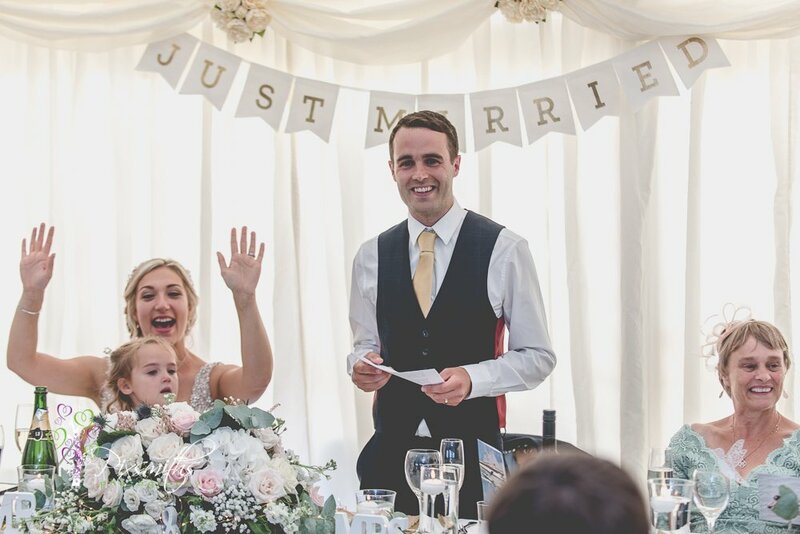 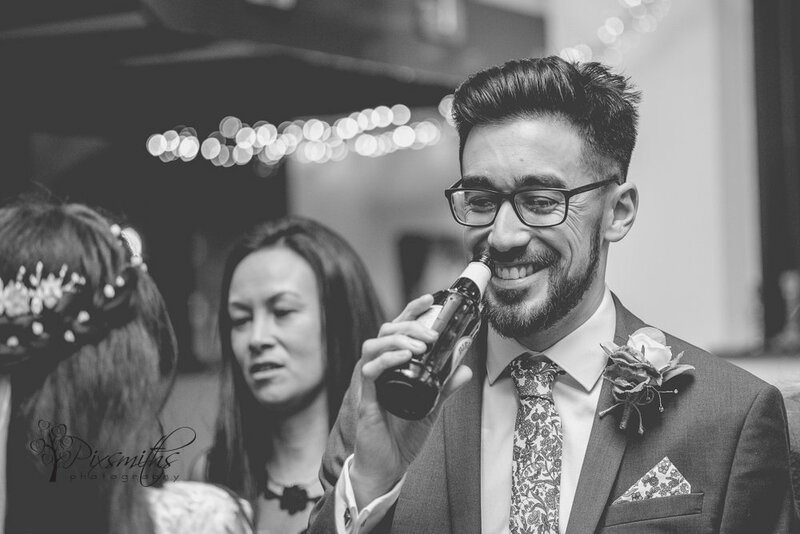 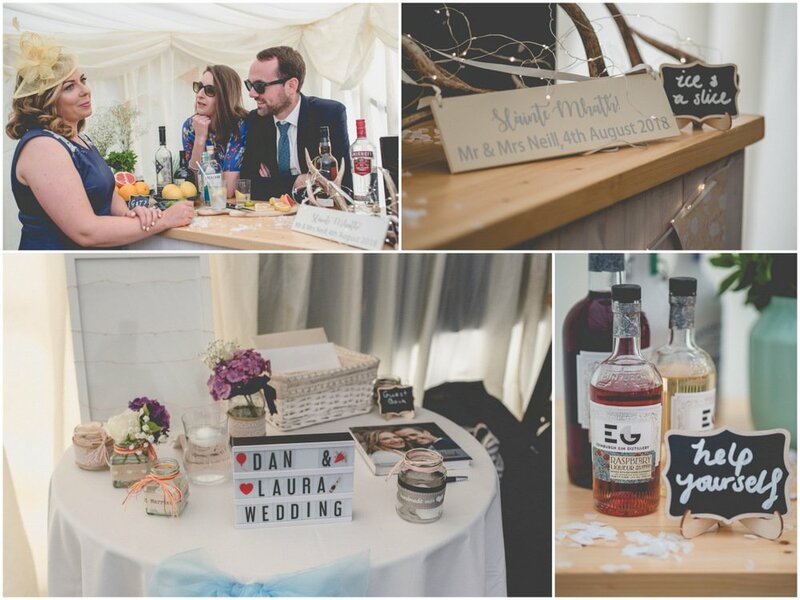 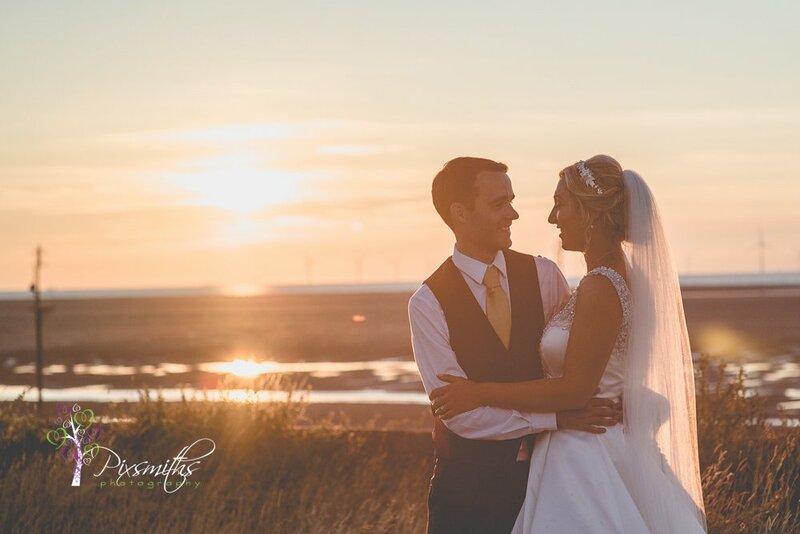 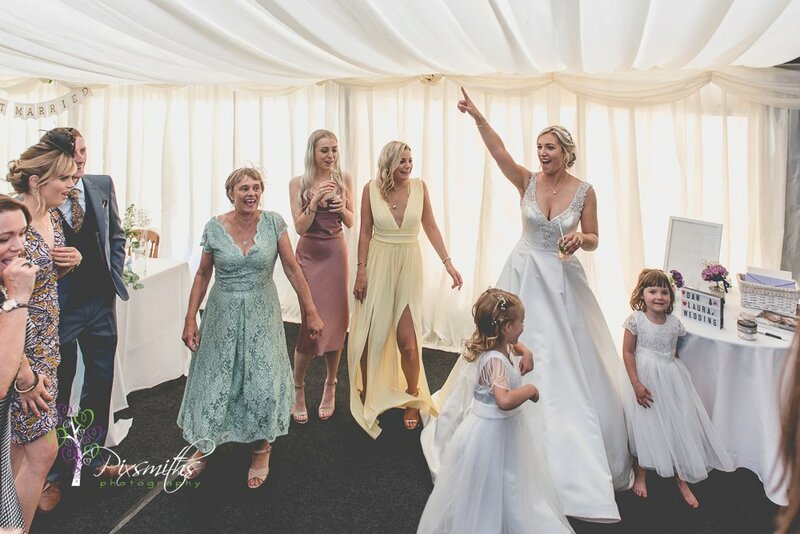 Nicola and Hamid had to make a detour back over to the Wirral to see a poorly relative but with the flexibility of having two photographers, Dave went with them to not only take some pictures but more importantly could share some images taken during the ceremony. 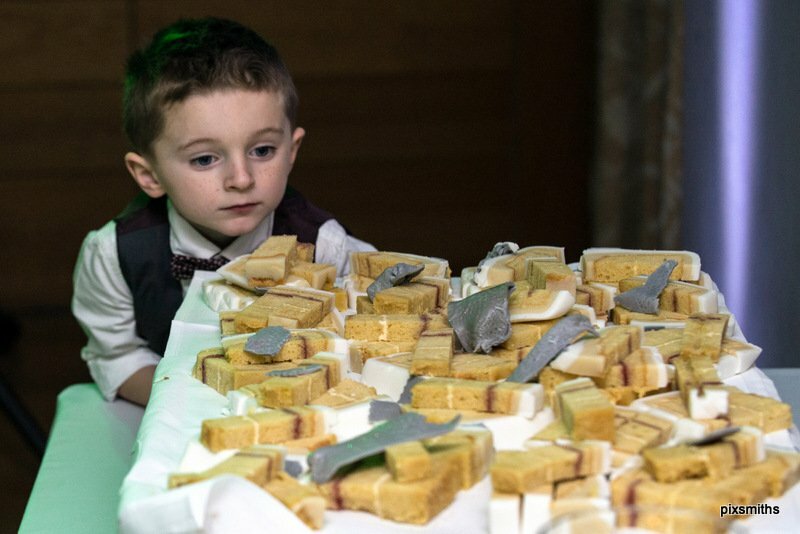 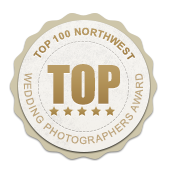 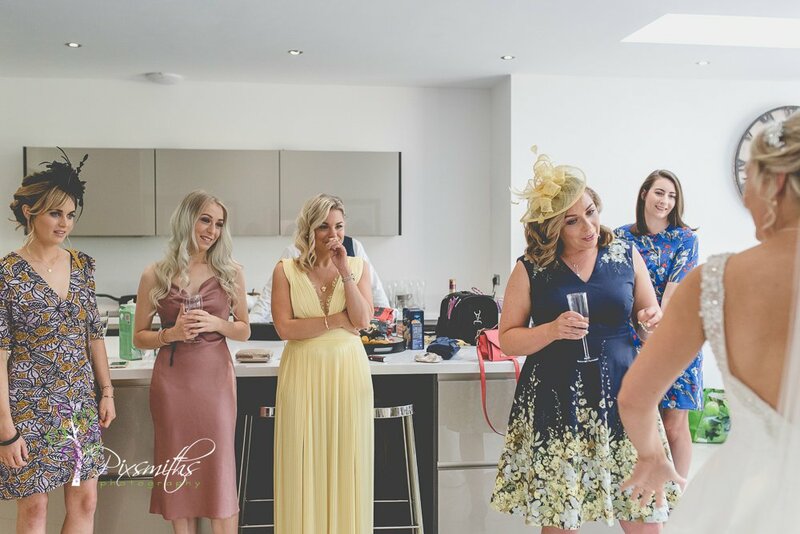 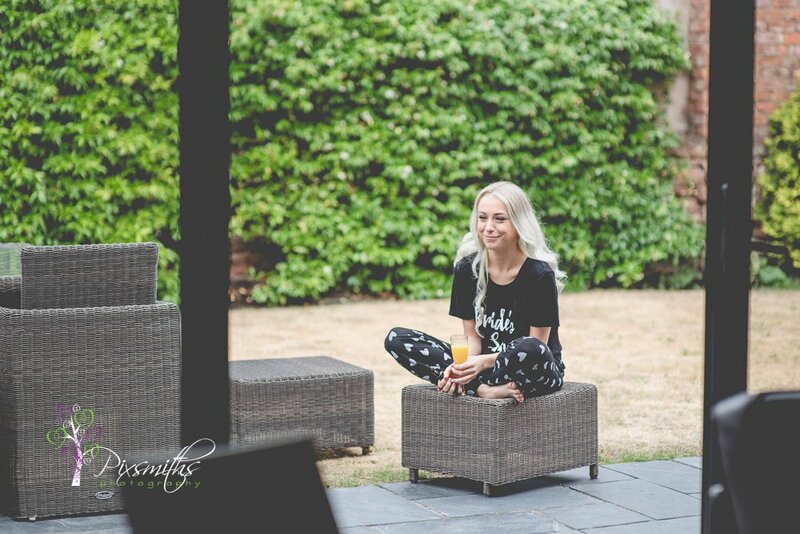 Meanwhile Sandy stayed with the rest of the party to capture the details and atmosphere. 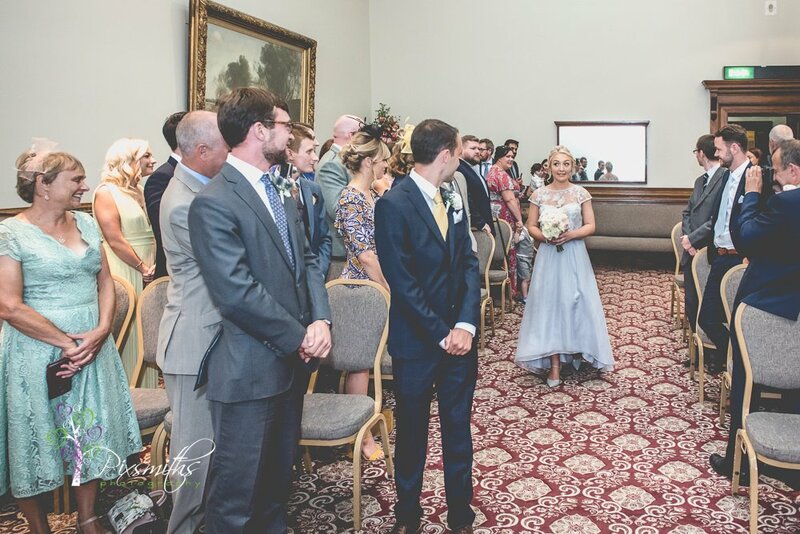 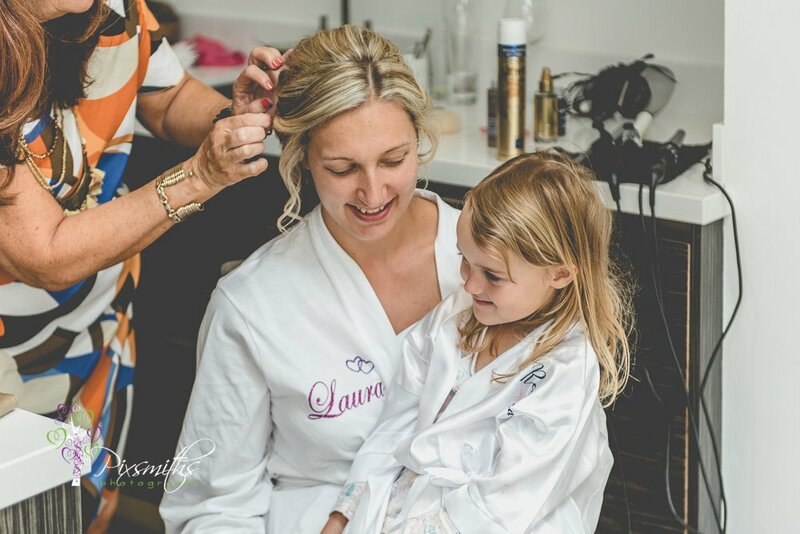 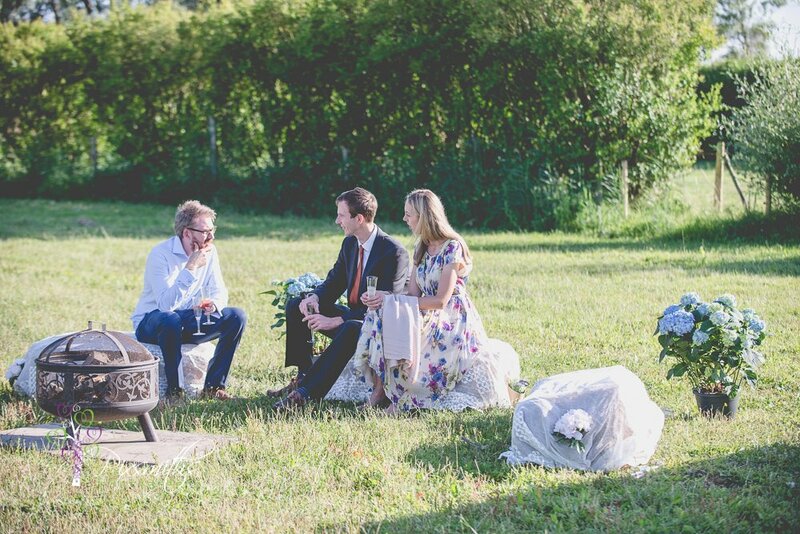 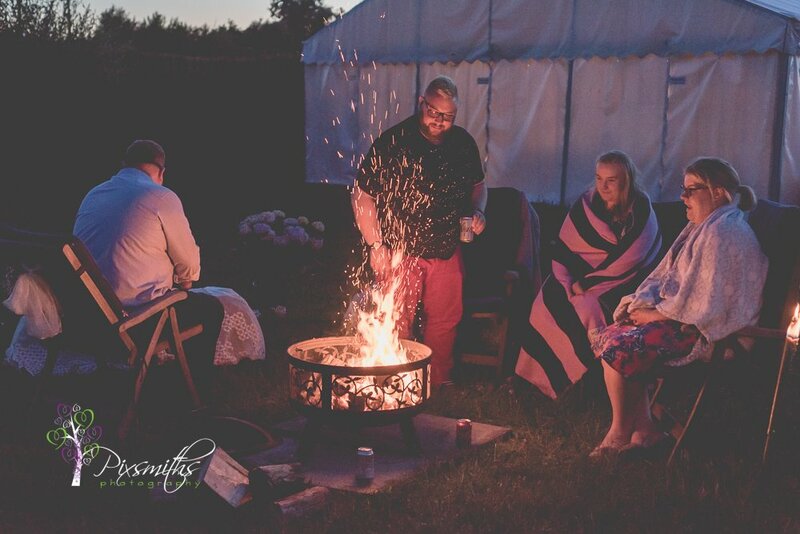 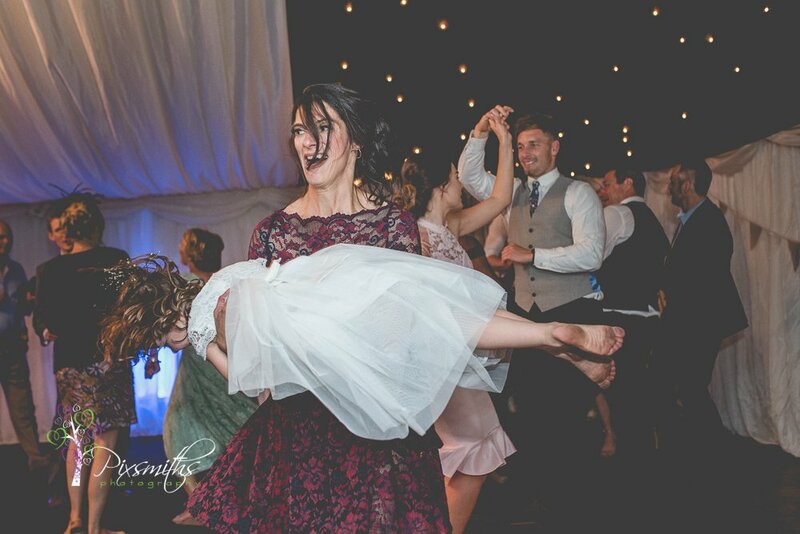 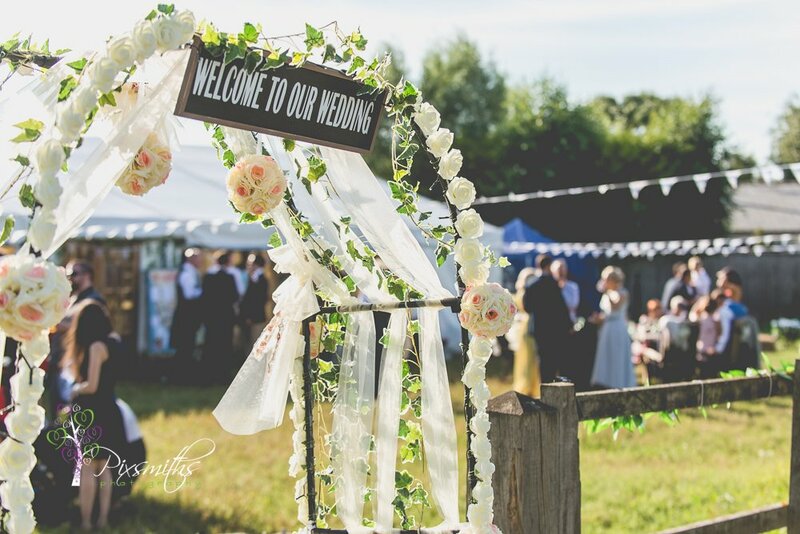 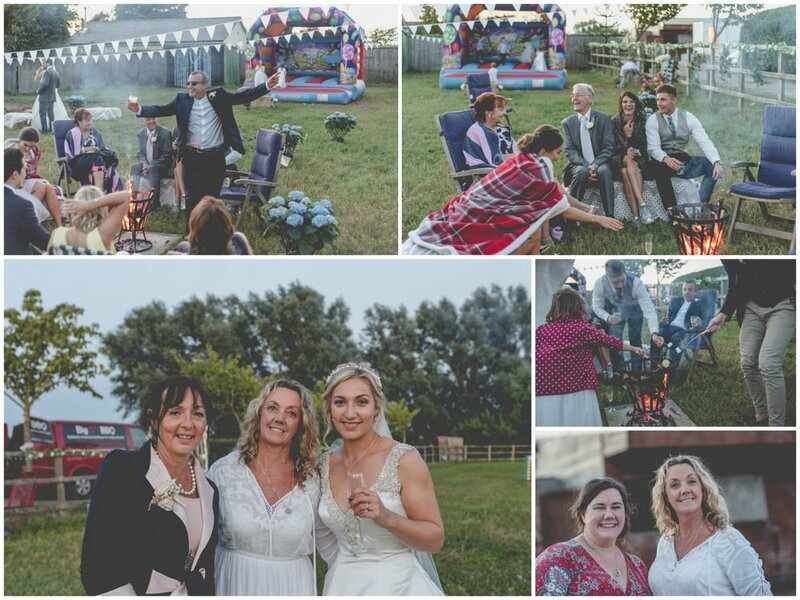 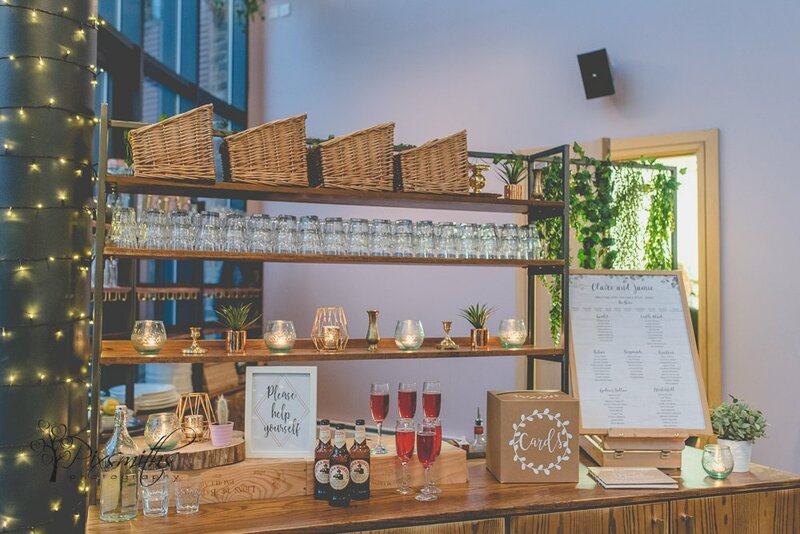 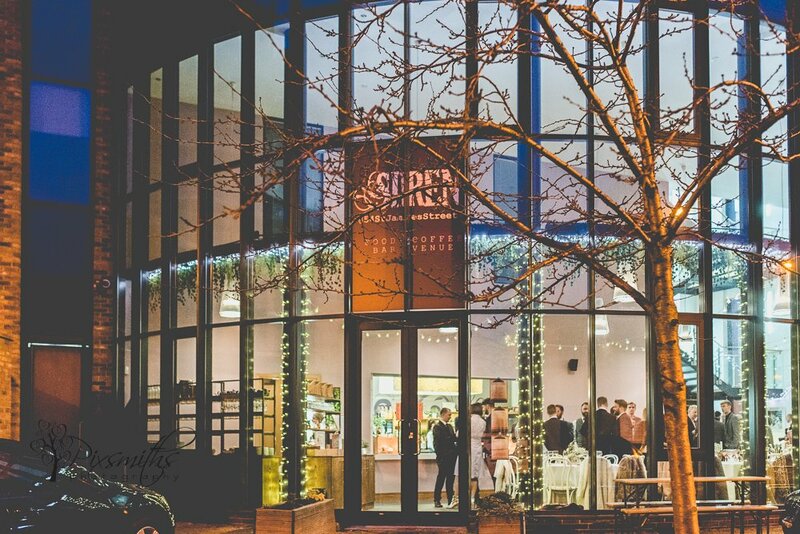 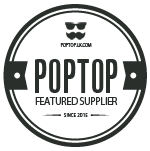 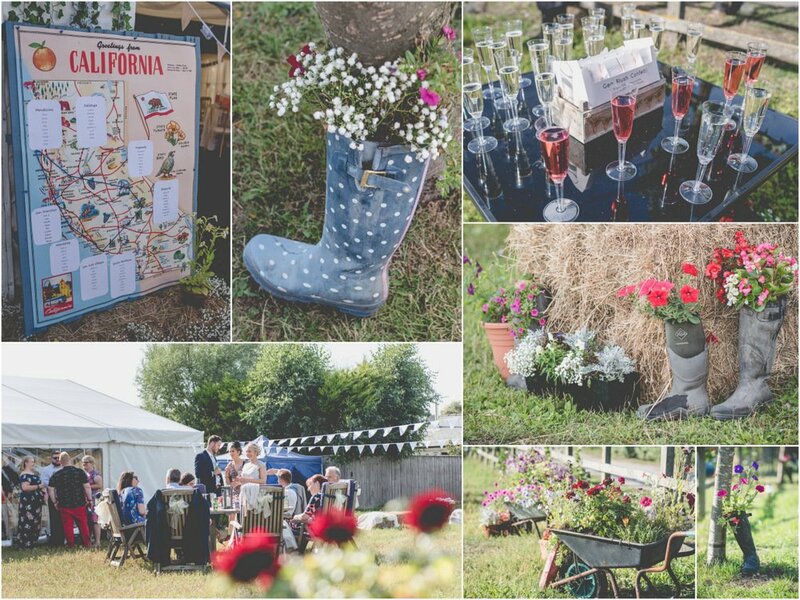 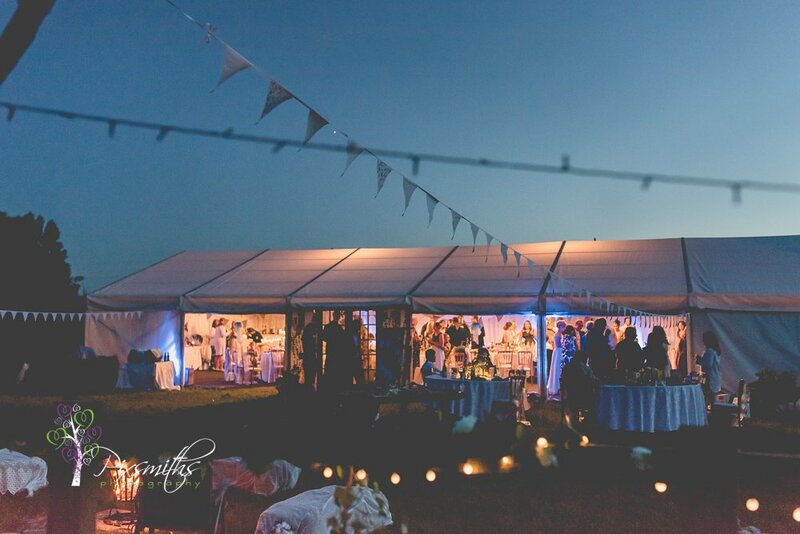 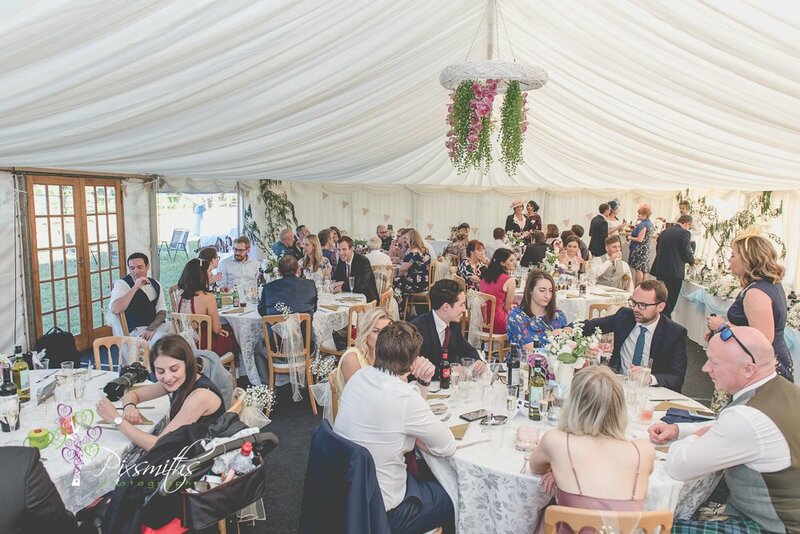 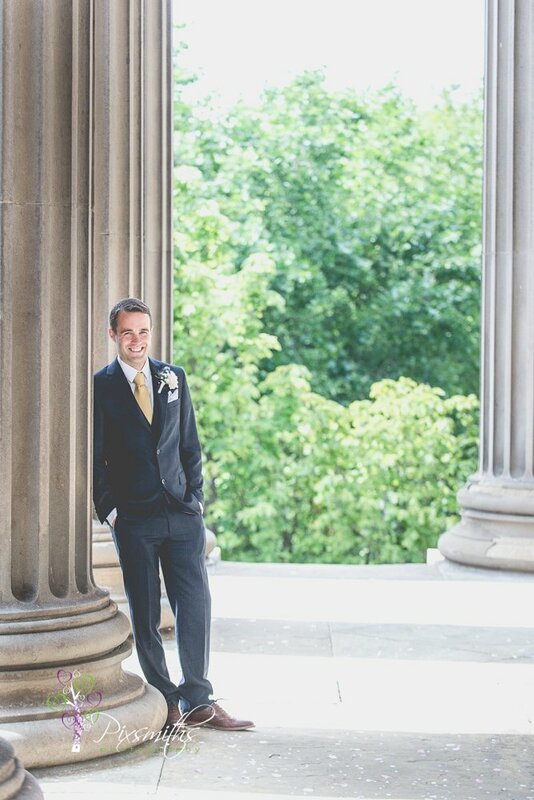 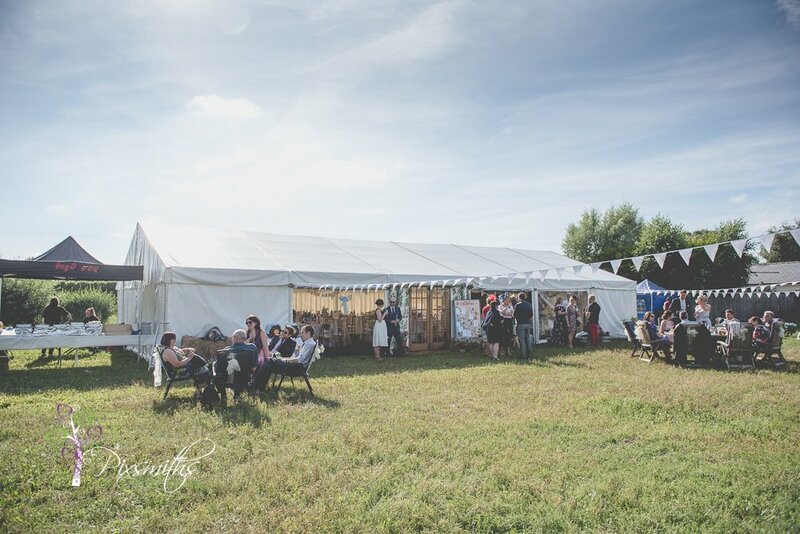 A wedding rarely goes completely to schedule so it helps to be adaptable. 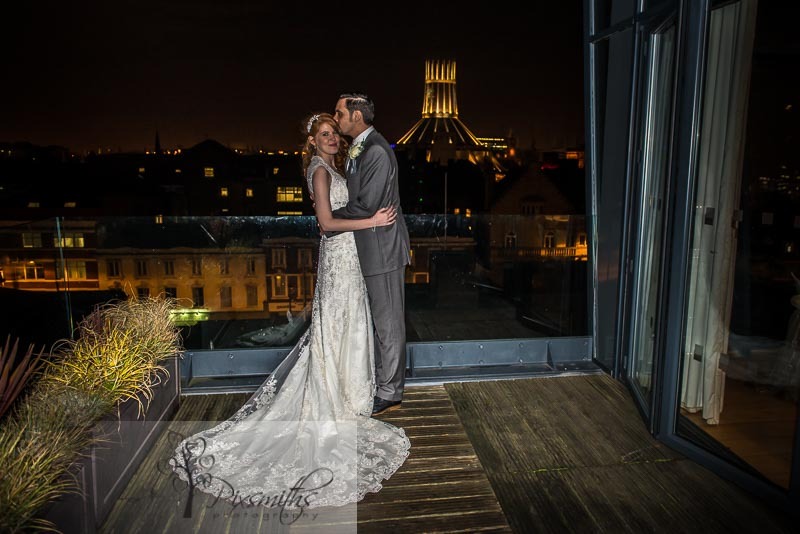 They returned well in time for the wedding breakfast and atmospheric portraits on the balcony outside. 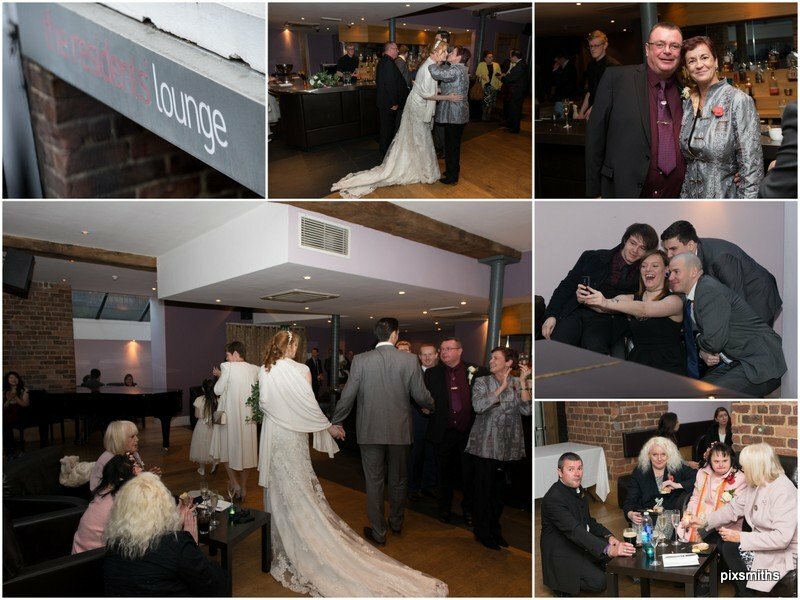 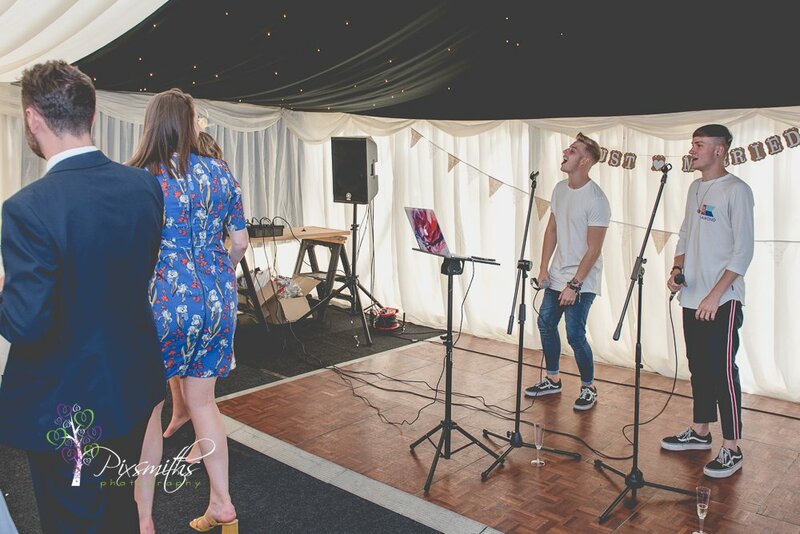 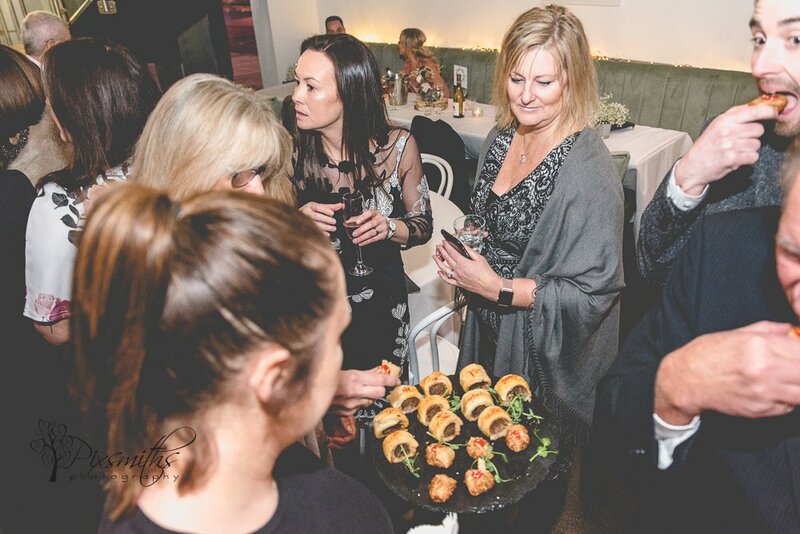 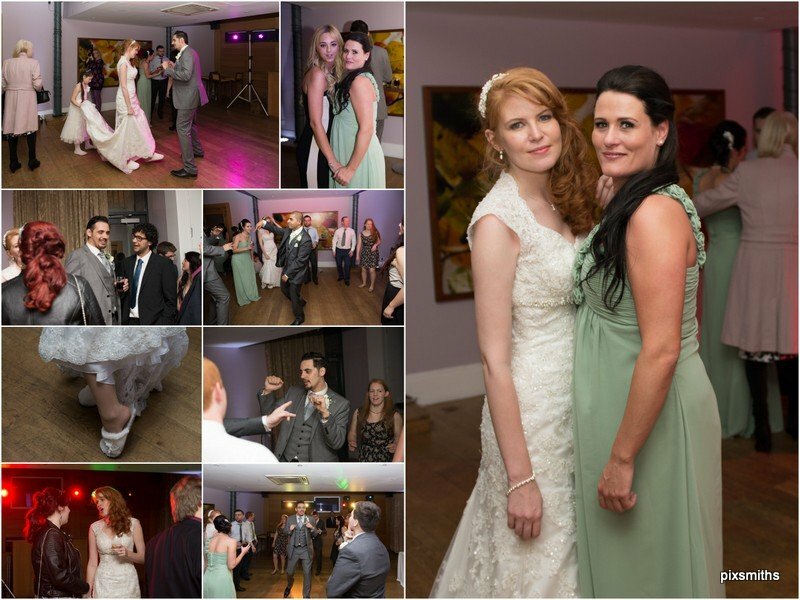 Evening party took place downstairs in the cellar room – a great space to dance the night away and lots of fun. 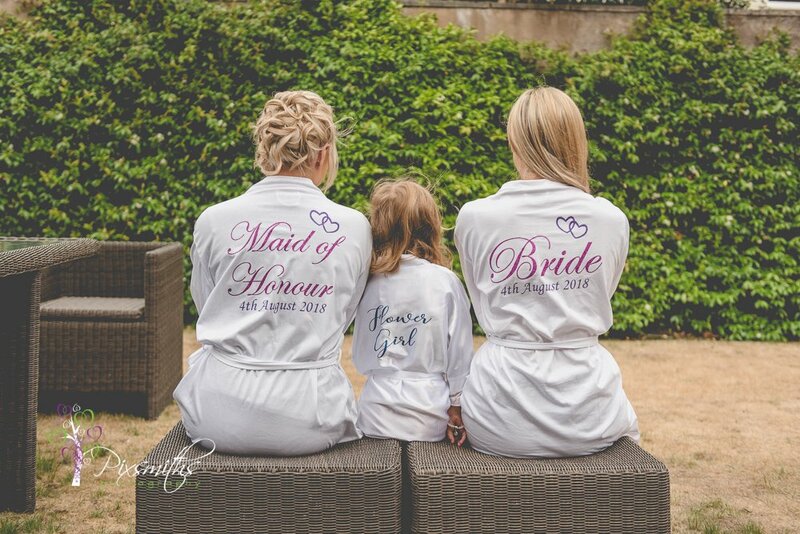 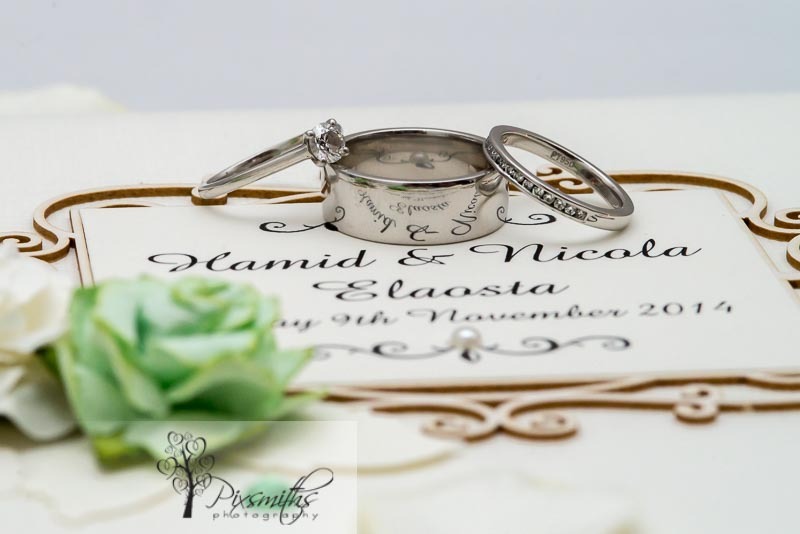 Many congratulations Nicola and Hamid,, wishing you heath and happiness in the years to come. 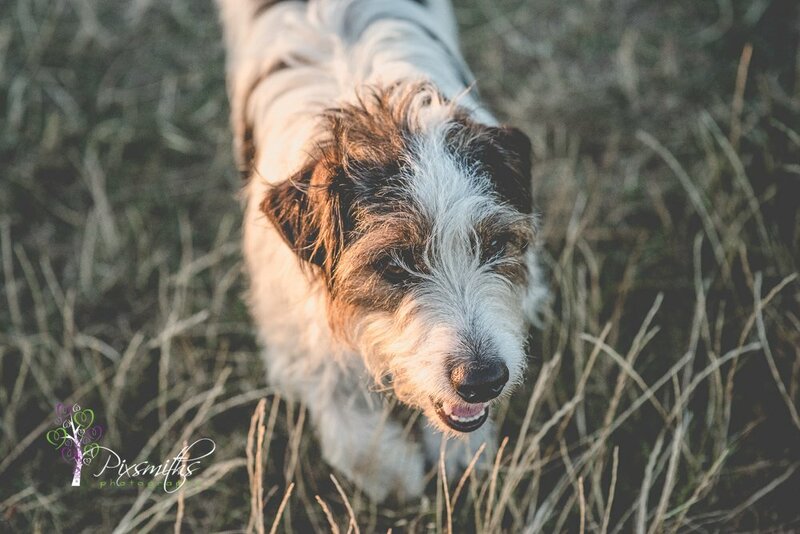 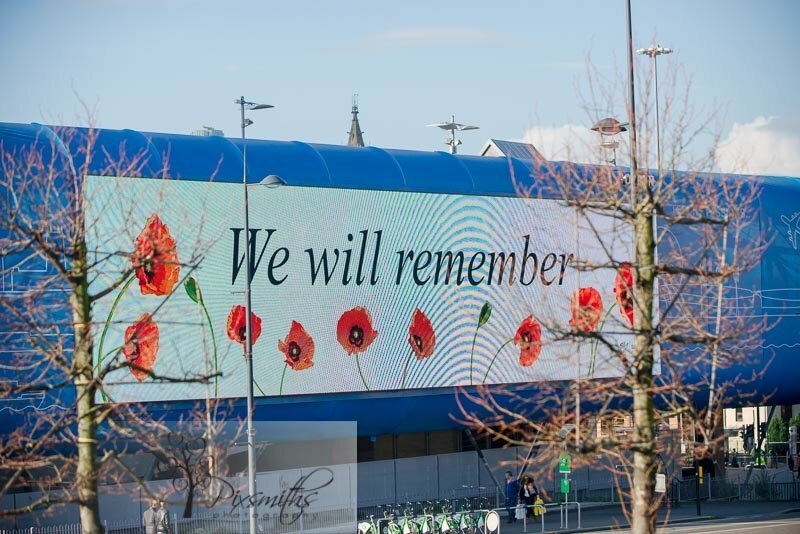 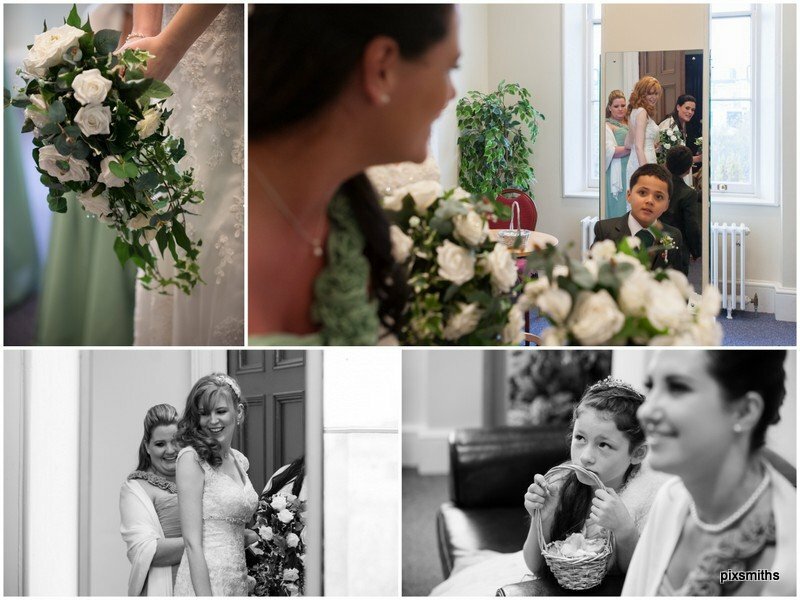 Here just a few of the images taken – full on-line gallery available.